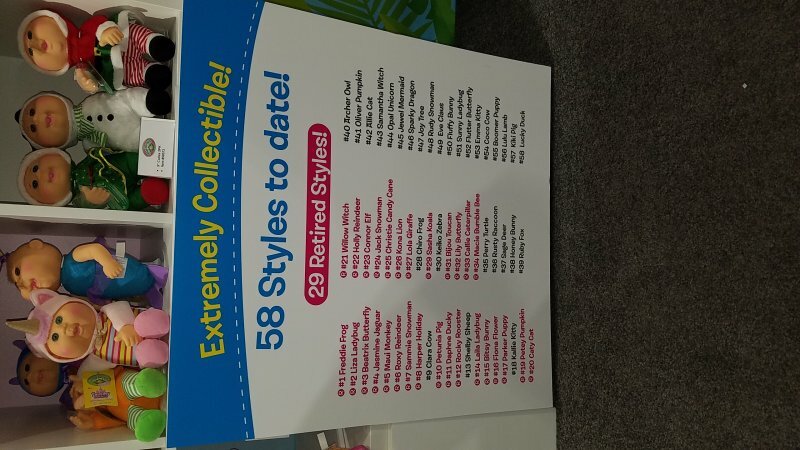 Next up at Toy Fair, it’s our annual visit with my oldest contact in the Toy Industry, Jeremy Padawer. 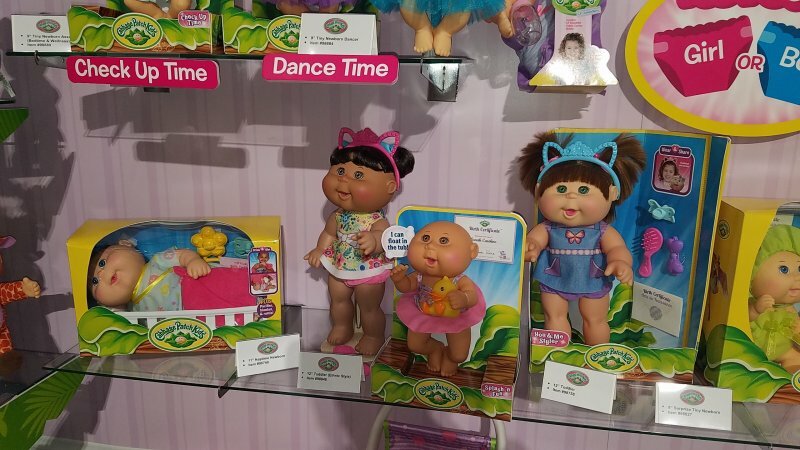 And, that, of course, means that it is time to visit Wicked Cool Toys. 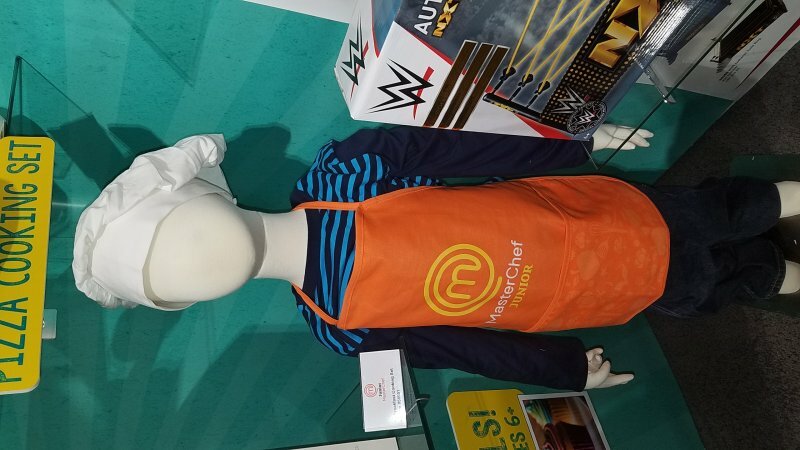 The company has changed, but the man has not. 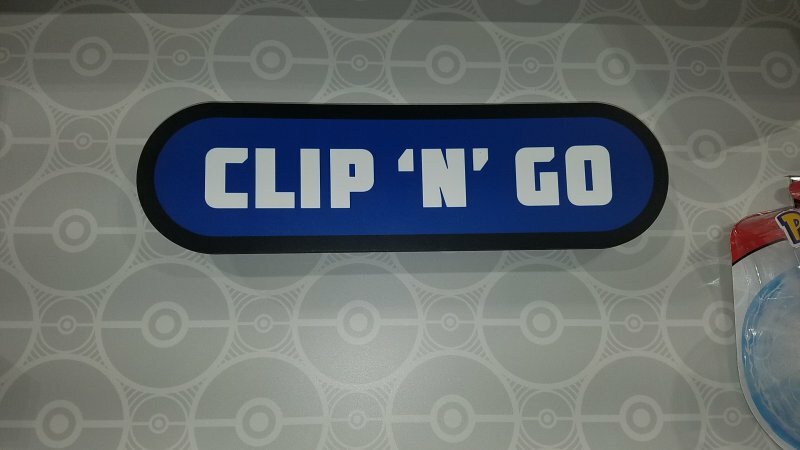 Jeremy Padawer is every bit as engaging and energetic now as he was when I first met him, almost 20 years ago. 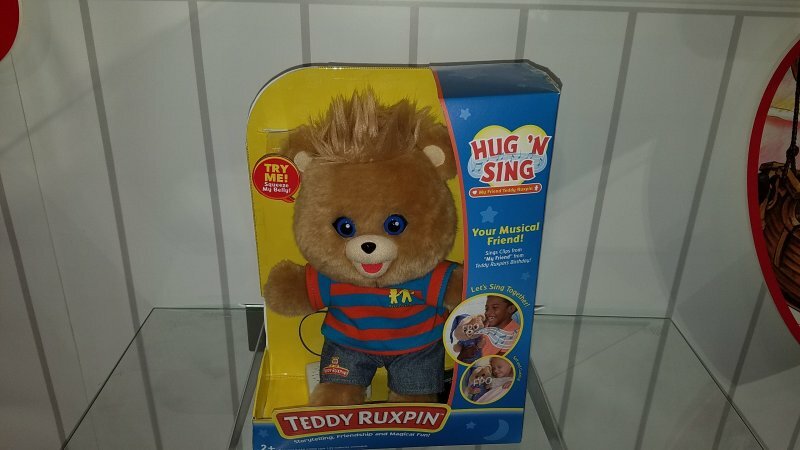 He still has the boyish twinkle in his eyes, and he is still as personable as ever. 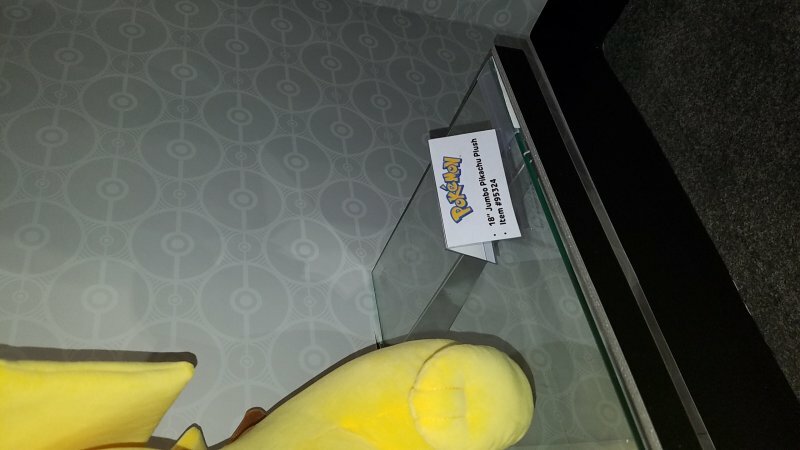 He has also surrounded himself with a great support team, led by PR Maven Extraordinaire: Janis VanTine. 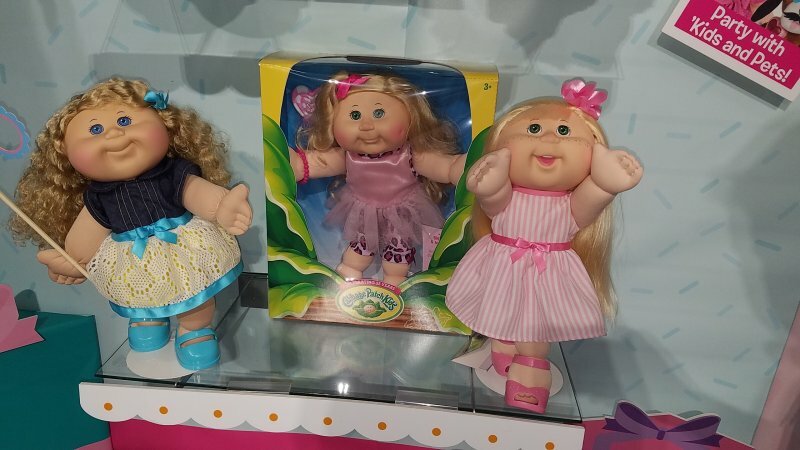 And so, all of the media faithful came, summoned by Janis, to hear Jeremy preach the Gospel of a Wicked Cool. 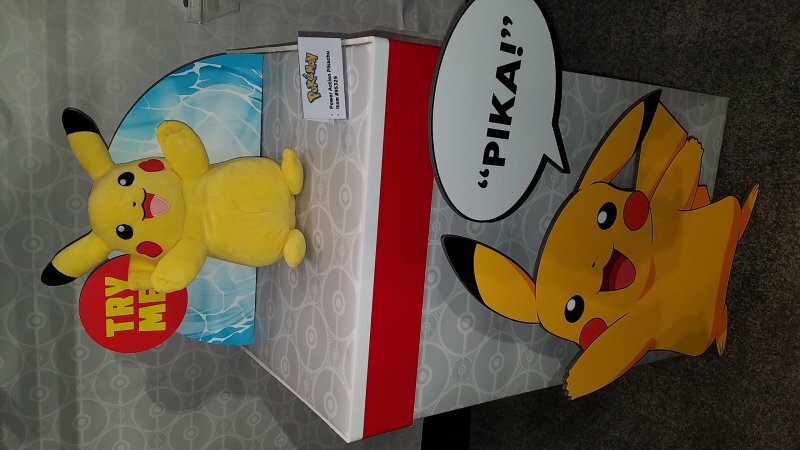 The booth was larger and more prominent than last year, and featured a familiar face that was not there last year: Pikachu. 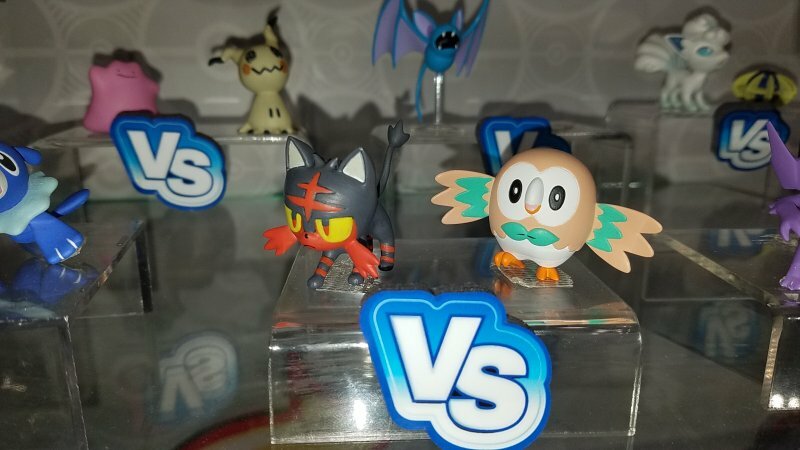 As you may have heard over the Summer, Wicked Cool has been awarded the Master Toy License for Pokémon. 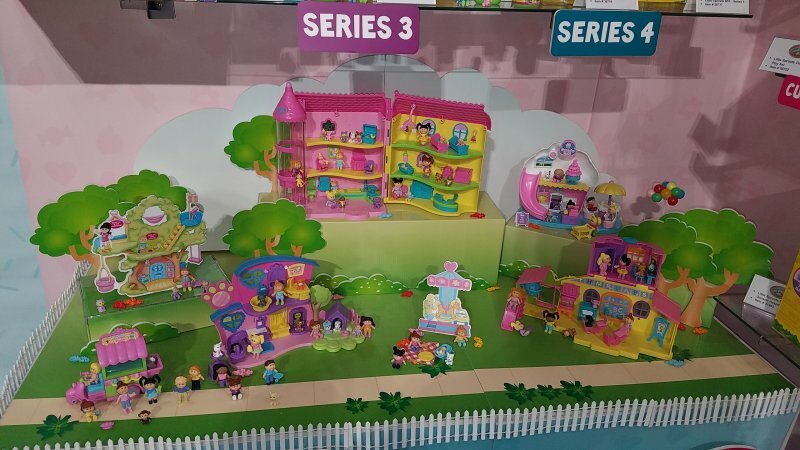 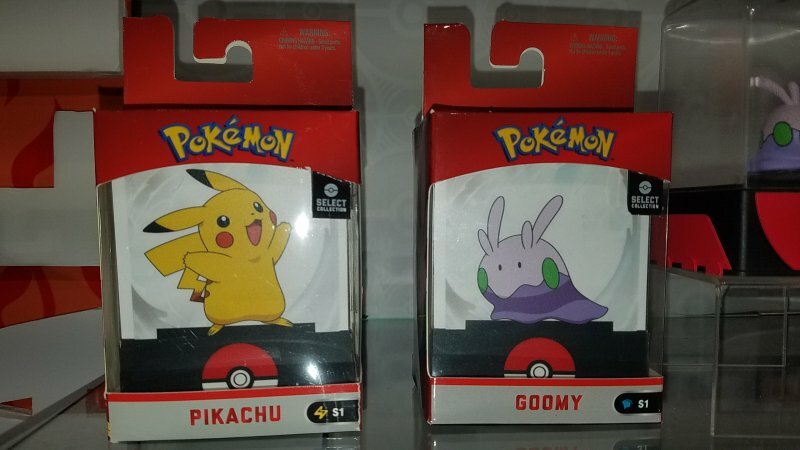 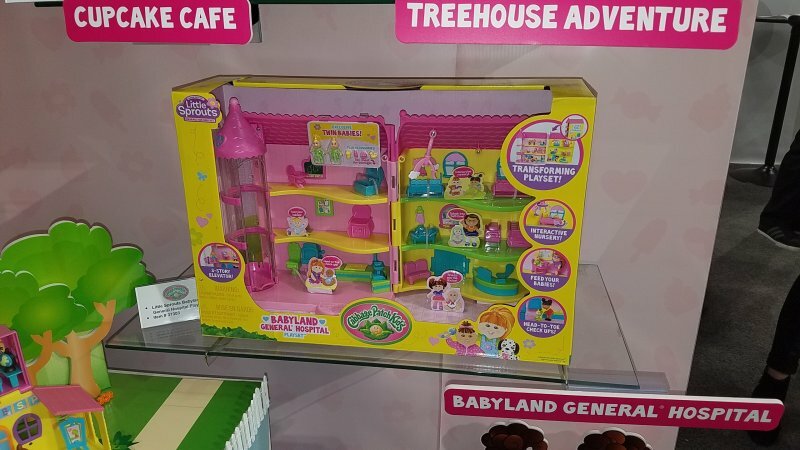 I often notice the cyclical nature of toy licensing, and this is a prime example. 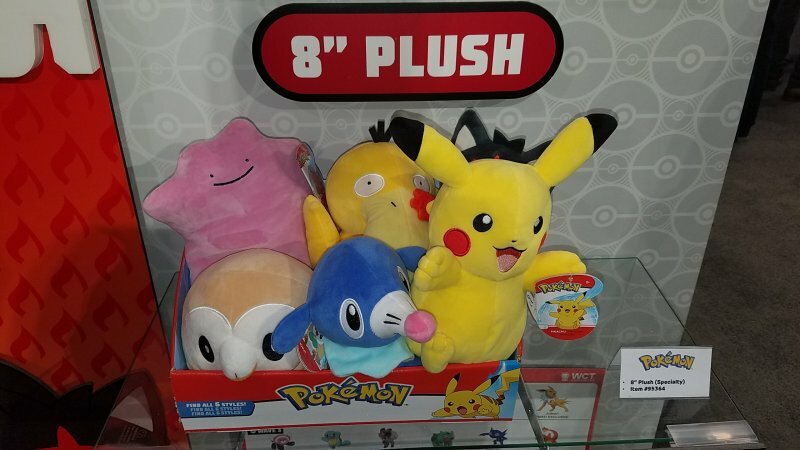 11 years ago, in 2007, Jeremy was in charge of the Pokémon license at Jacks Pacific while he was head of Boys Brands. 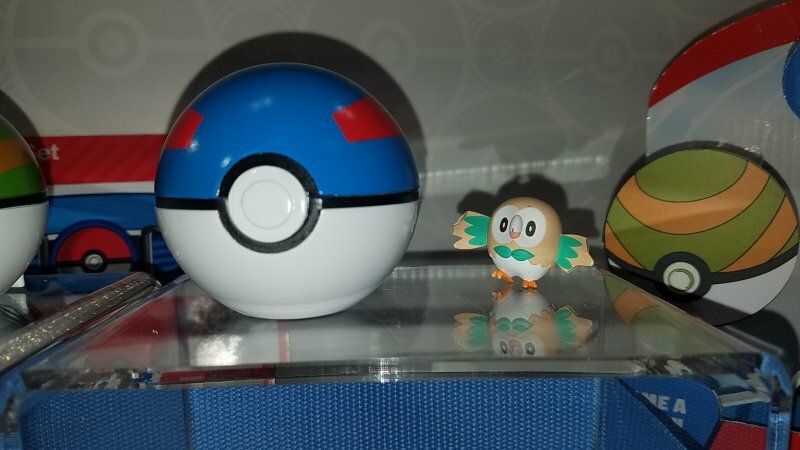 Now, 11 years later, Jeremy is again in charge of Pokémon. 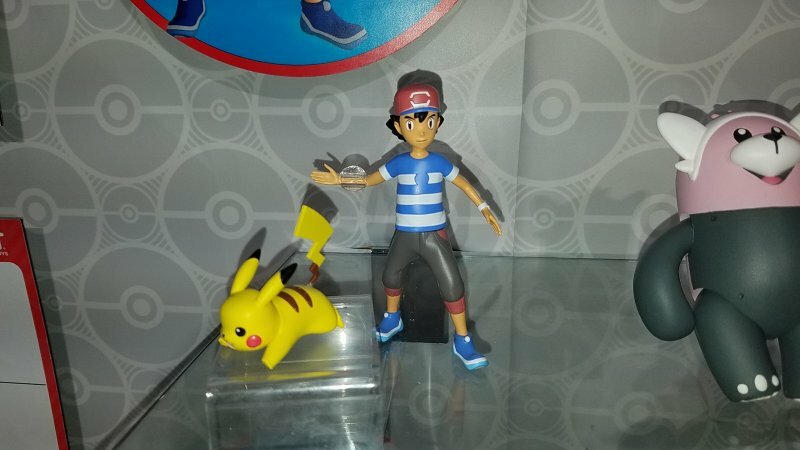 And he intends to totally nail it. 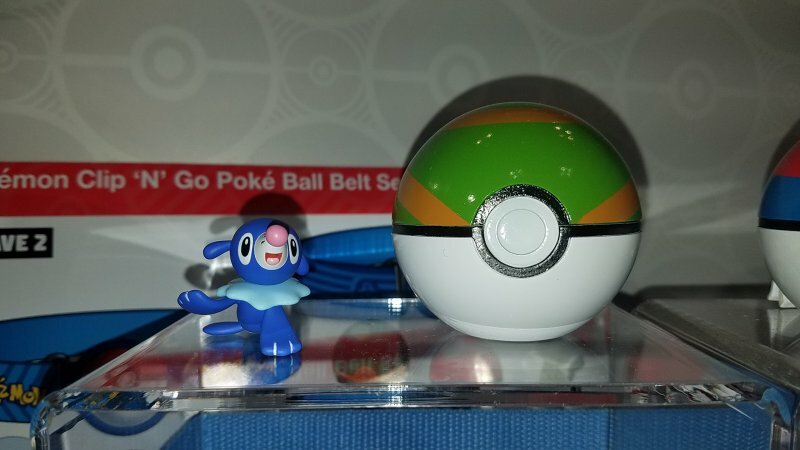 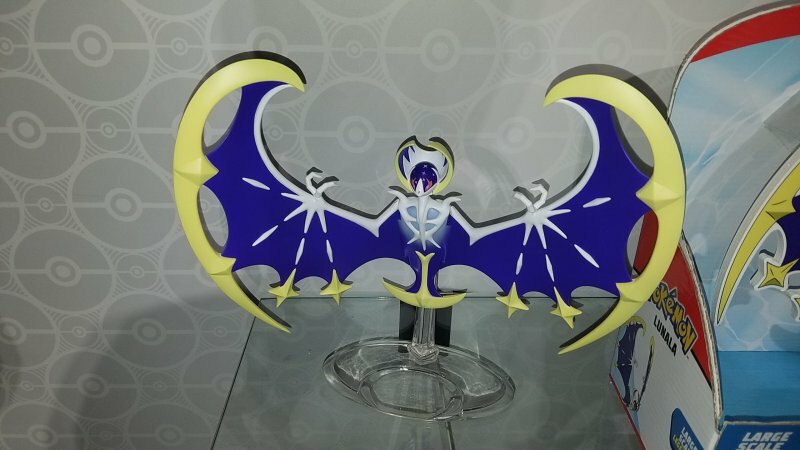 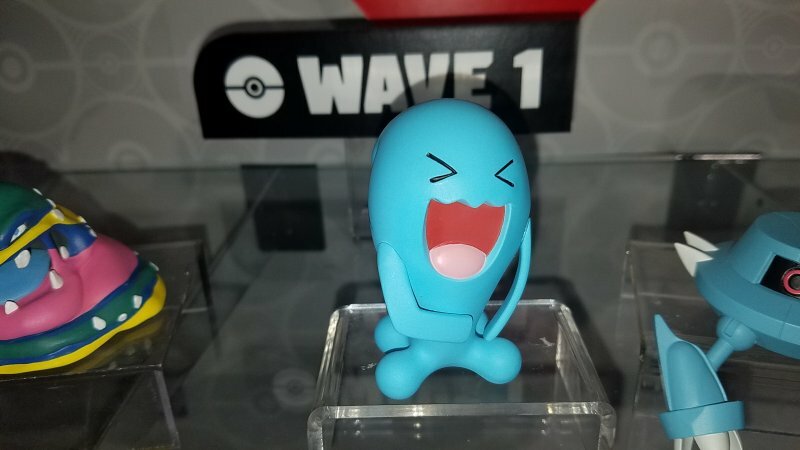 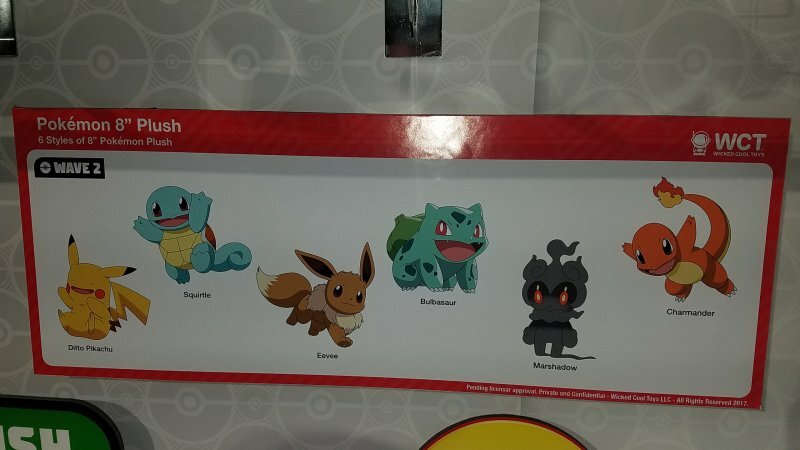 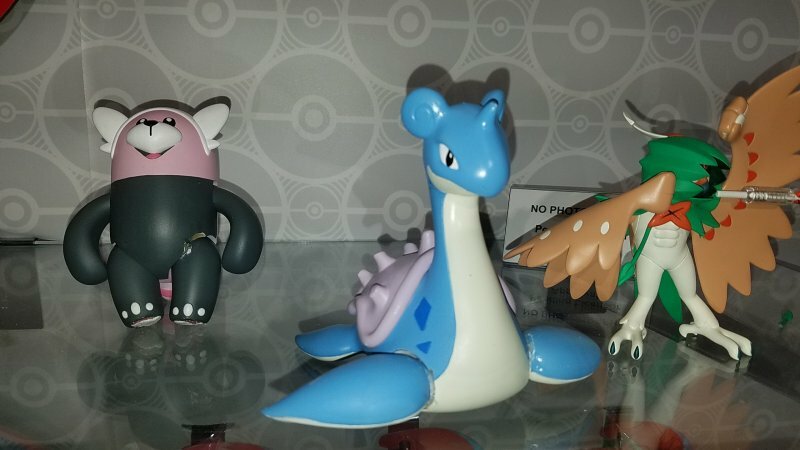 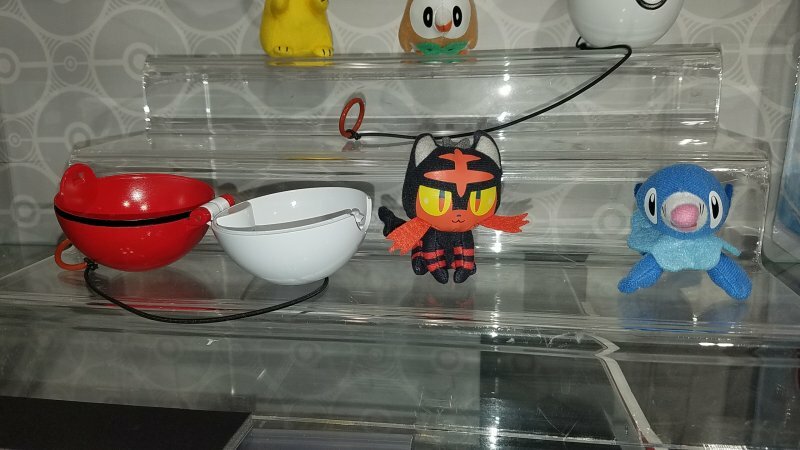 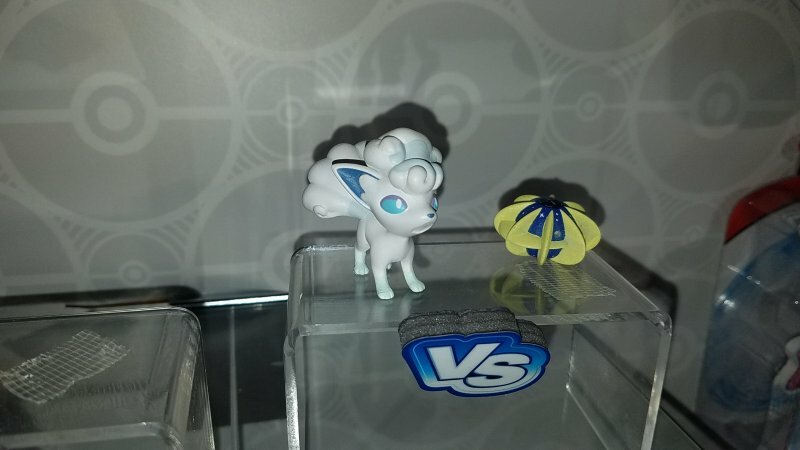 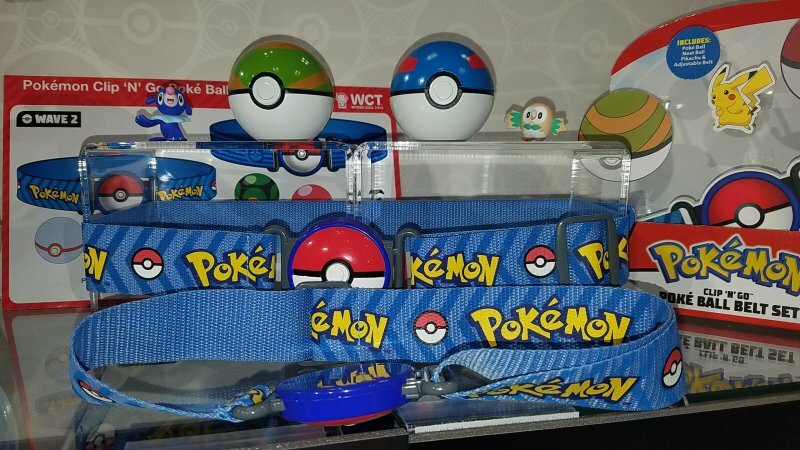 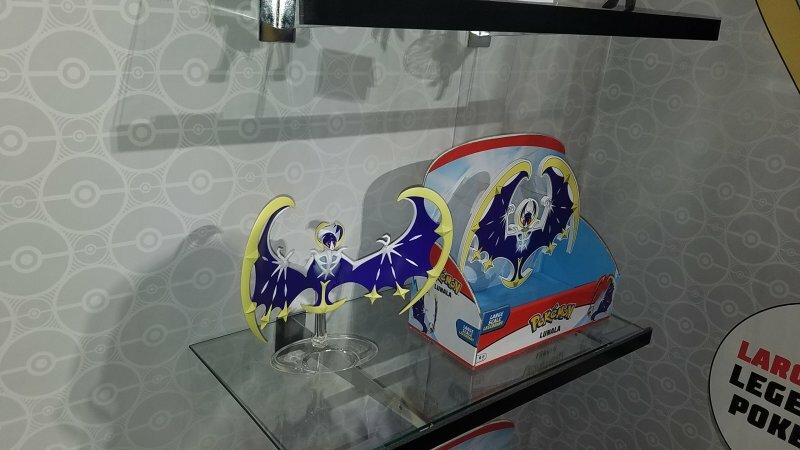 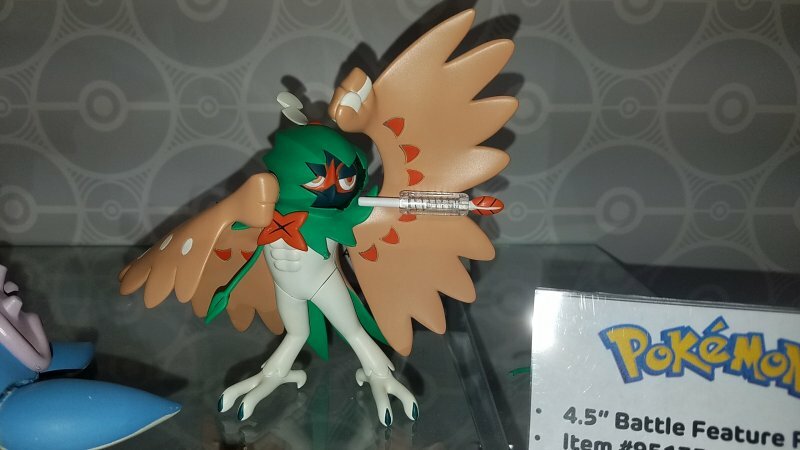 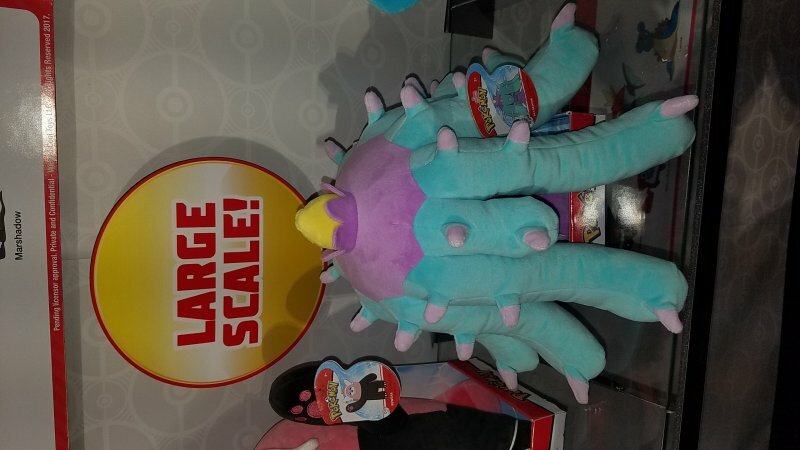 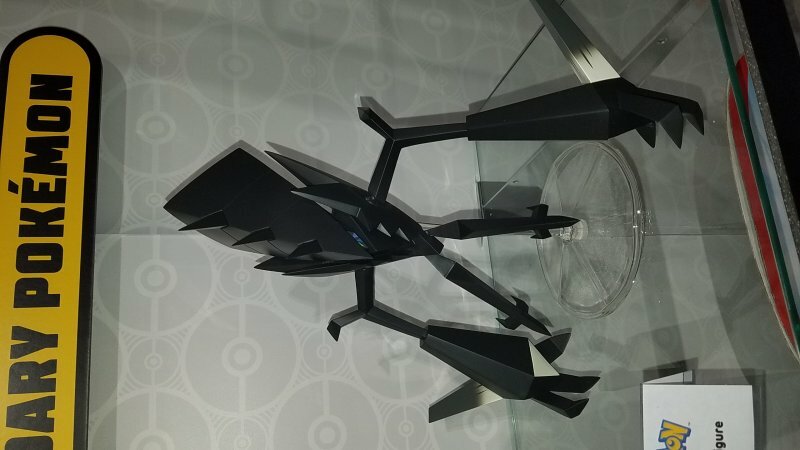 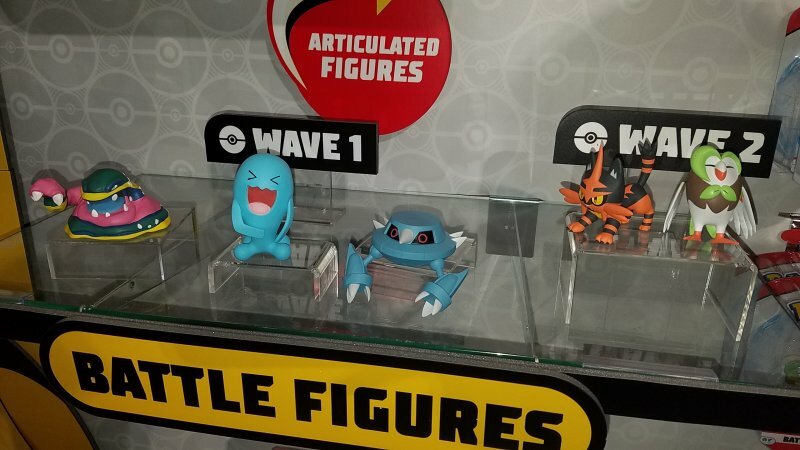 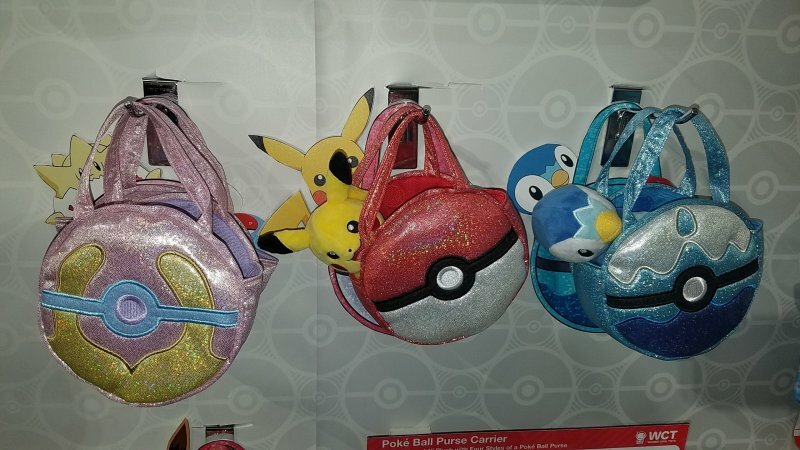 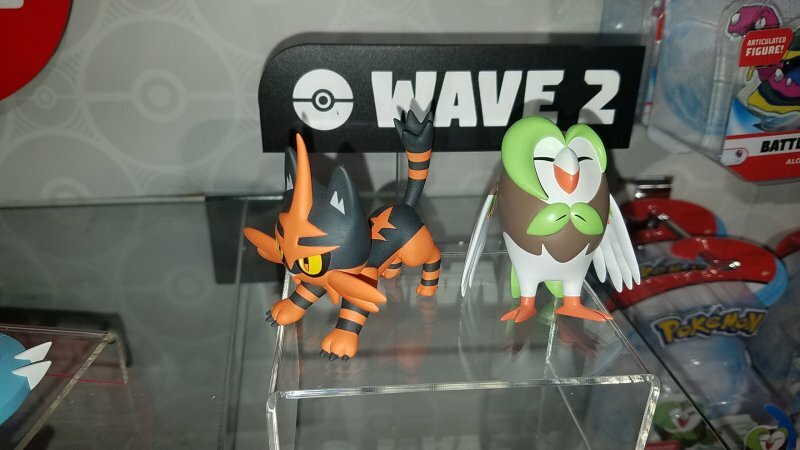 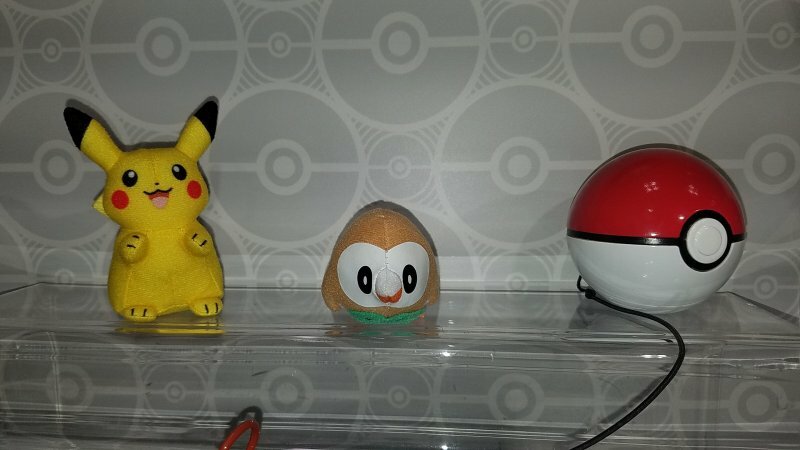 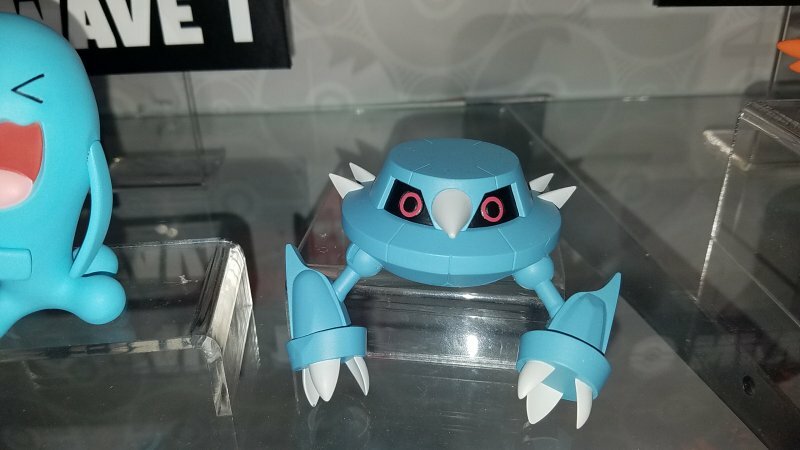 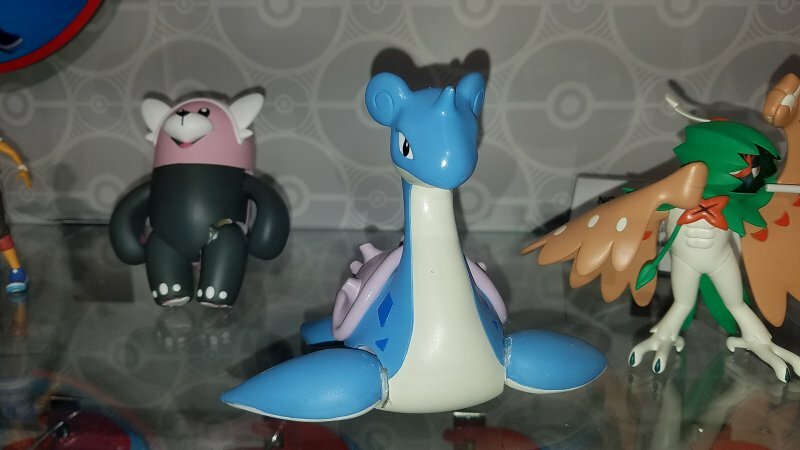 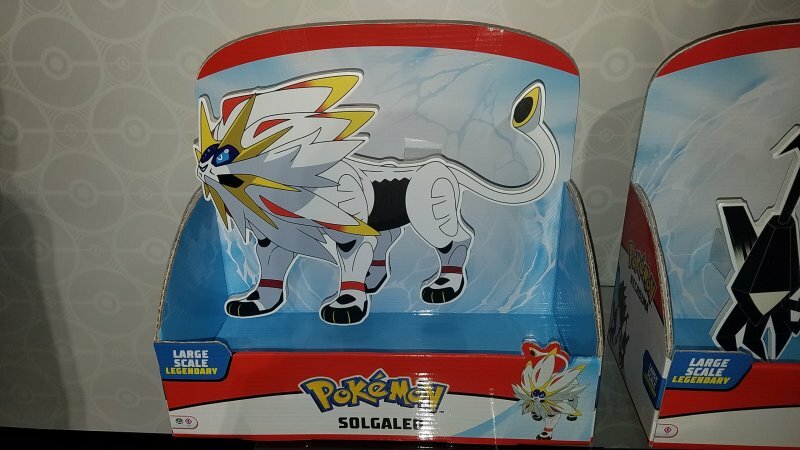 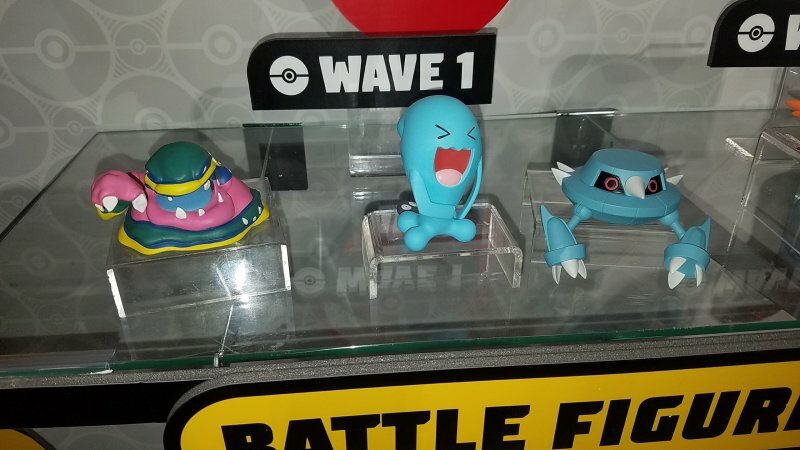 The Pokémon line from Wicked Cool will come in several different scales. 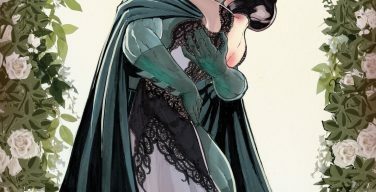 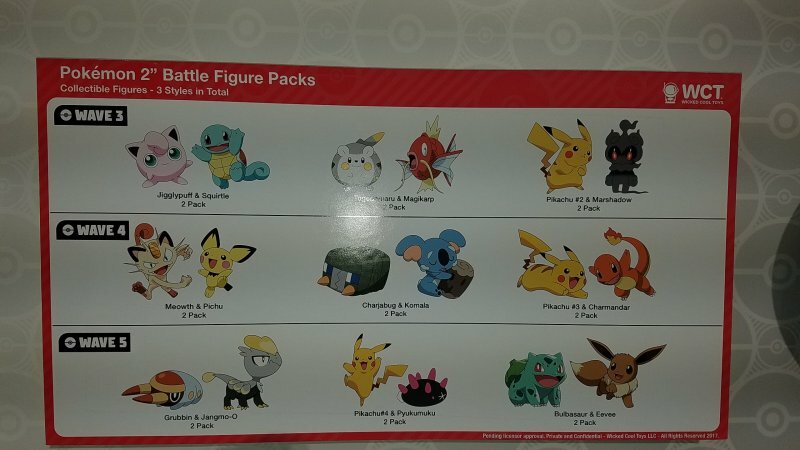 All of the figures will be scaled to each other. 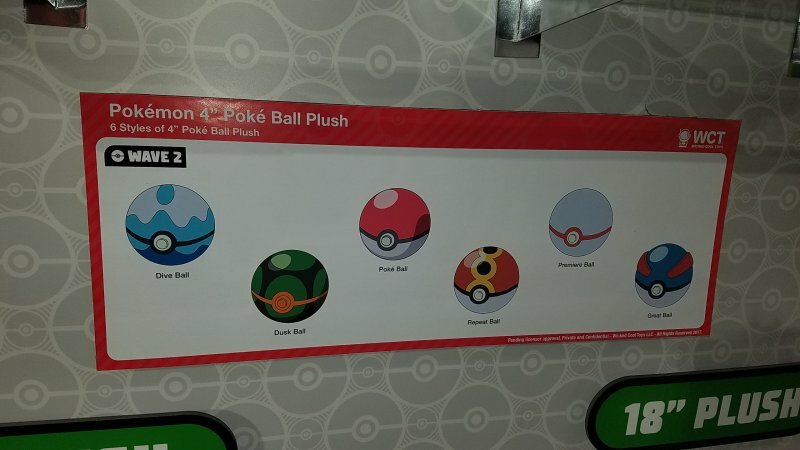 The scale will start at 2 – 3”, which is where most of the “starter” Pokémon, such as Pikachu and Bulbasaur, will live. 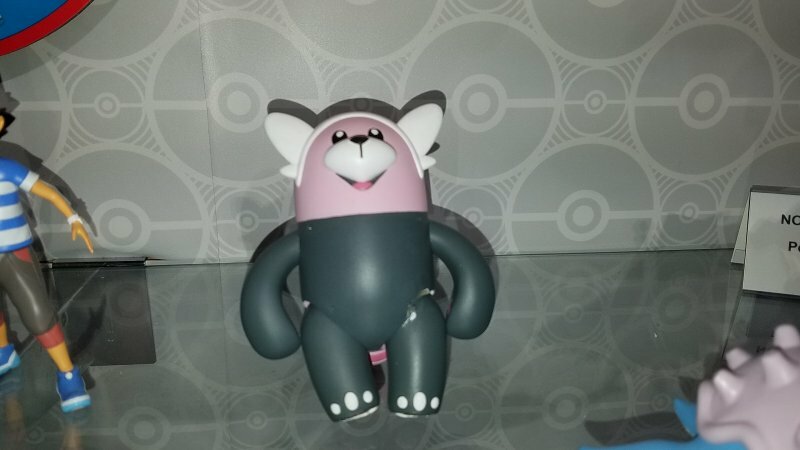 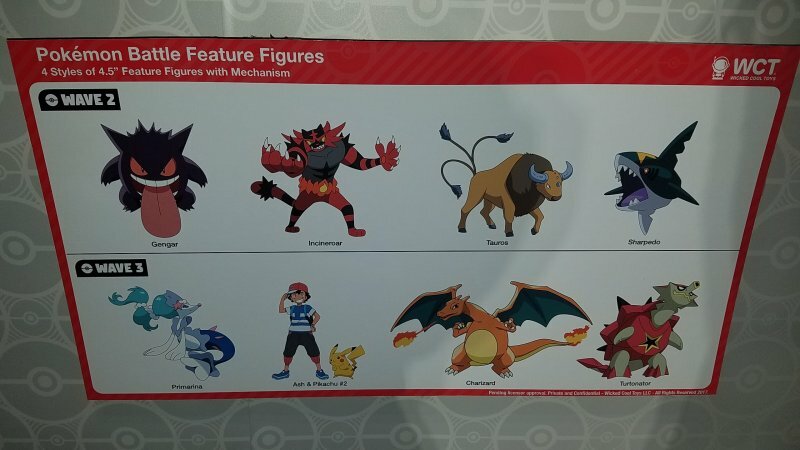 Their evolutions and slightly larger Pokémon will be done in 4.5” scale. 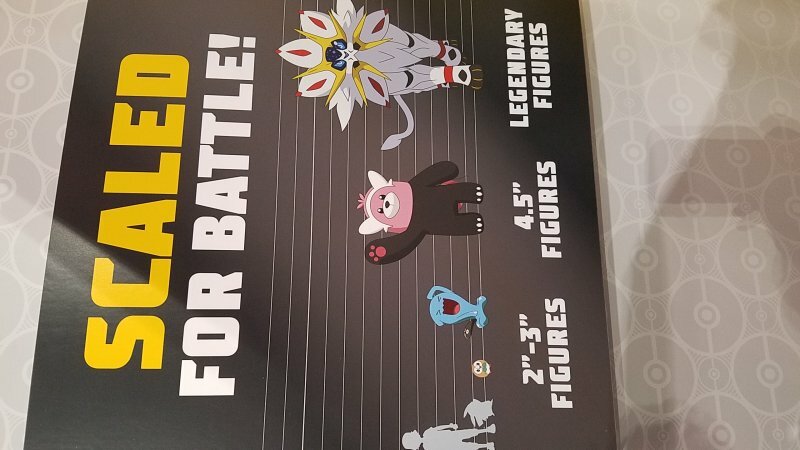 Finally, the largest scale of figure will be reserved for those spectacular creatures who are classified as Legendary. 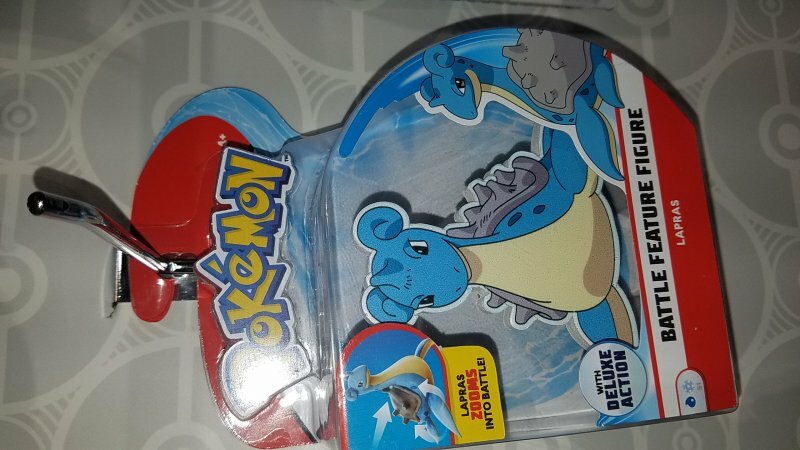 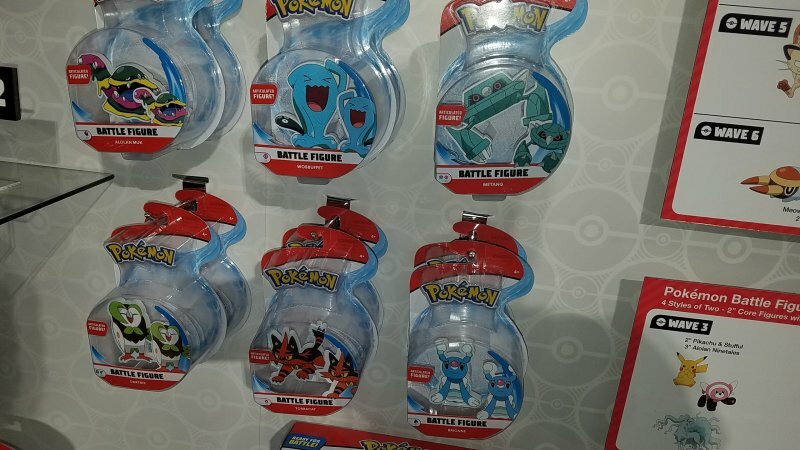 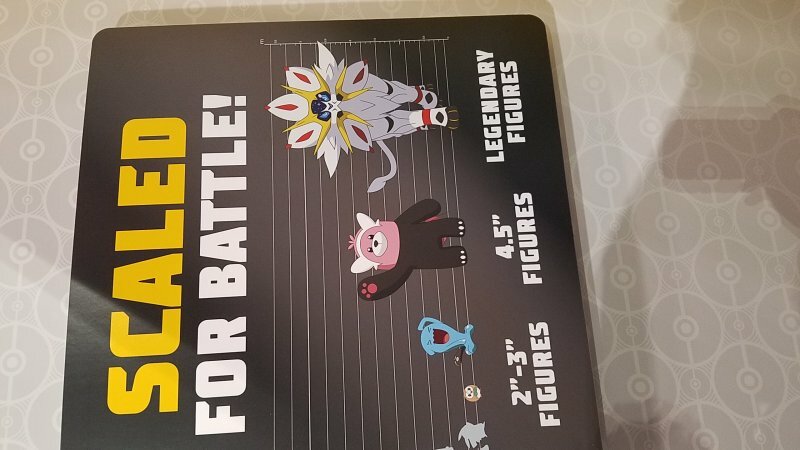 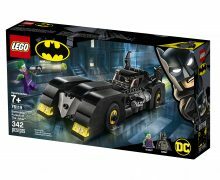 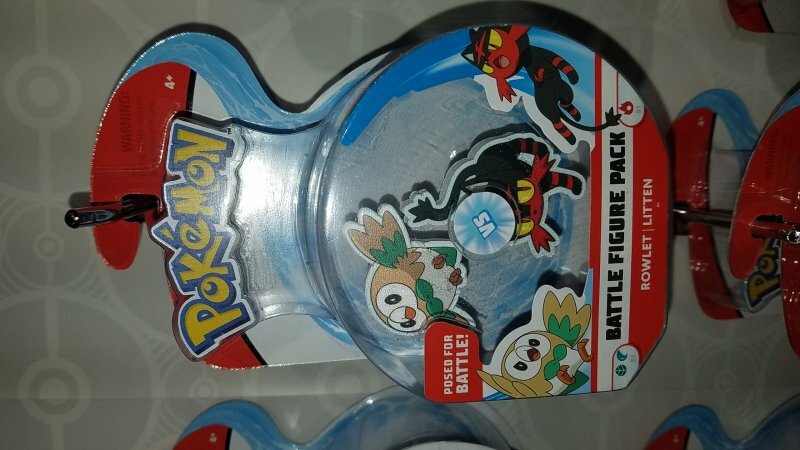 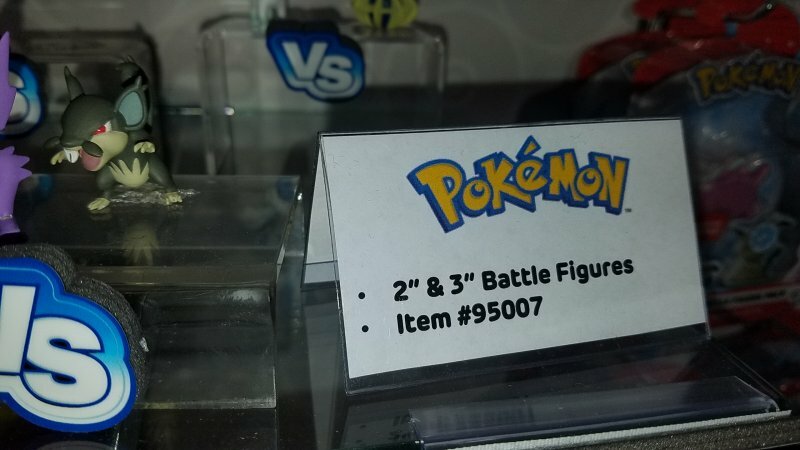 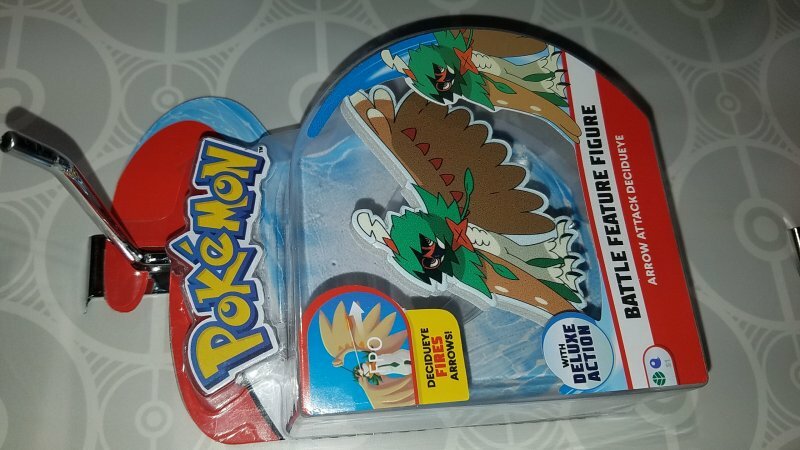 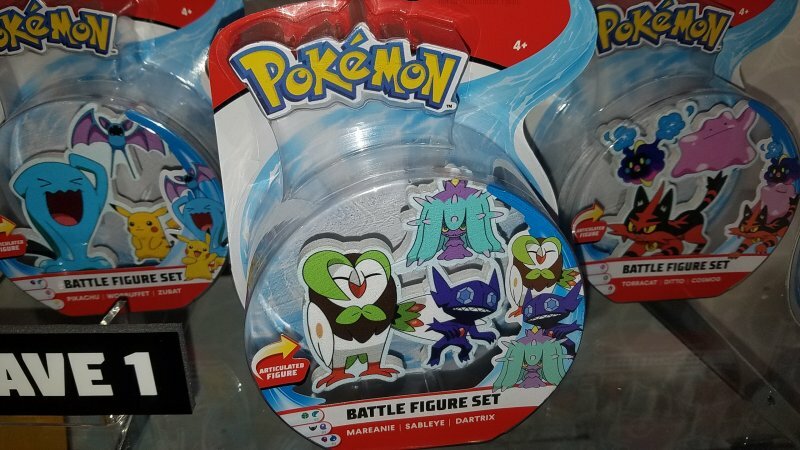 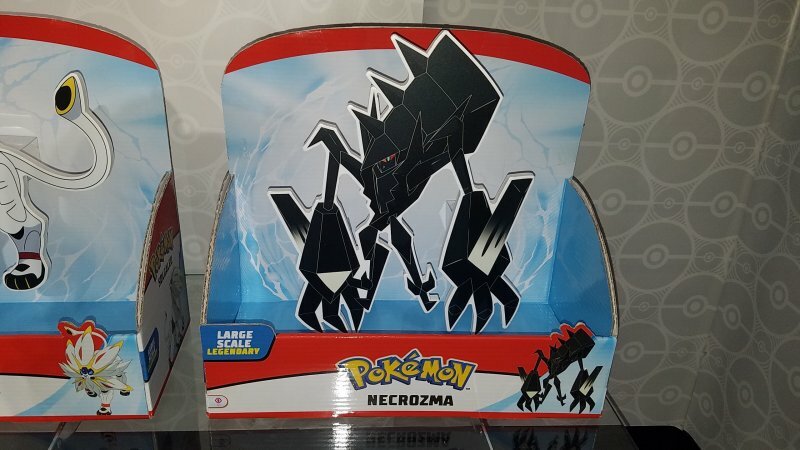 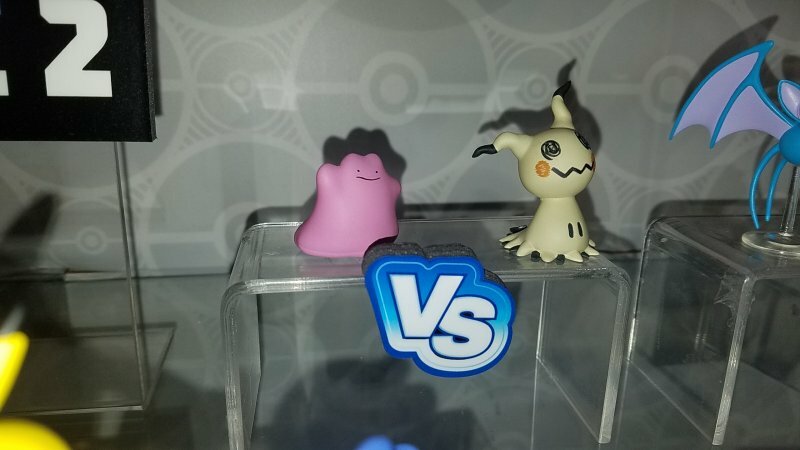 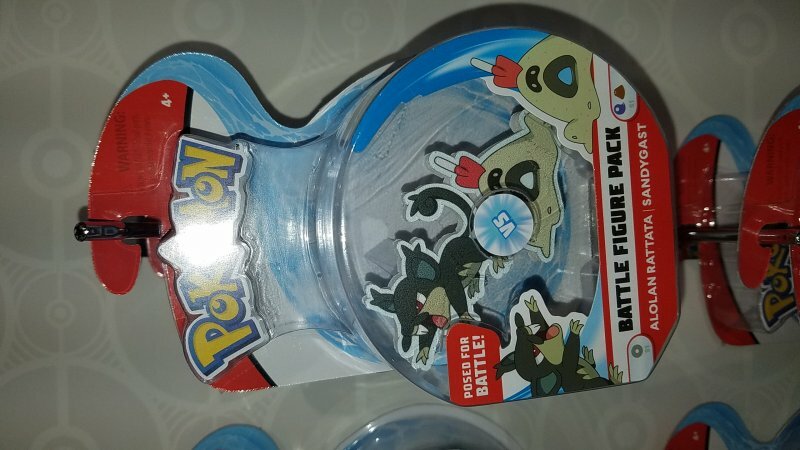 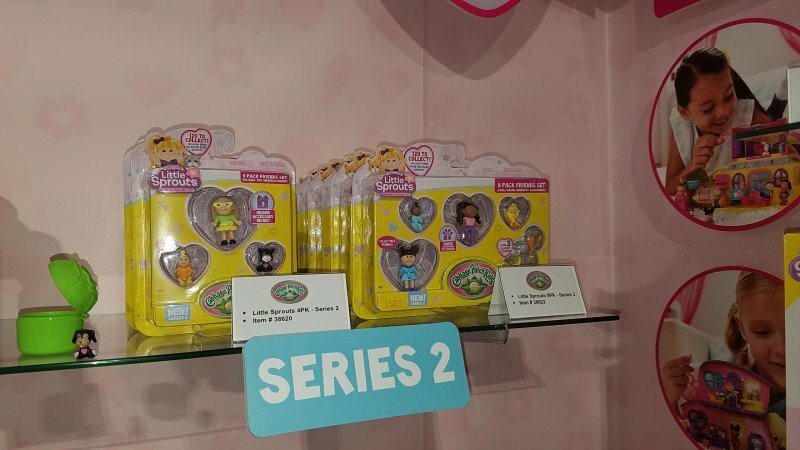 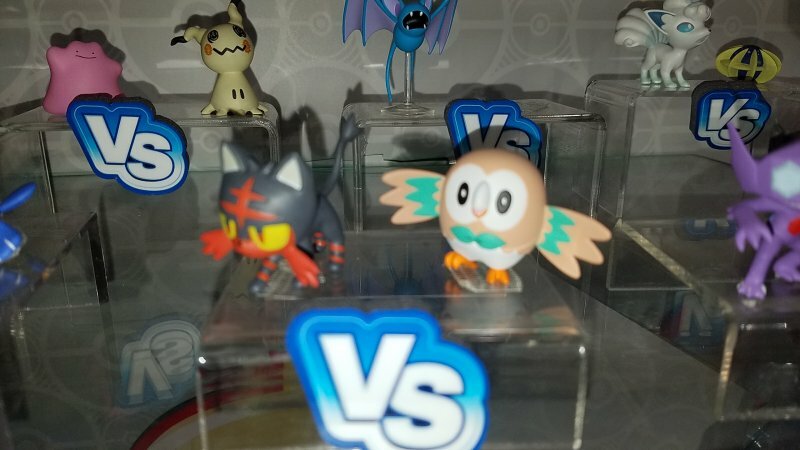 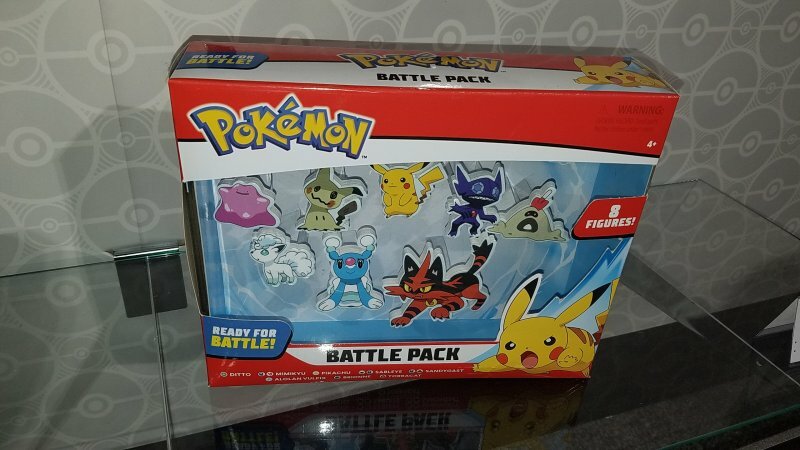 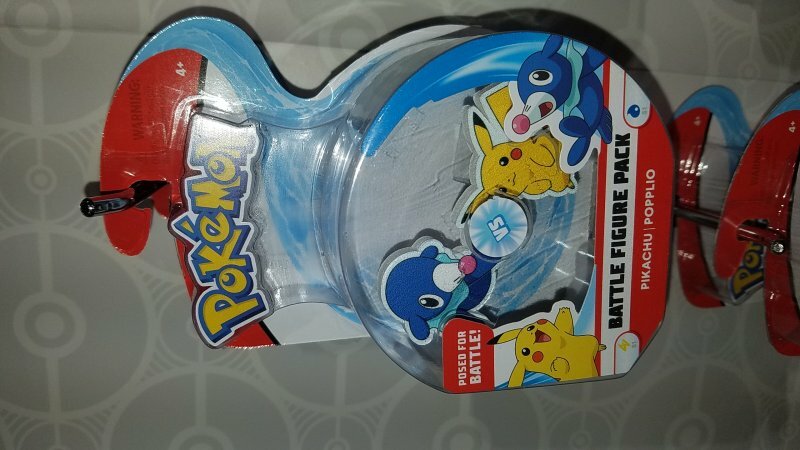 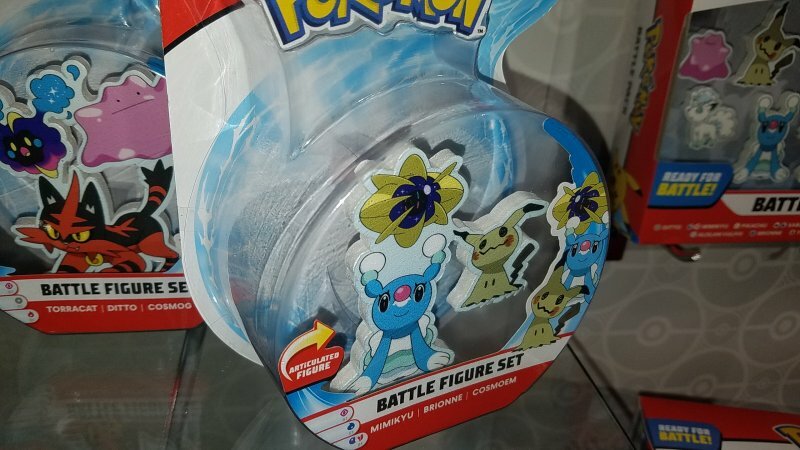 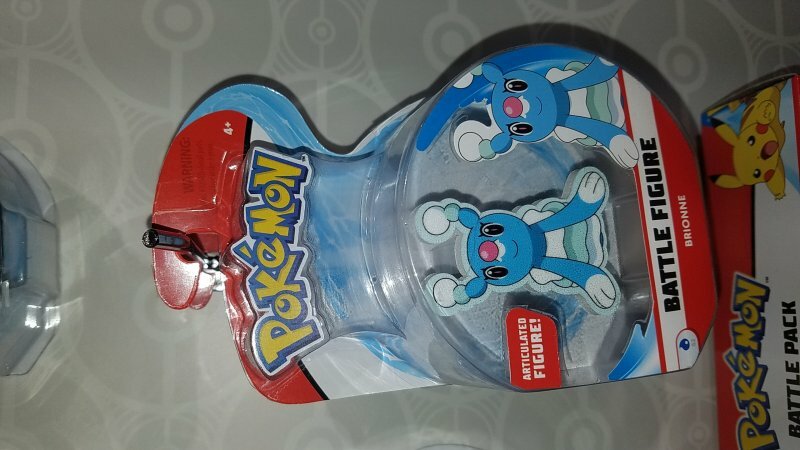 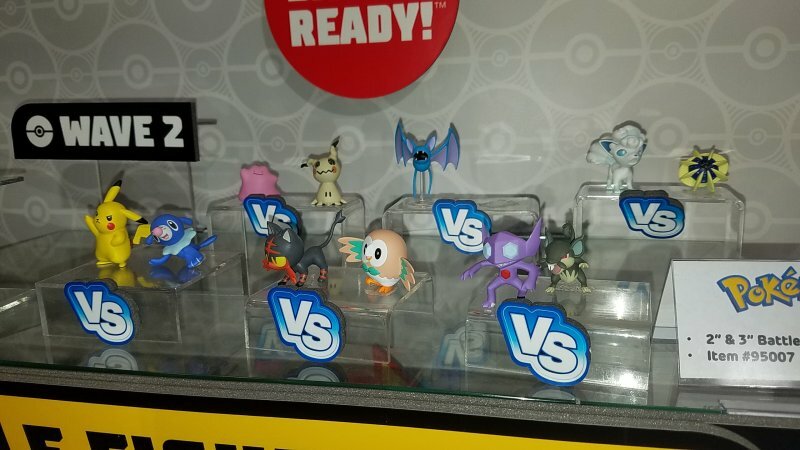 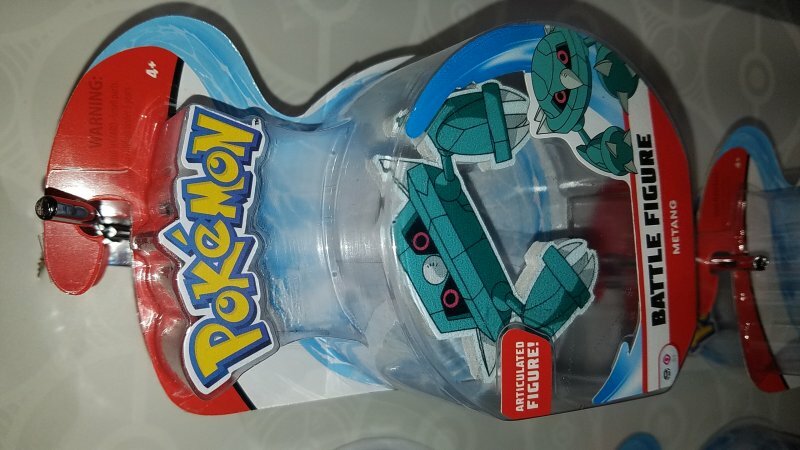 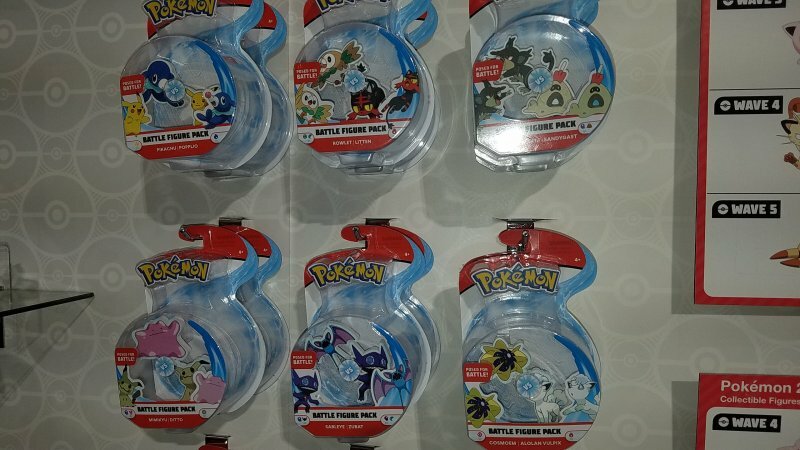 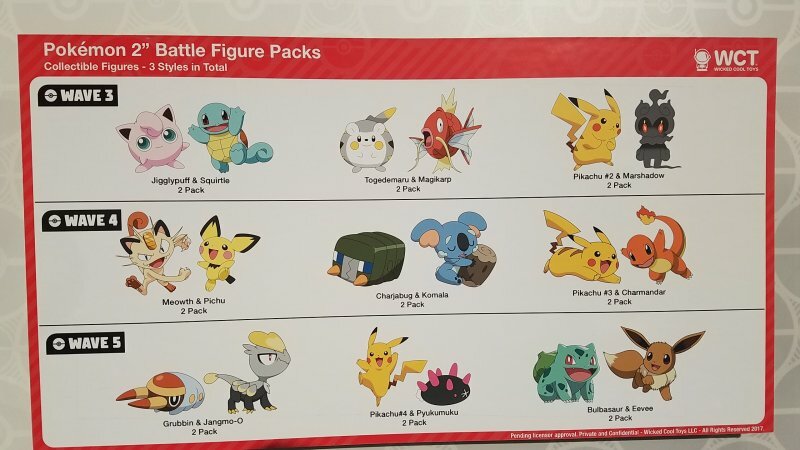 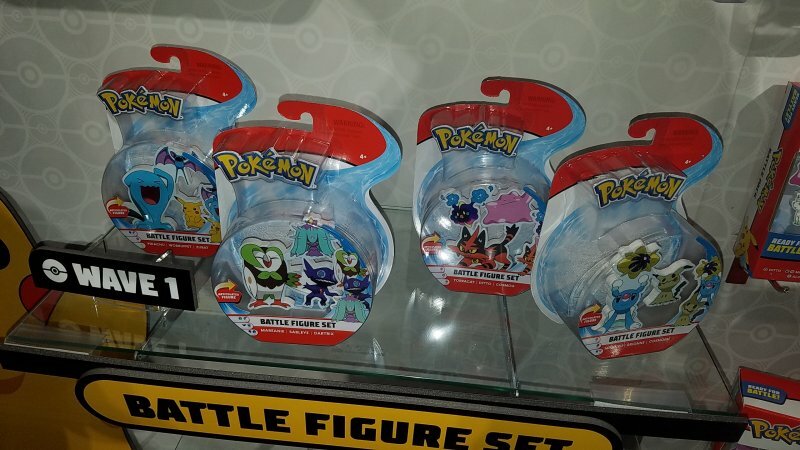 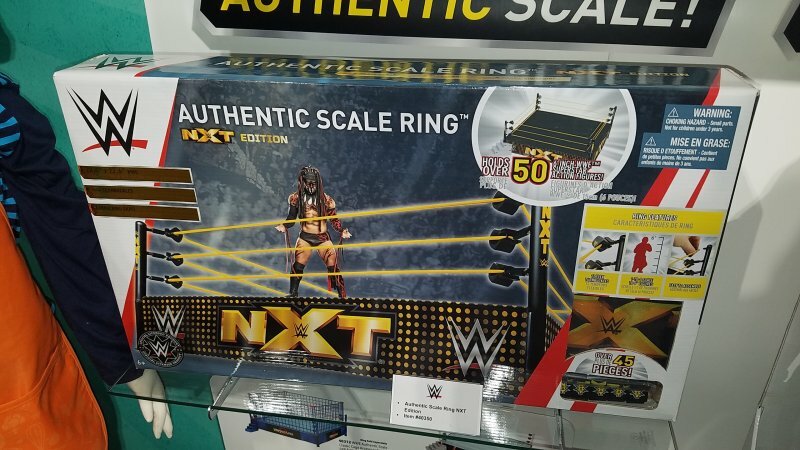 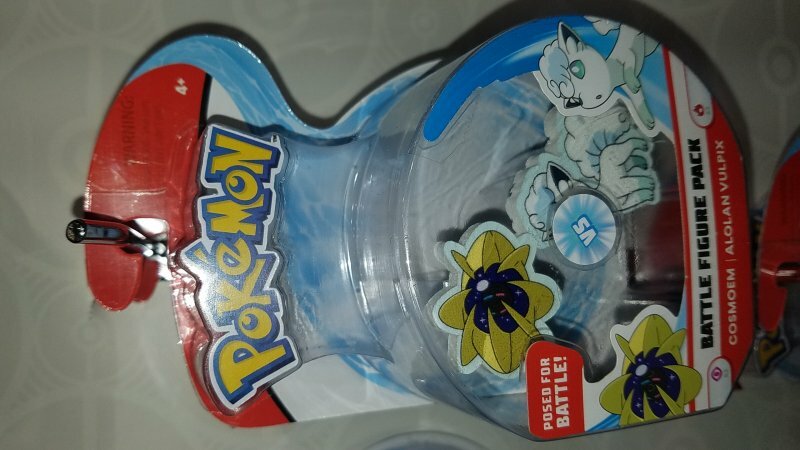 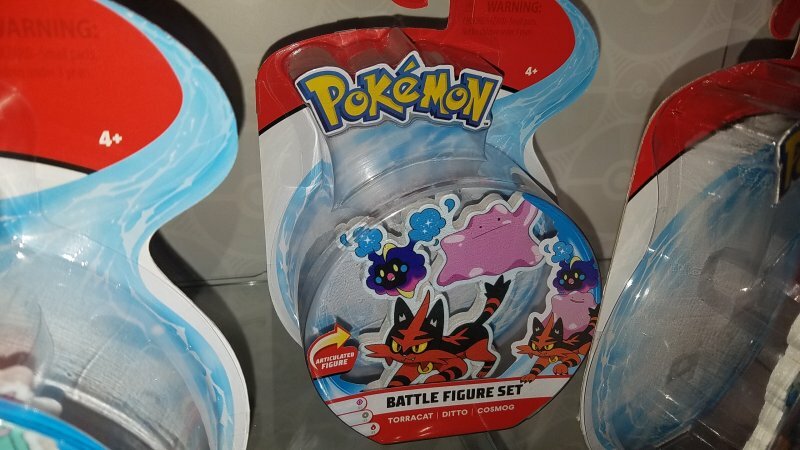 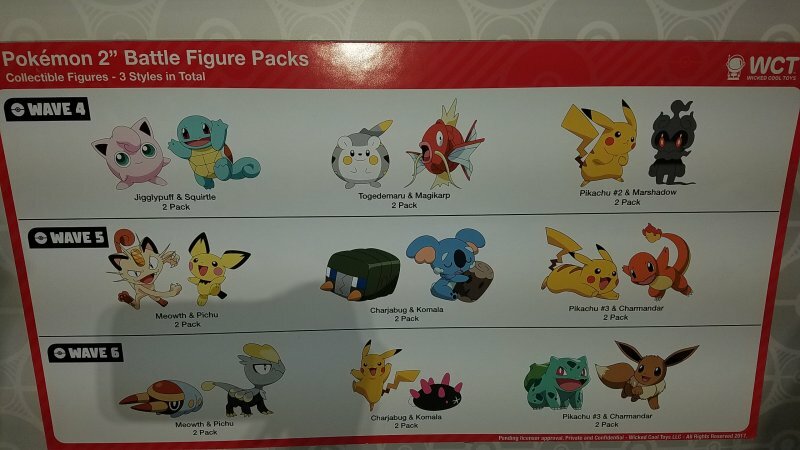 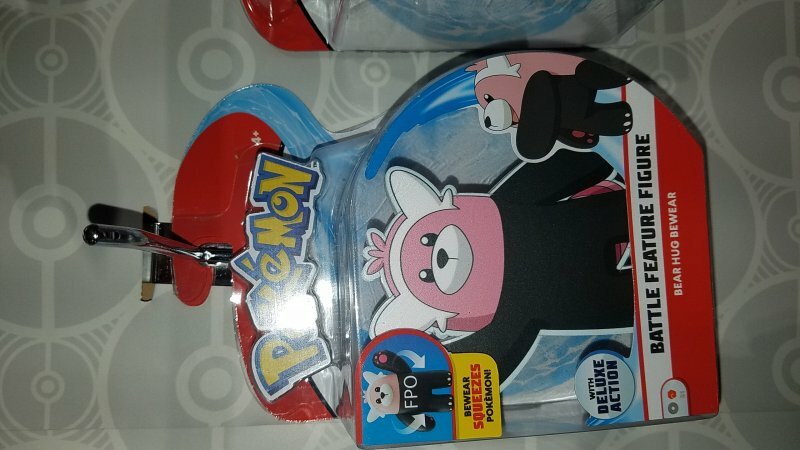 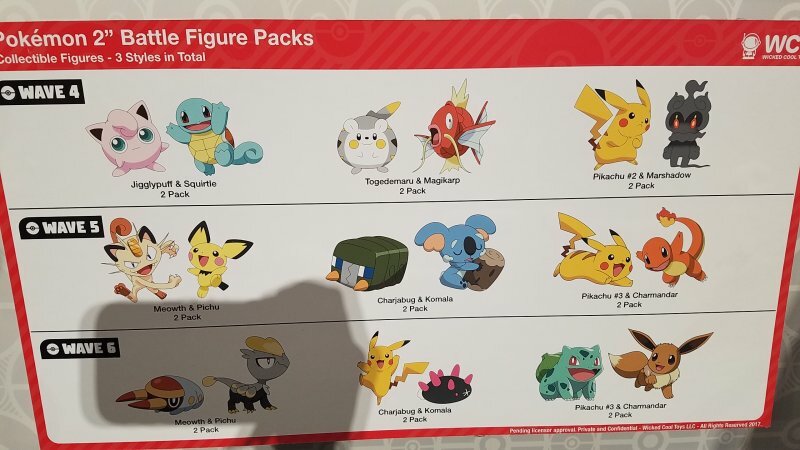 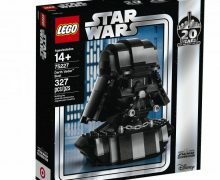 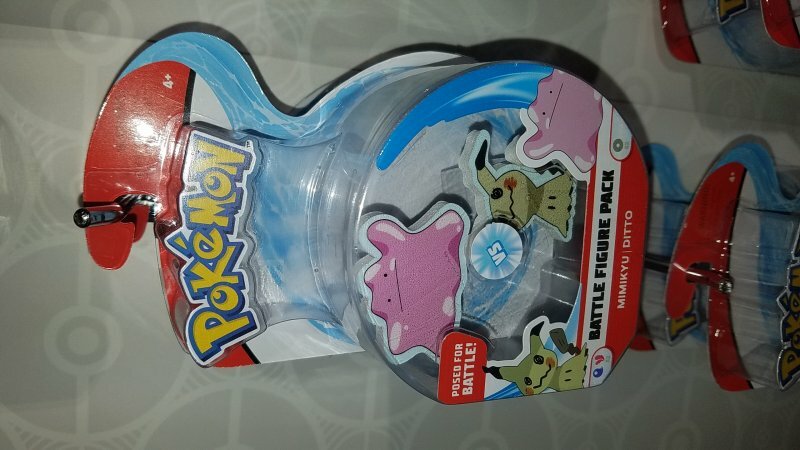 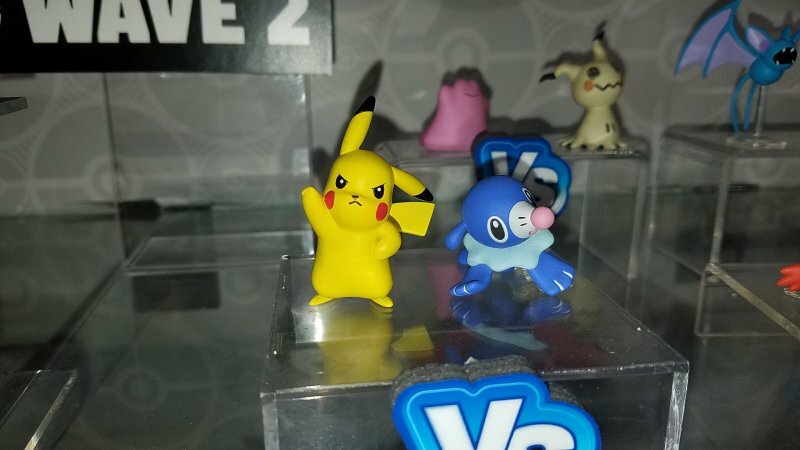 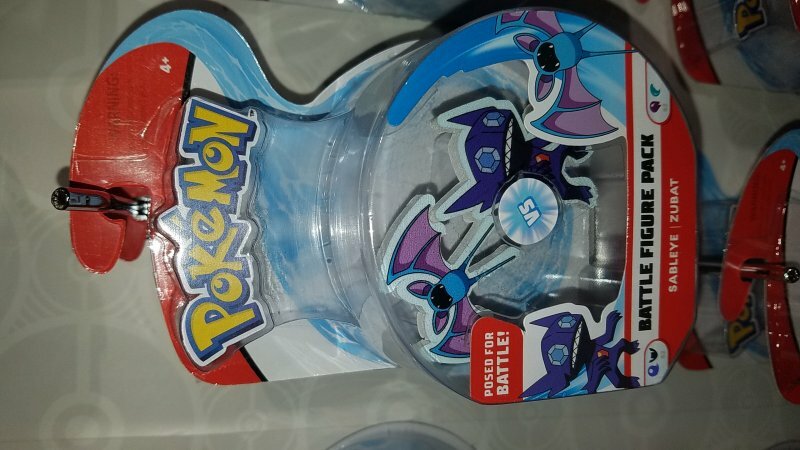 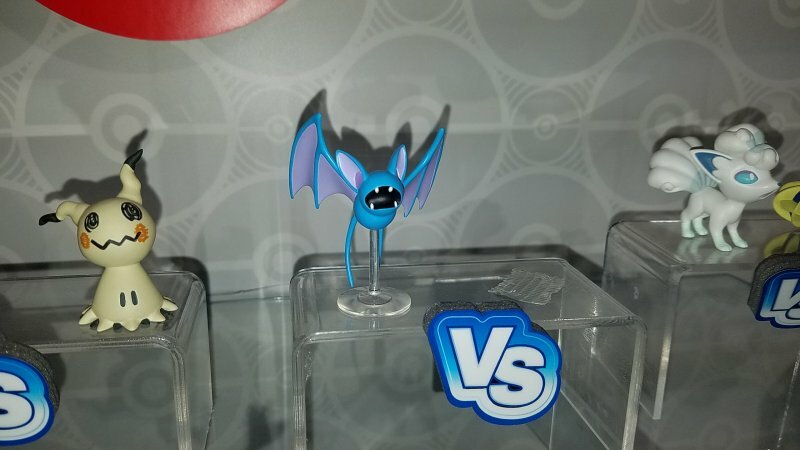 The 2 – 3” figures will be sold in “battle packs” consisting of 1, 2, 3 or even 8 figures. 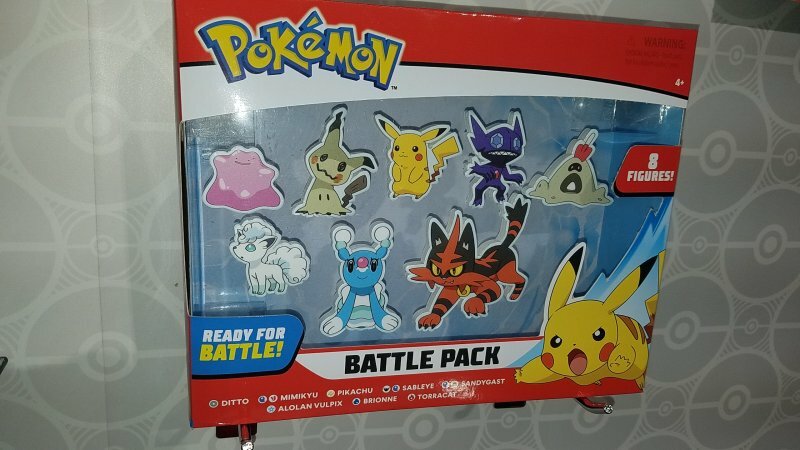 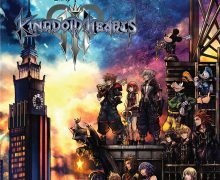 4.5” figures will each be sold separately and will each have a “battle feature.” The 2 – 4.5” figures will be sold on blister card packaging, except for the 8 figure box set, which will be sold in a window box. 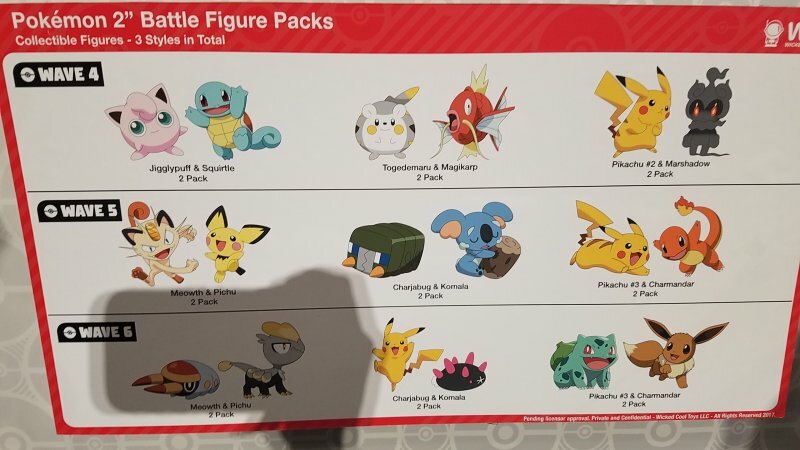 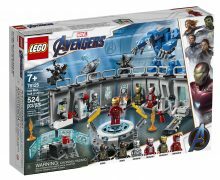 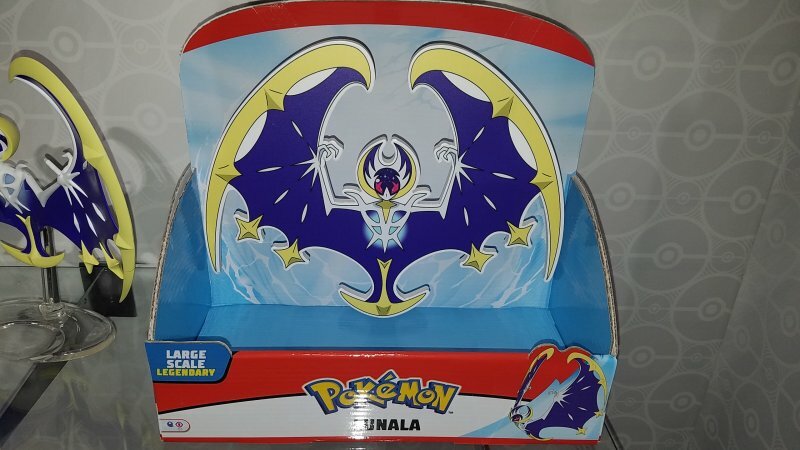 The Legendary figures will be sold in open front box packaging. 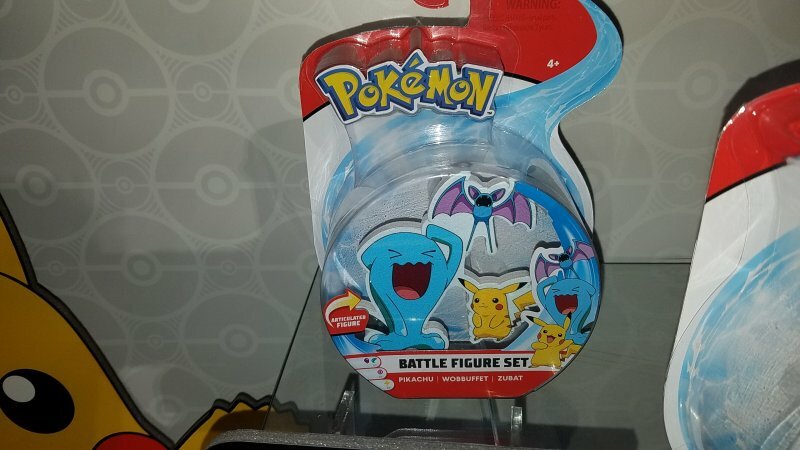 The 2” figures will have no articulation, but they will come pre-posed for battle. 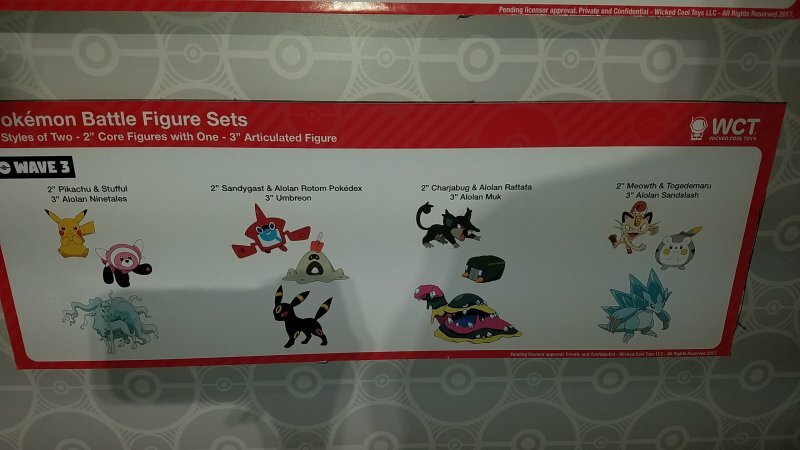 The 3” figures will have articulation. 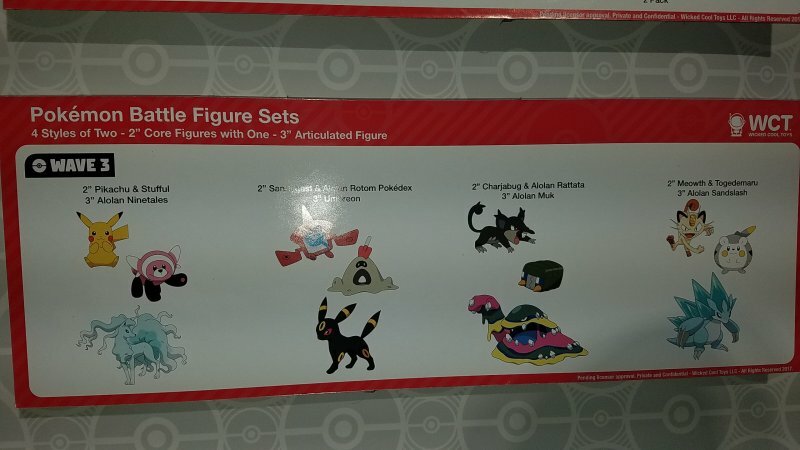 In addition to the “main” figure line, there are also several other components to the line. 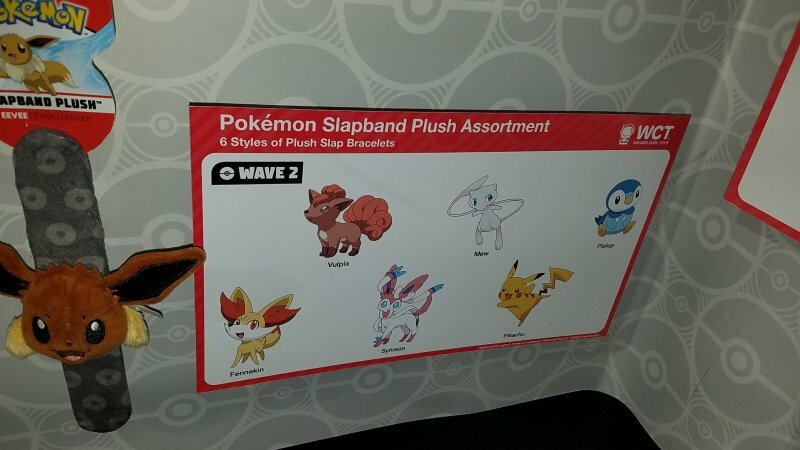 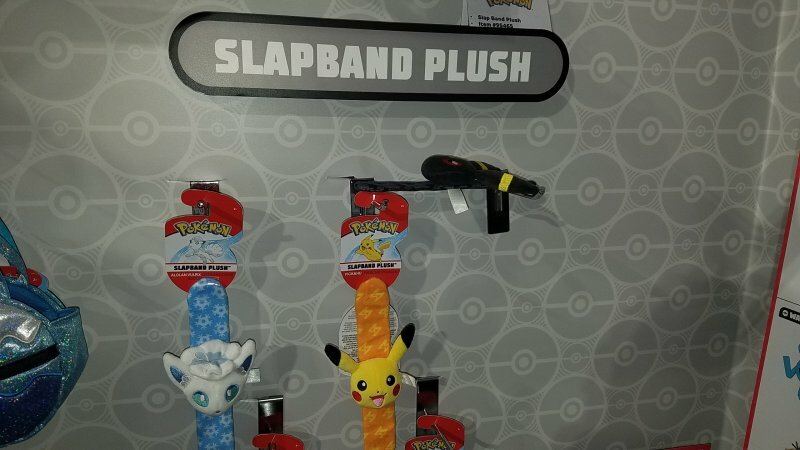 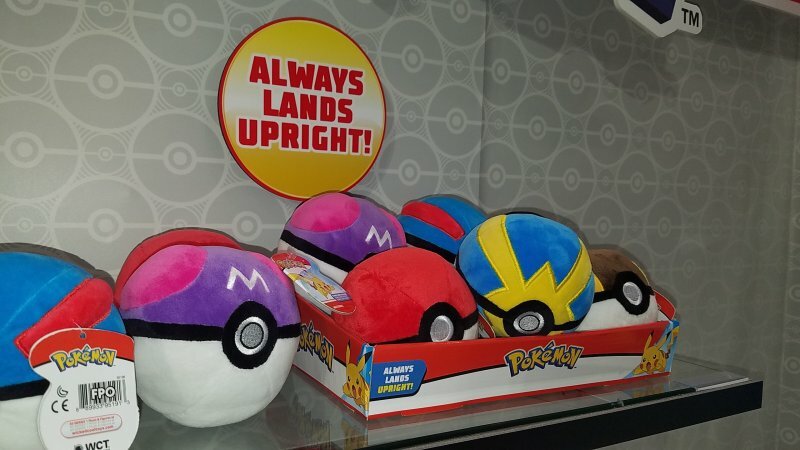 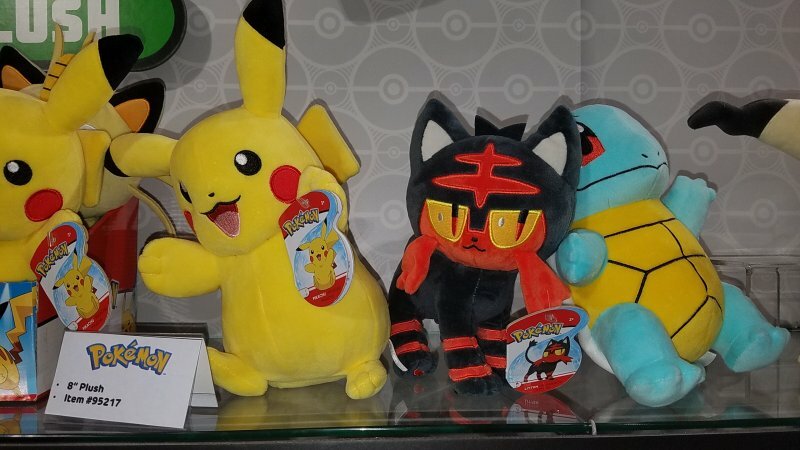 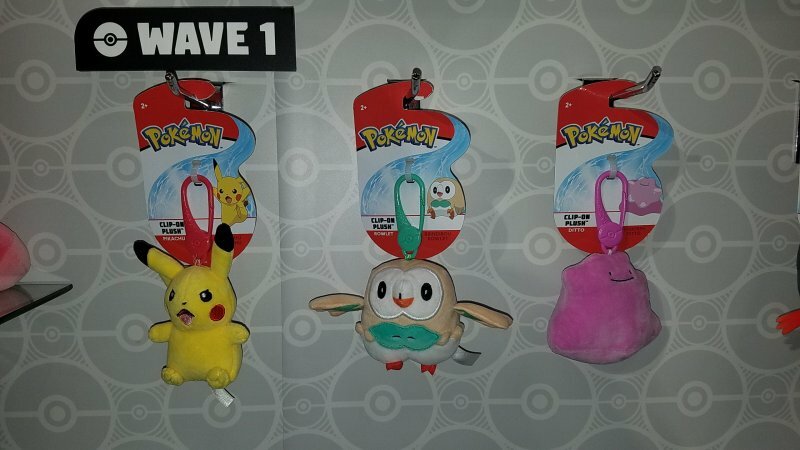 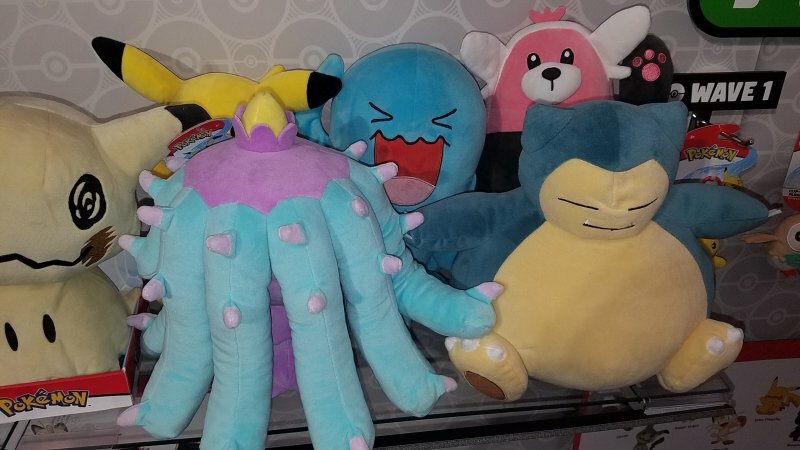 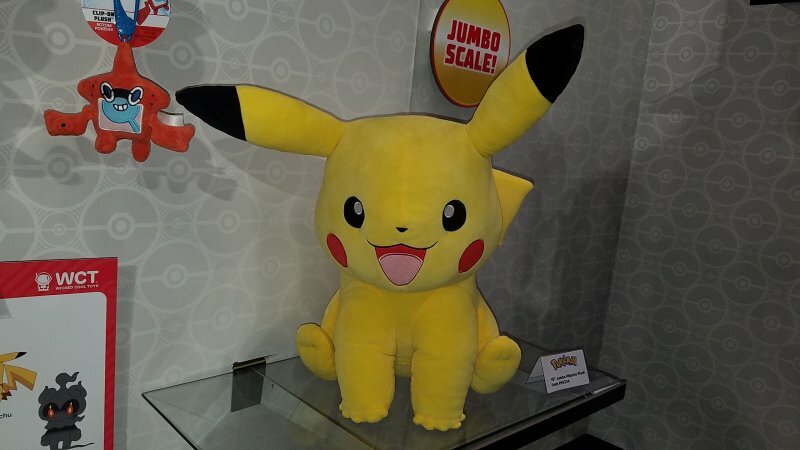 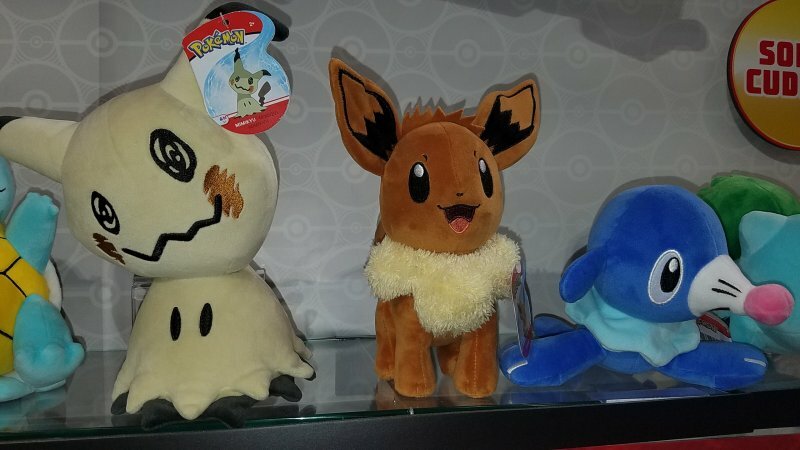 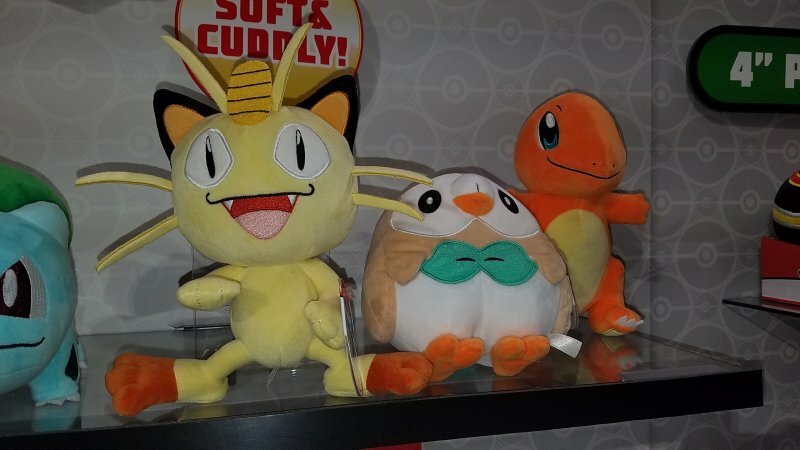 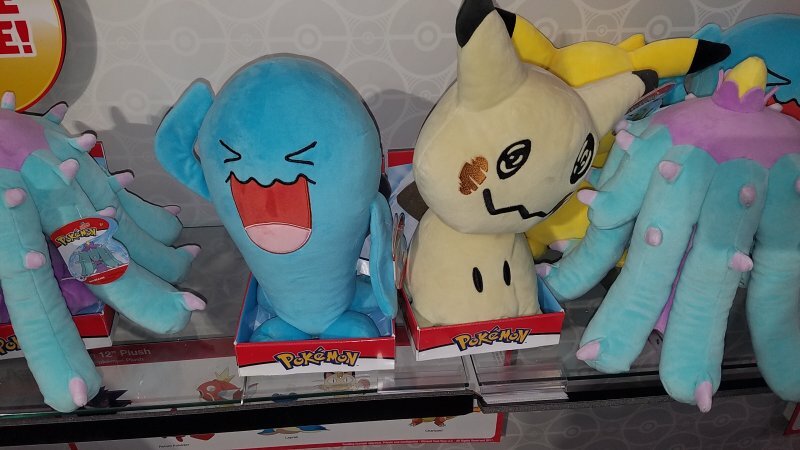 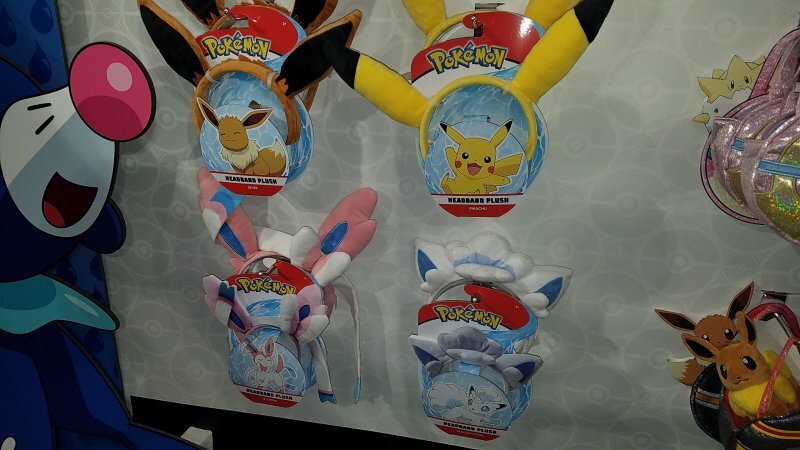 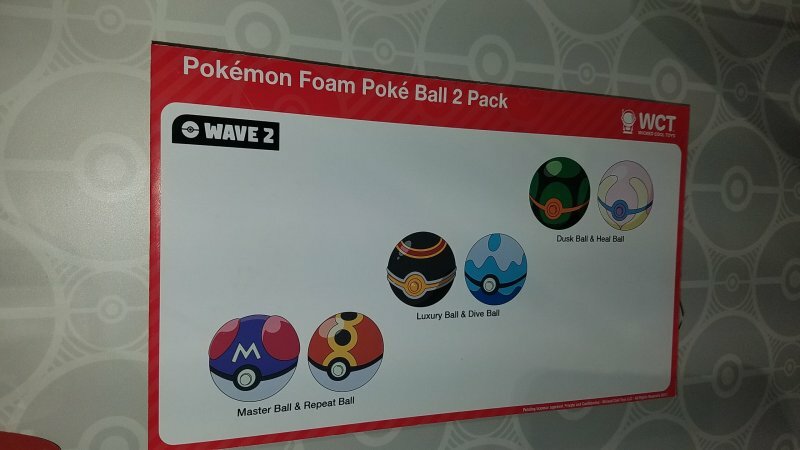 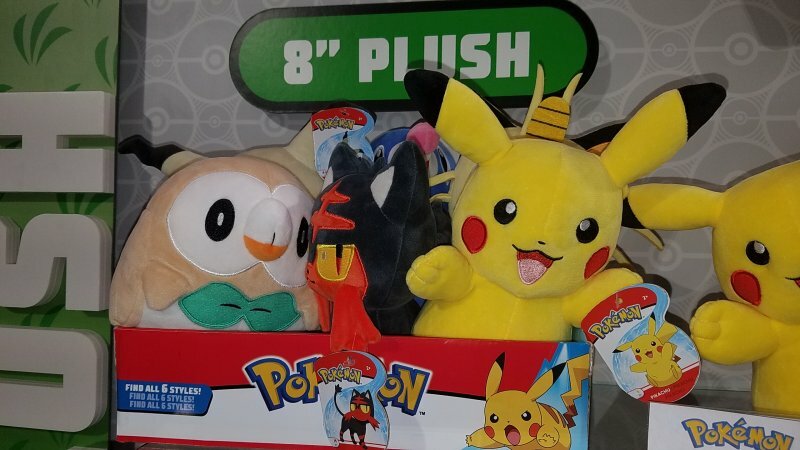 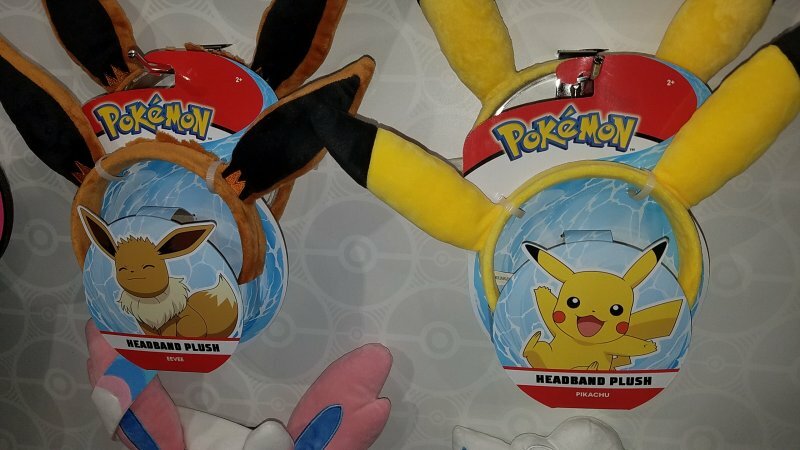 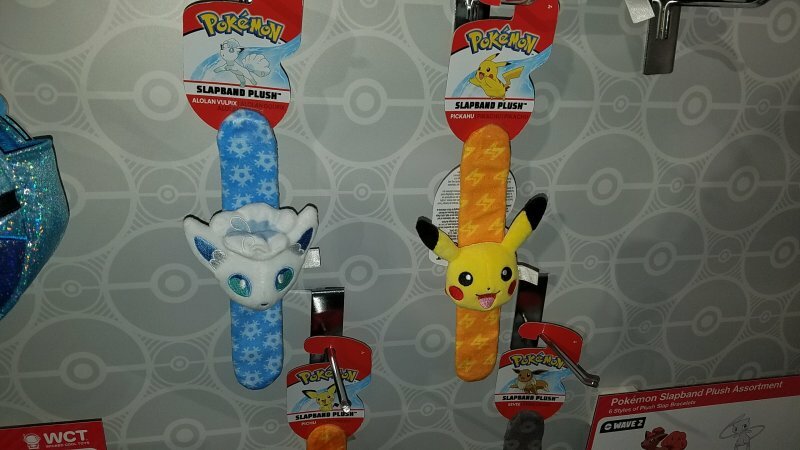 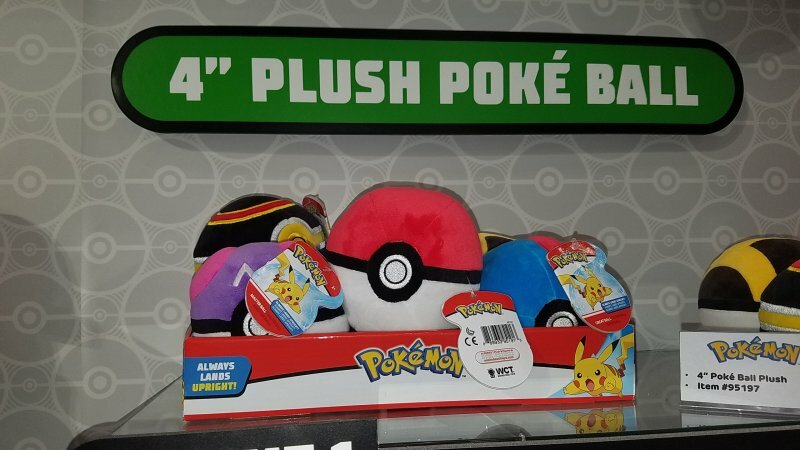 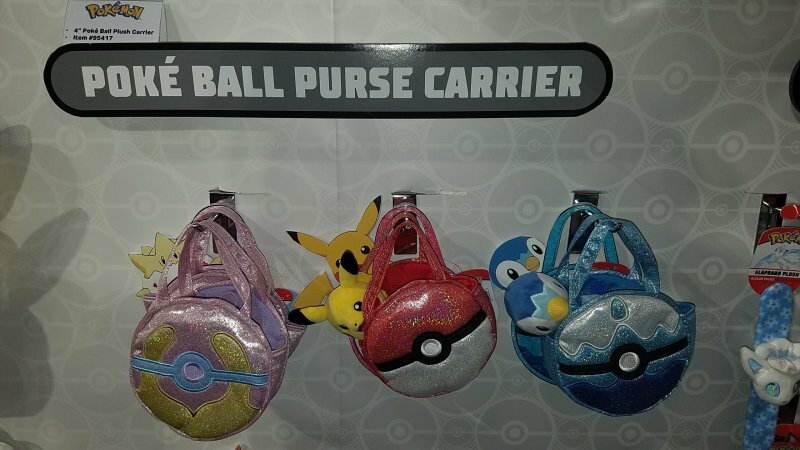 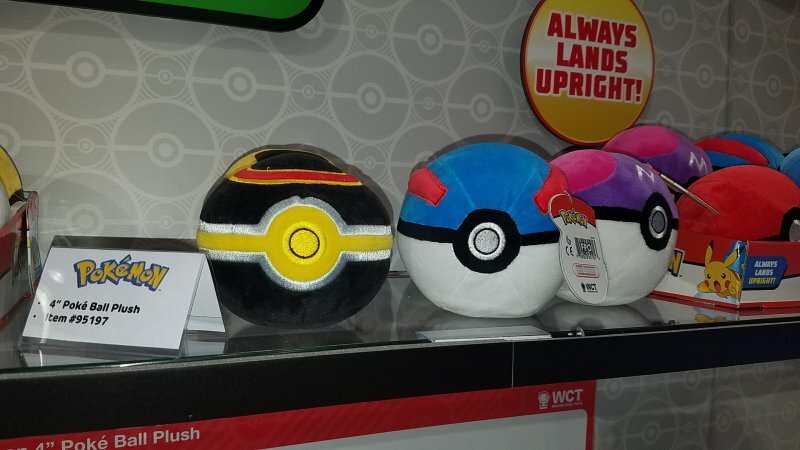 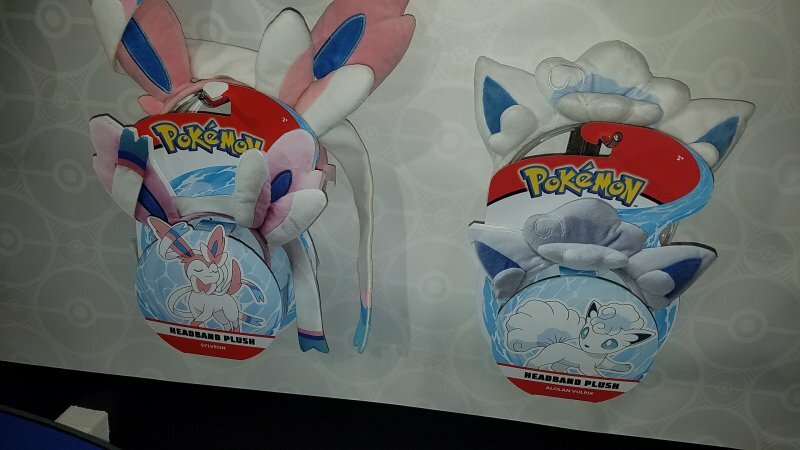 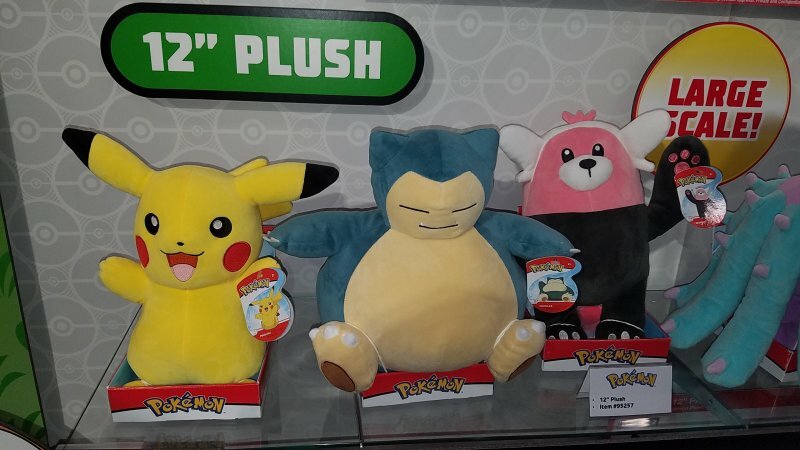 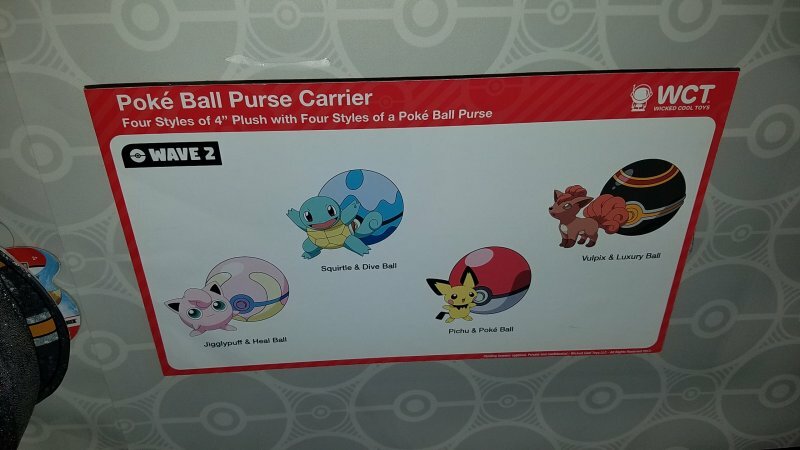 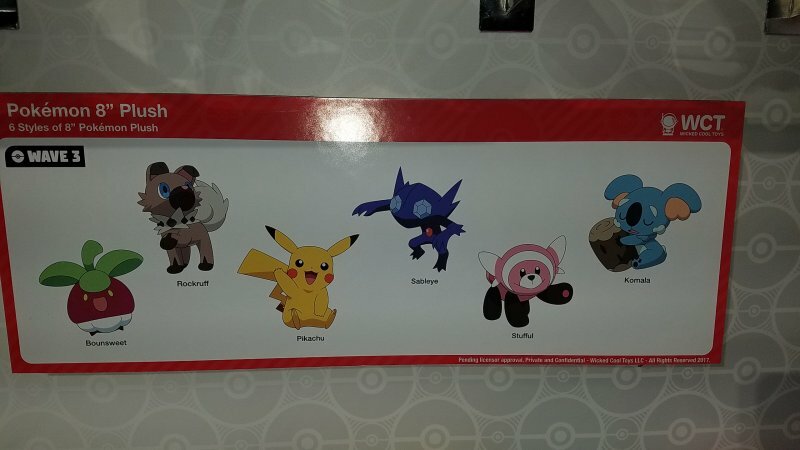 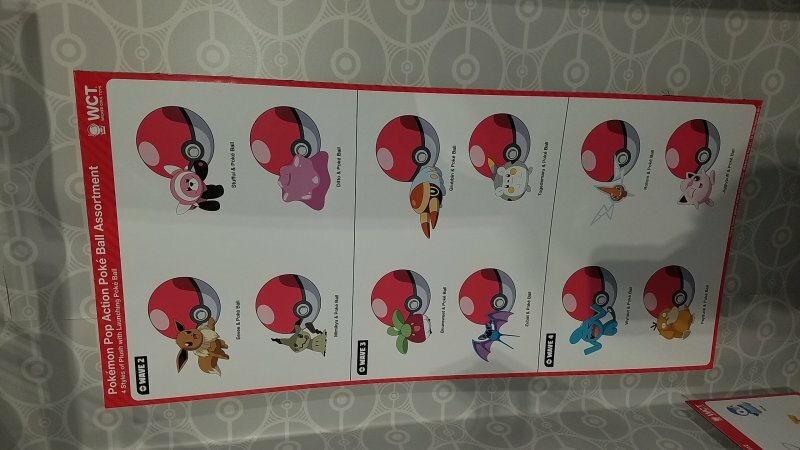 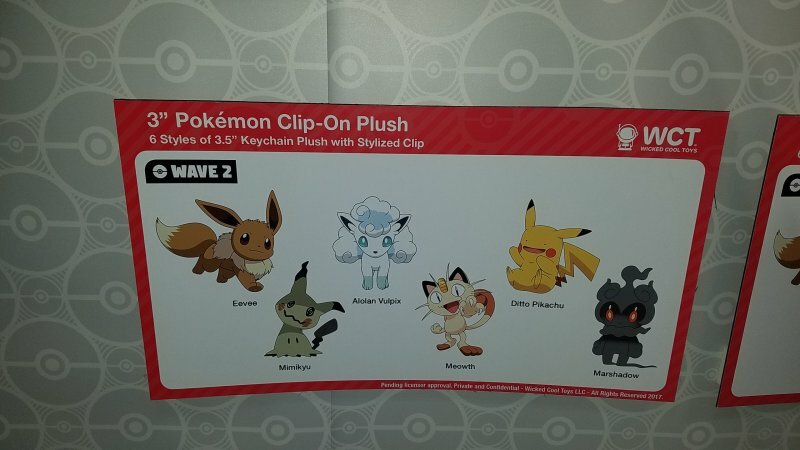 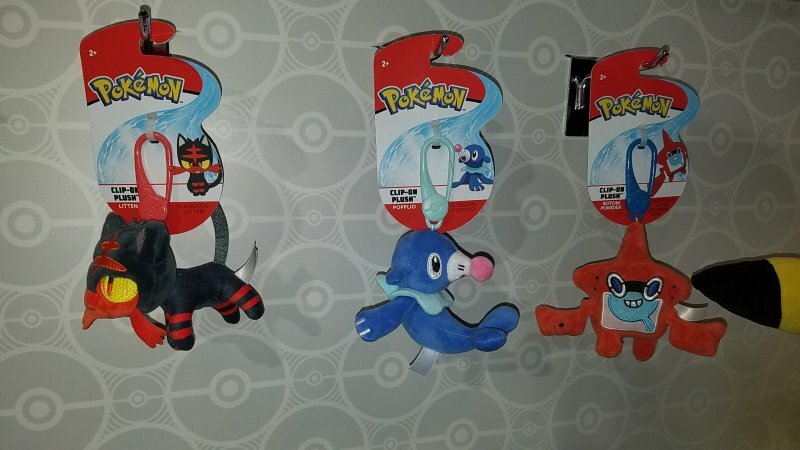 The plush segment will consist of 8” and 12” Pokémon and 4” Pokeballs. 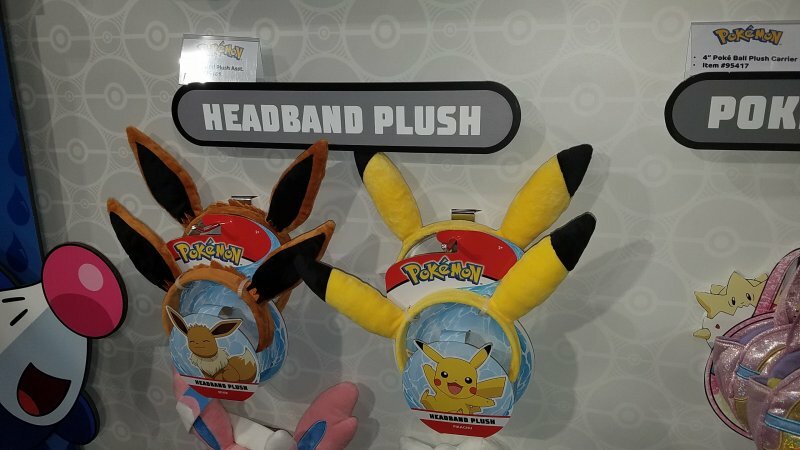 There will also be smaller “clip-on” plush, plush headbands and, purse carriers that will come with a plush, and plush snap bracelets. 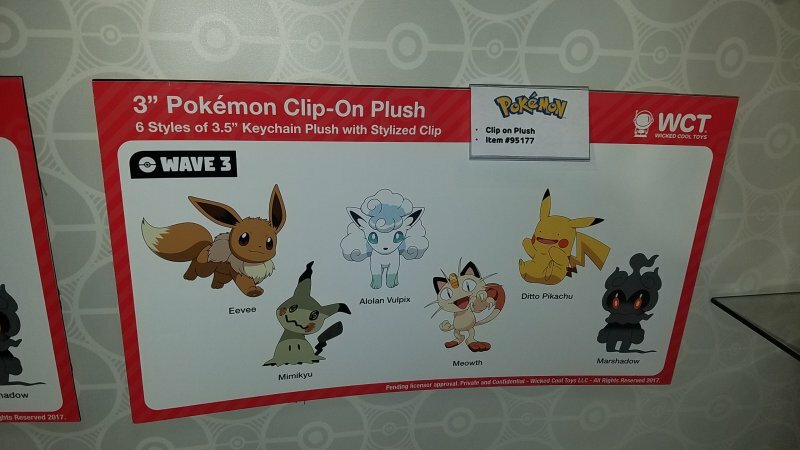 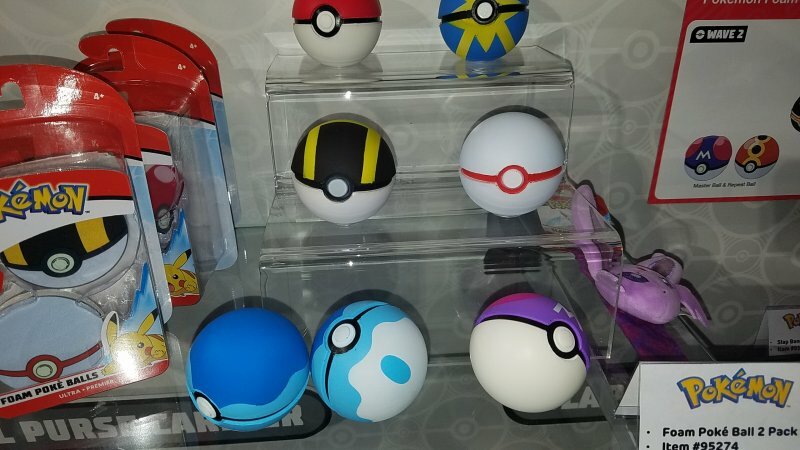 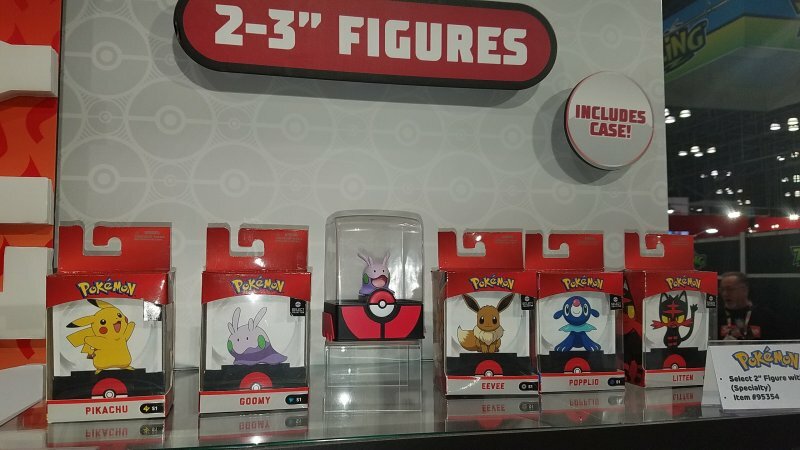 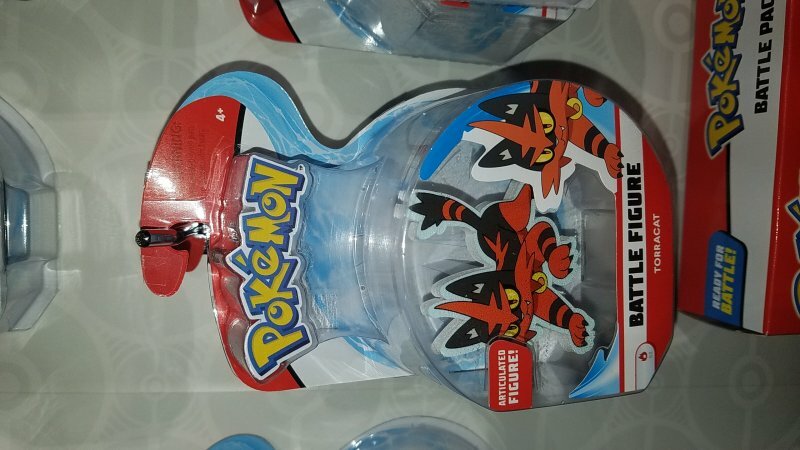 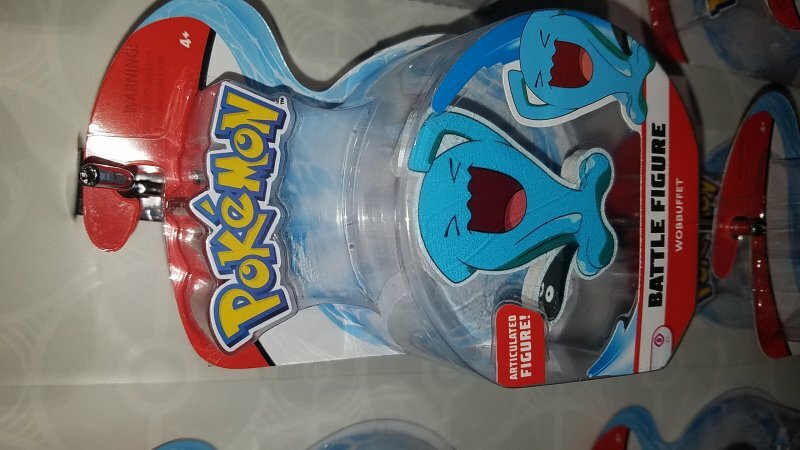 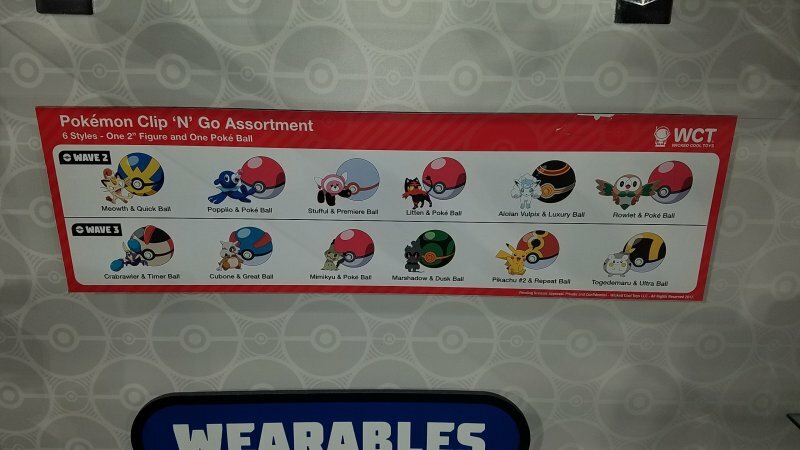 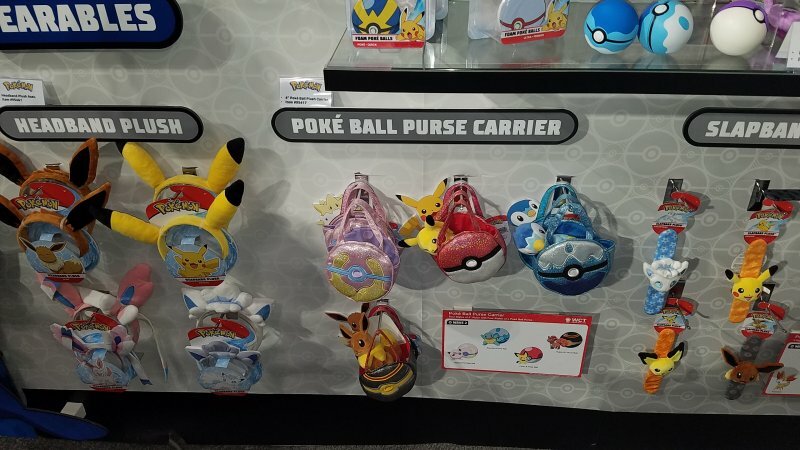 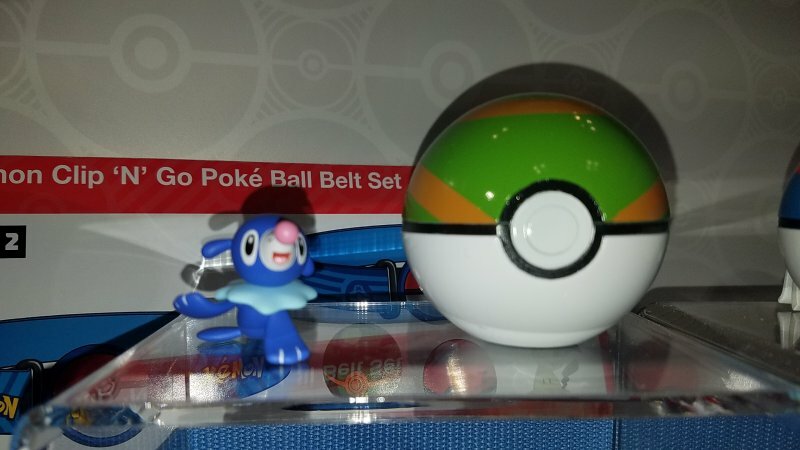 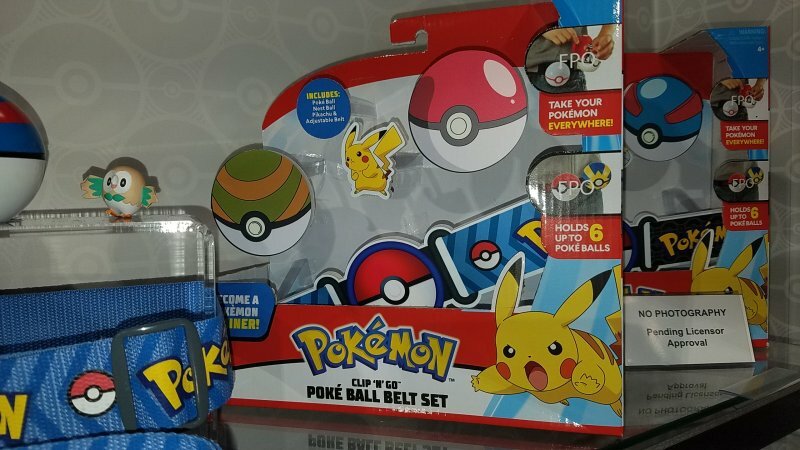 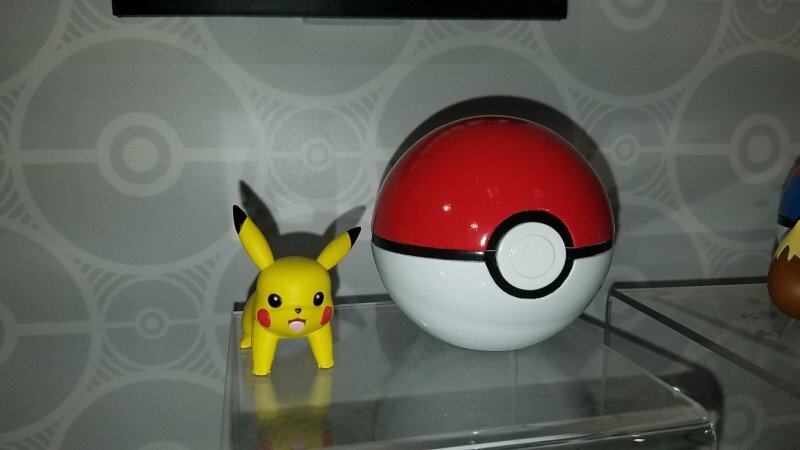 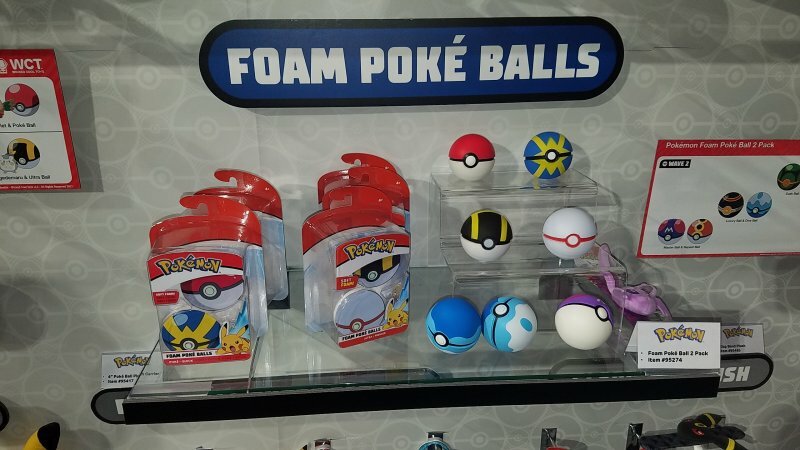 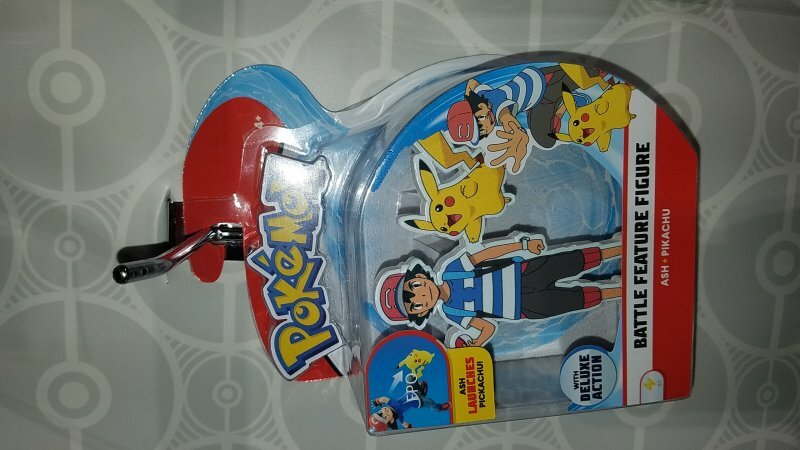 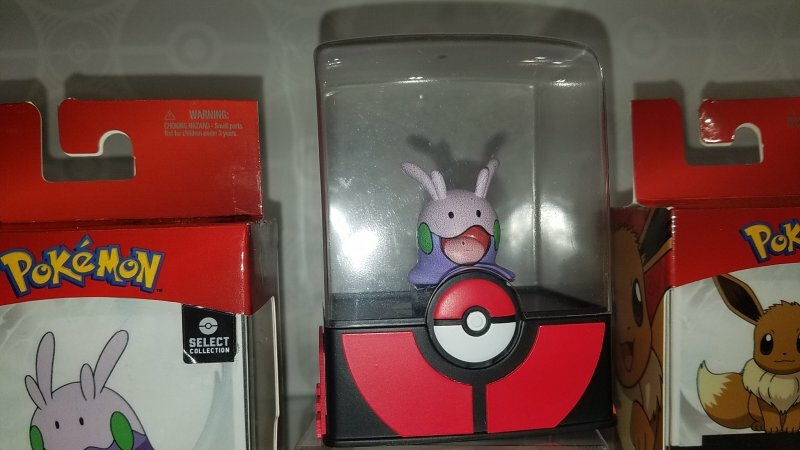 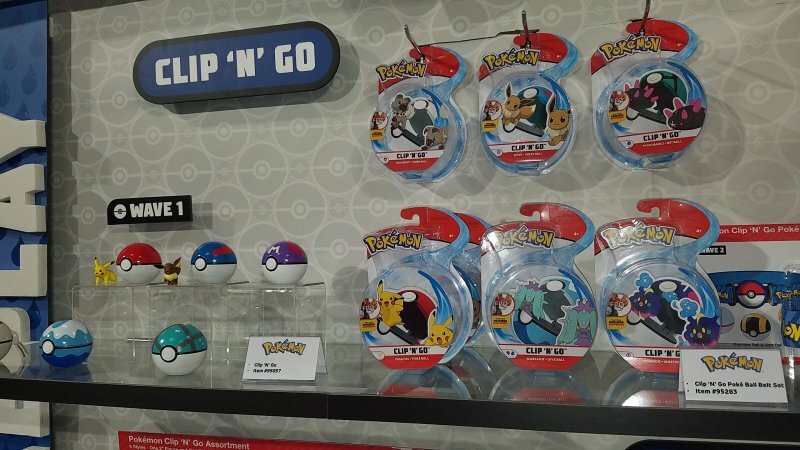 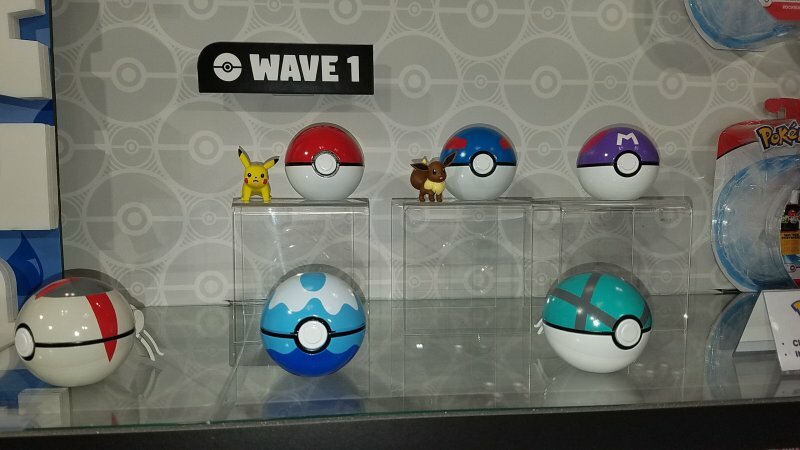 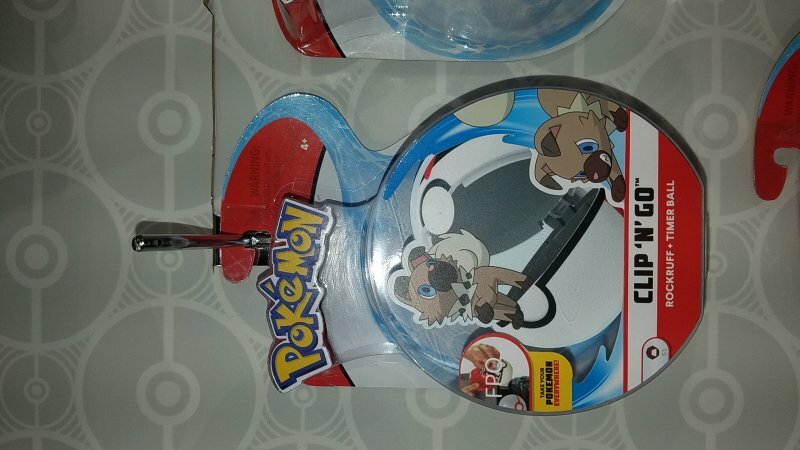 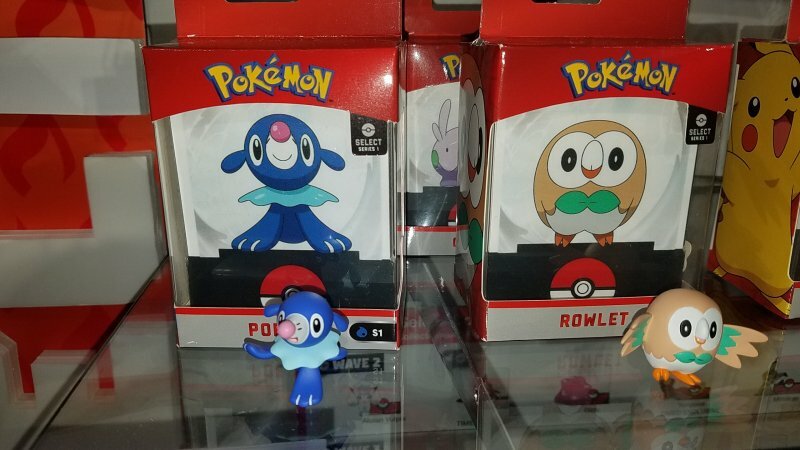 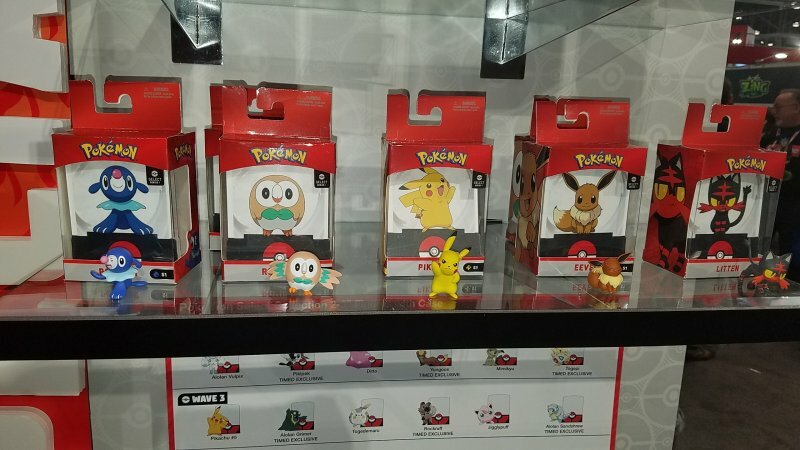 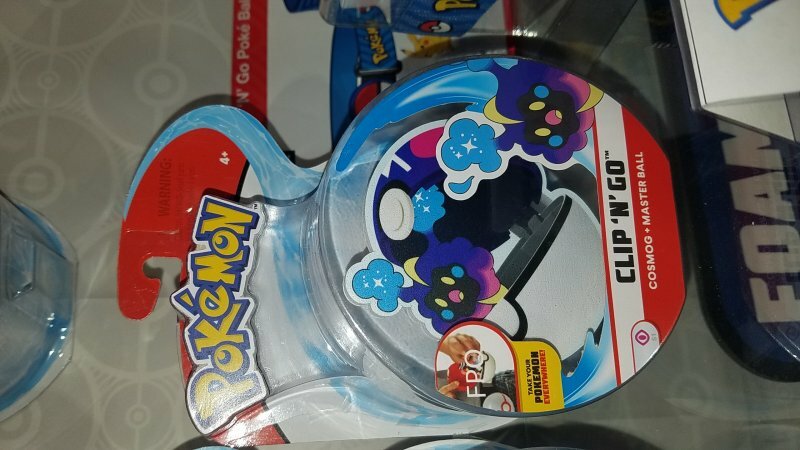 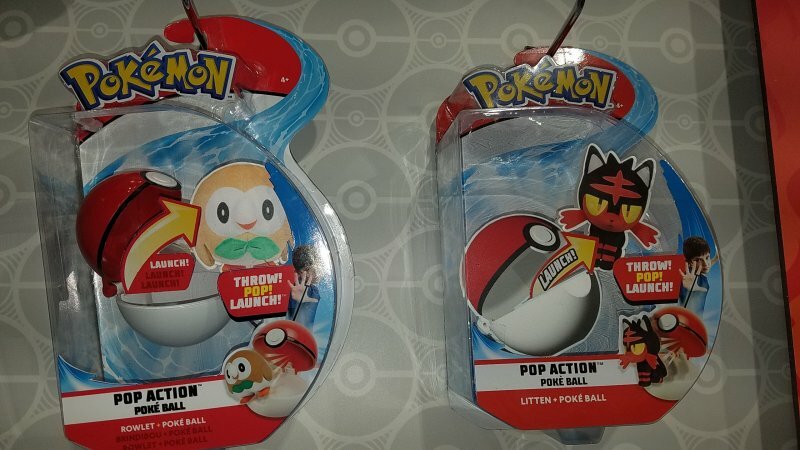 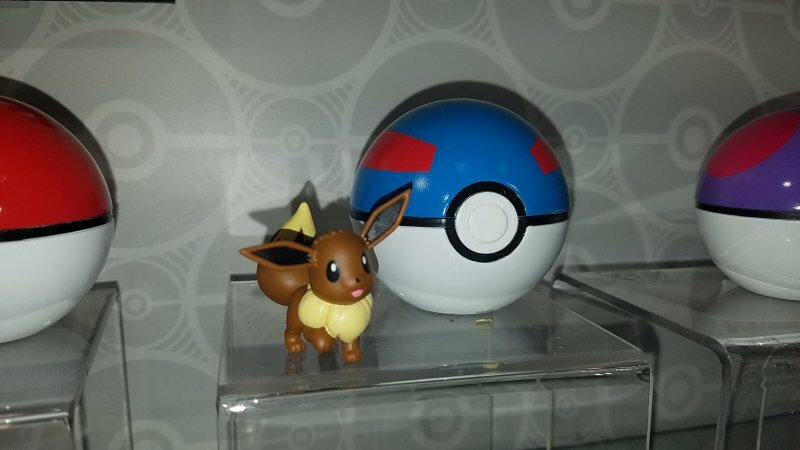 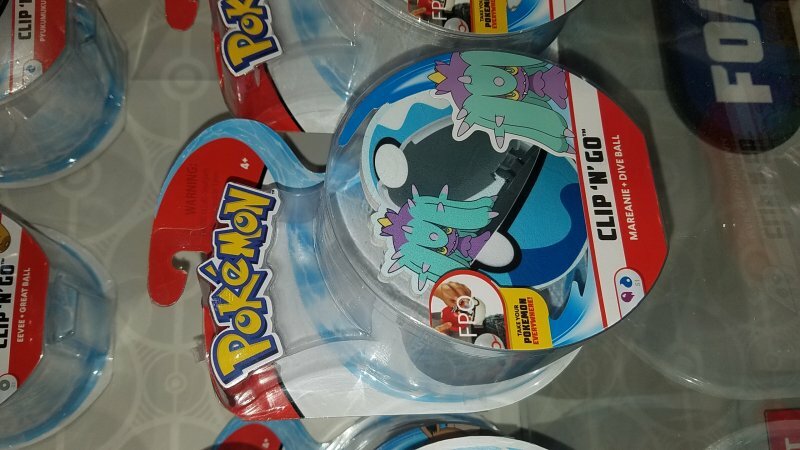 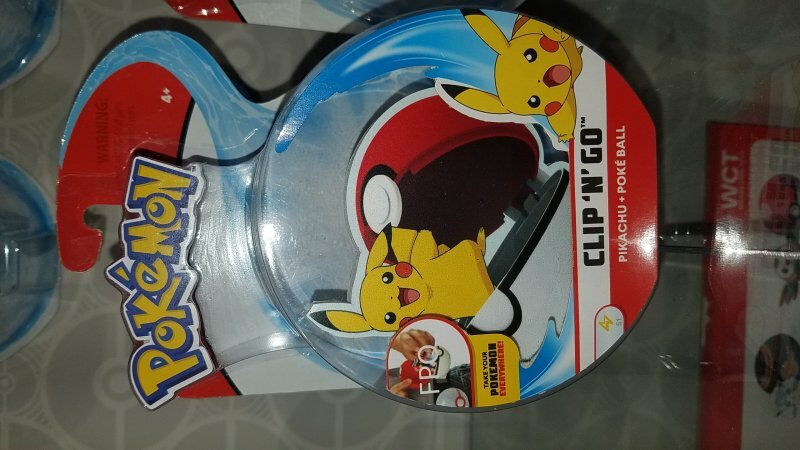 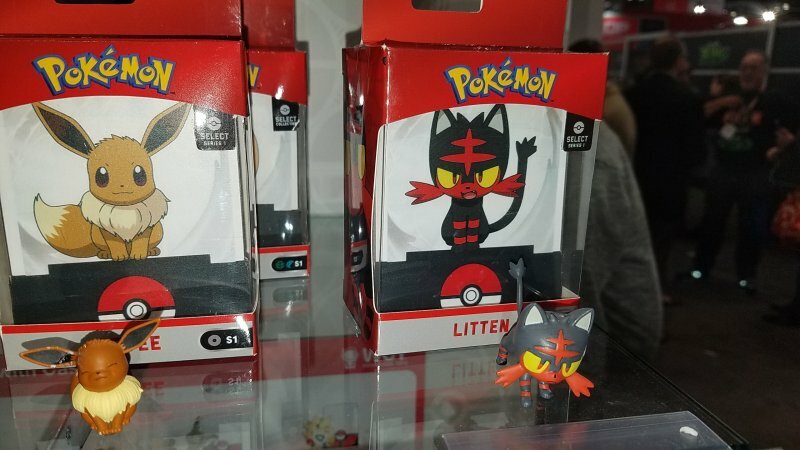 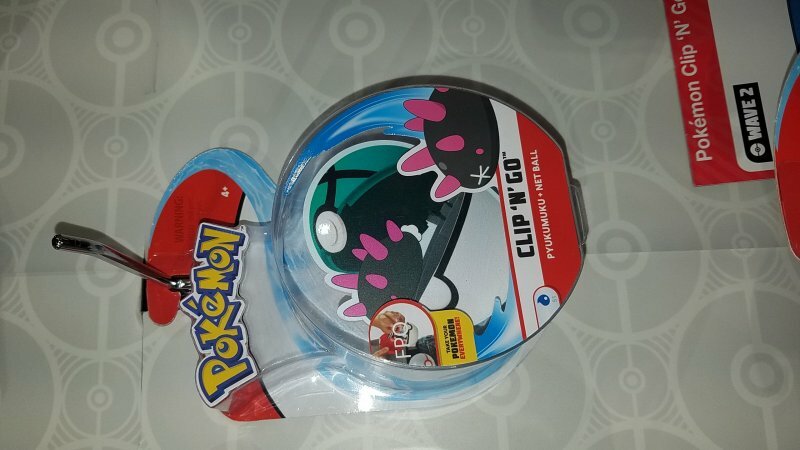 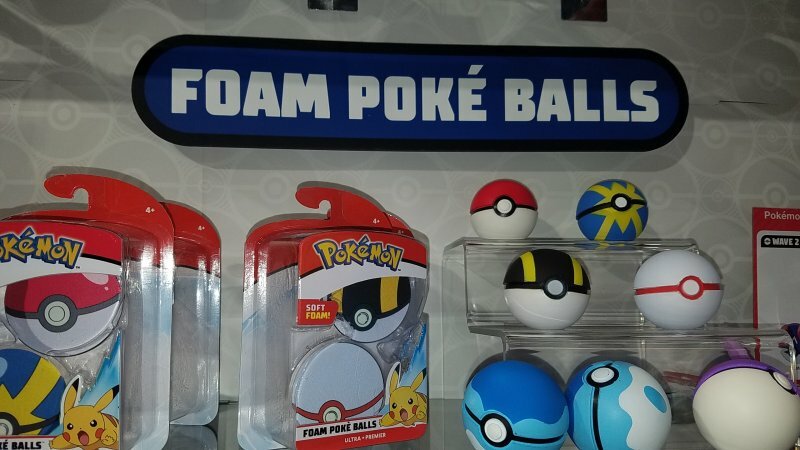 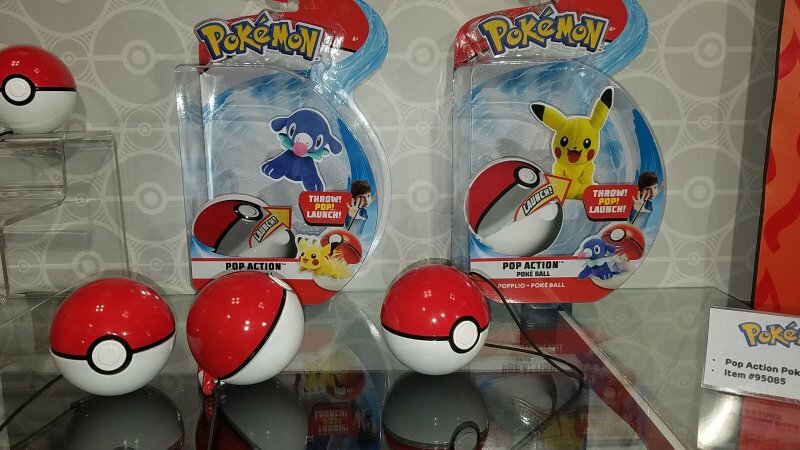 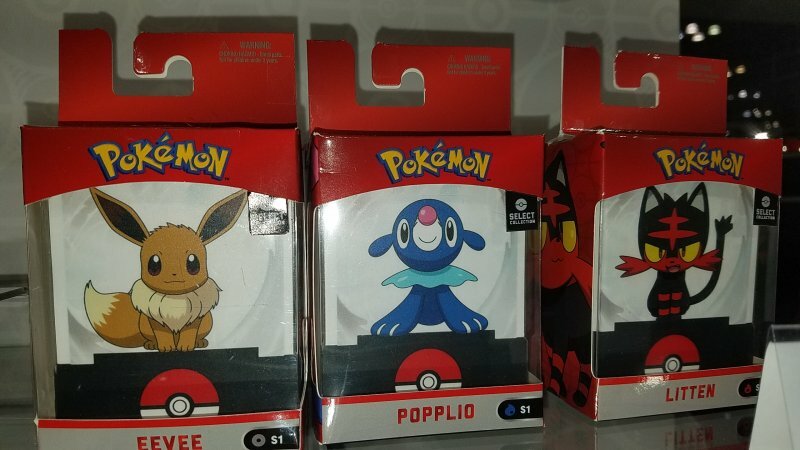 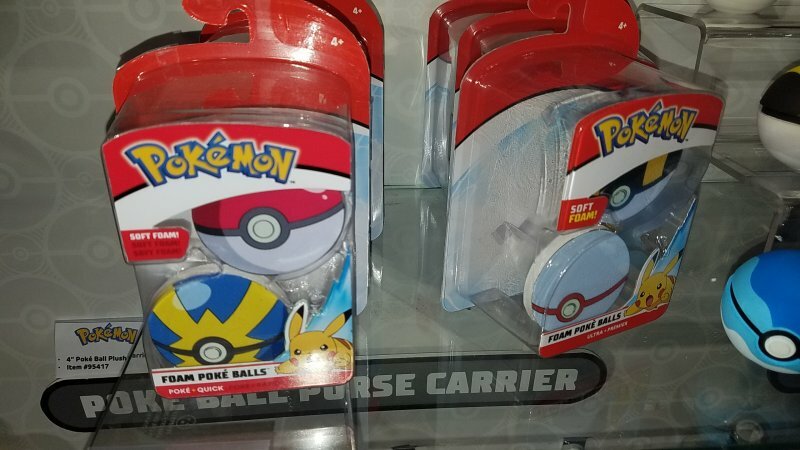 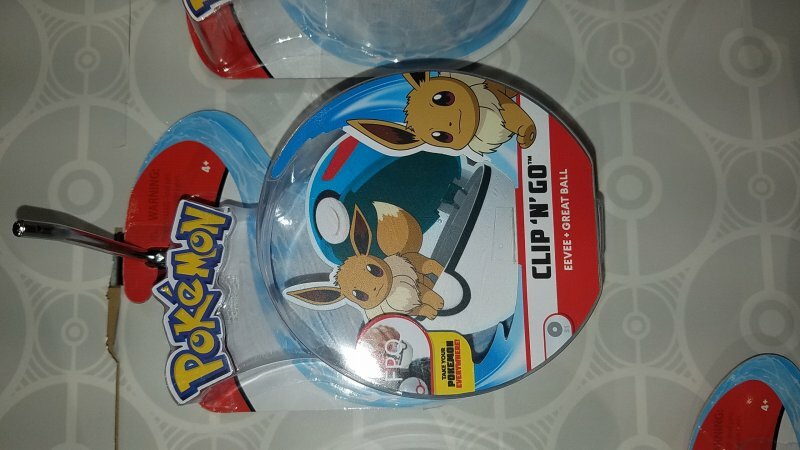 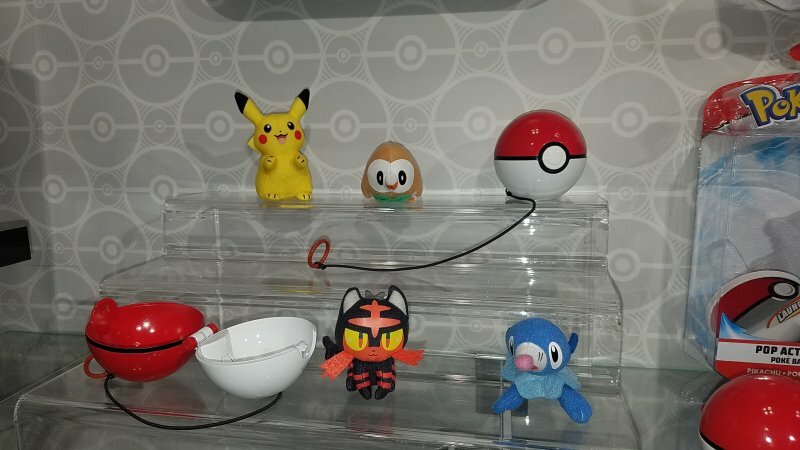 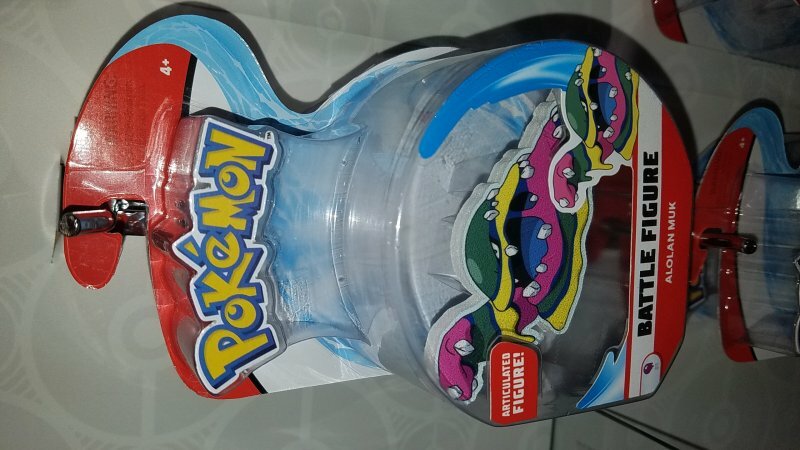 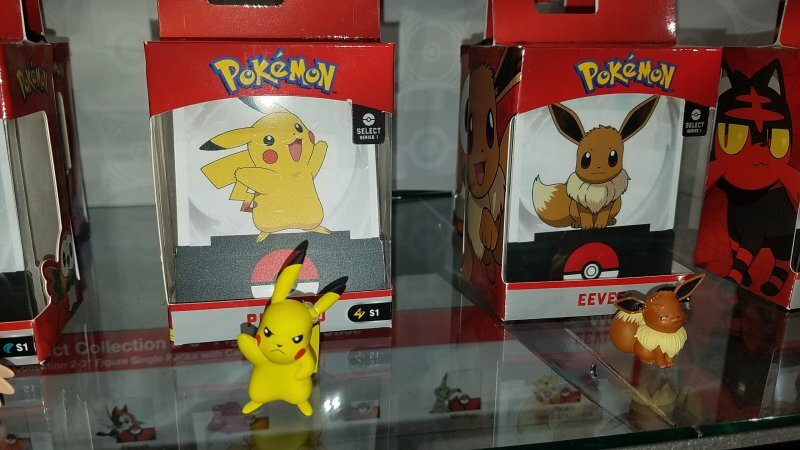 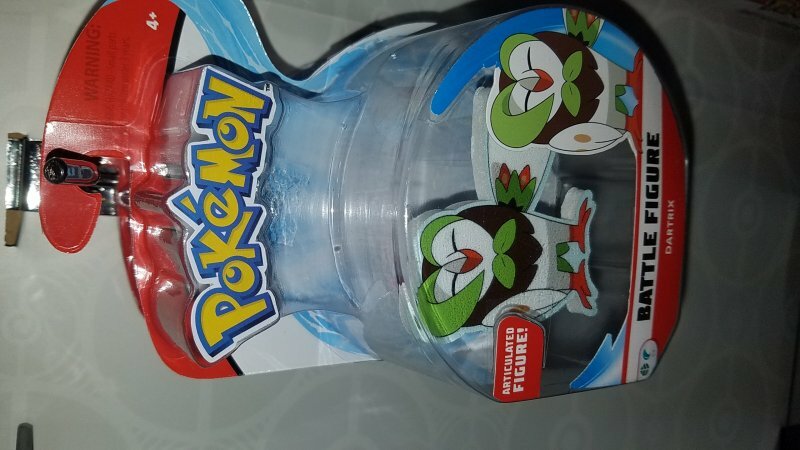 The popular “Clip and Go” Pokeball with figure packs that have been part of previous toy lines will be part of this line as well. 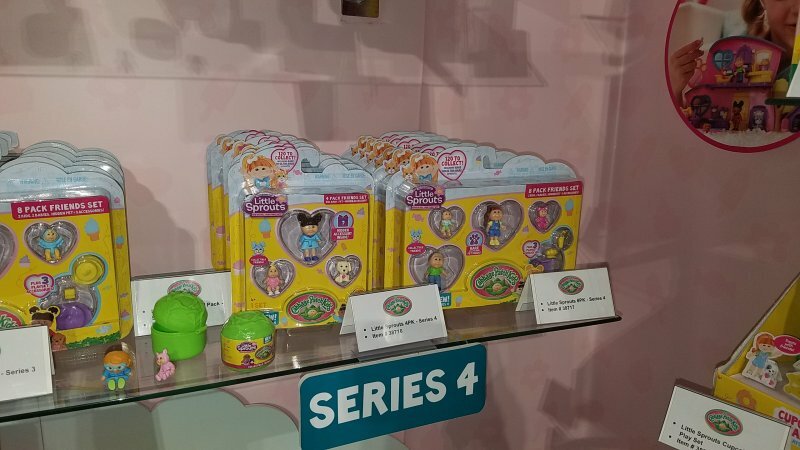 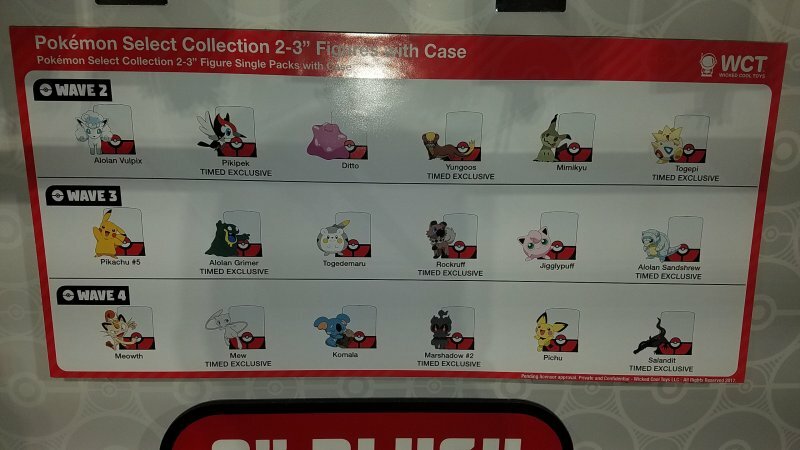 There will also be a “select” collector’s series of 2 – 3” figures where each will come in it’s own clear plastic case. 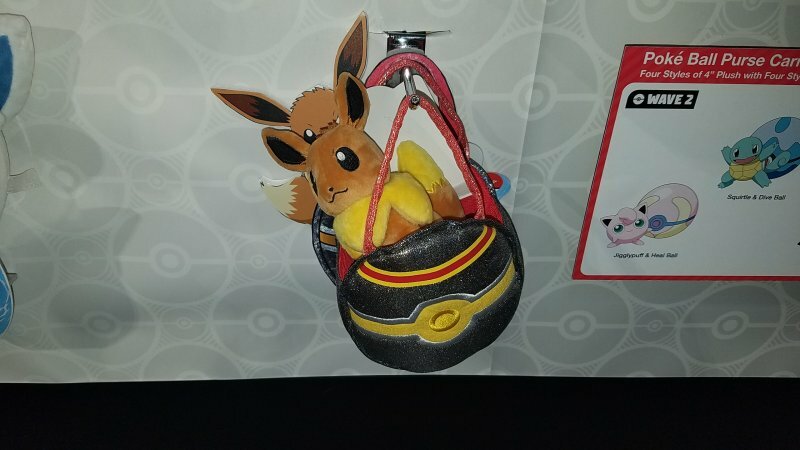 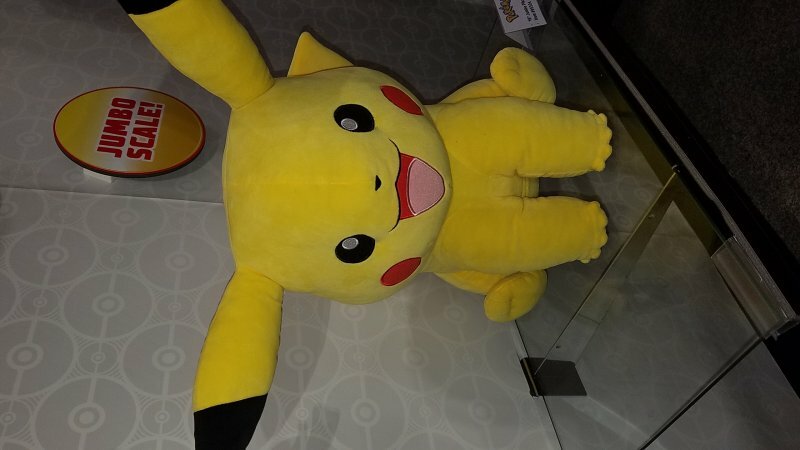 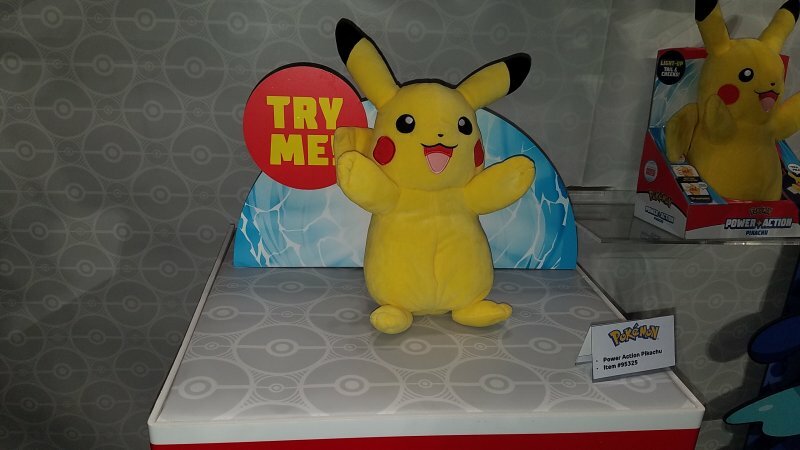 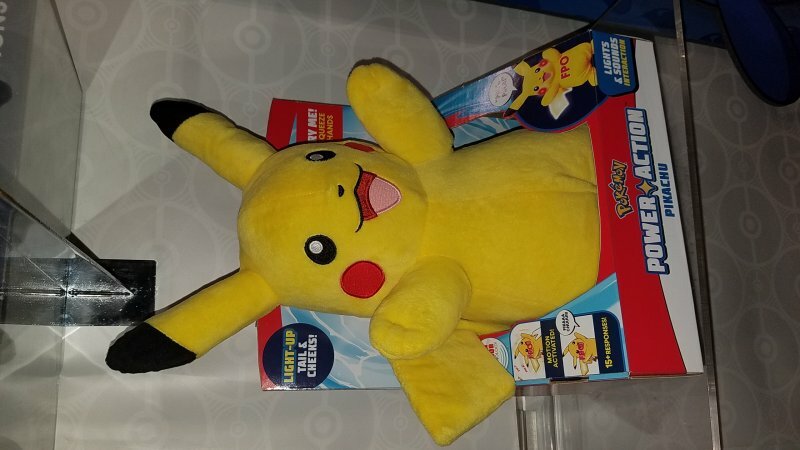 Finally, you can’t have a Pokémon line without a light-up, talking plush Pikachu, and Wicked Cool has one for you in the form of Power Action Pikachu. 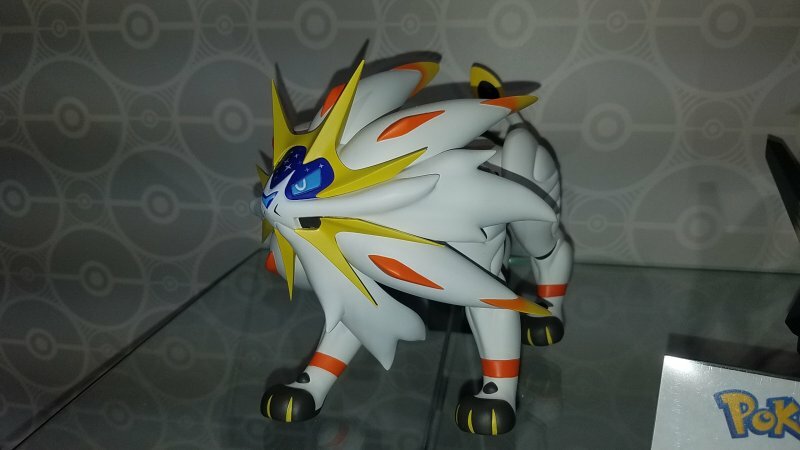 This version features light-up cheeks and tail and has over 15 phrases. 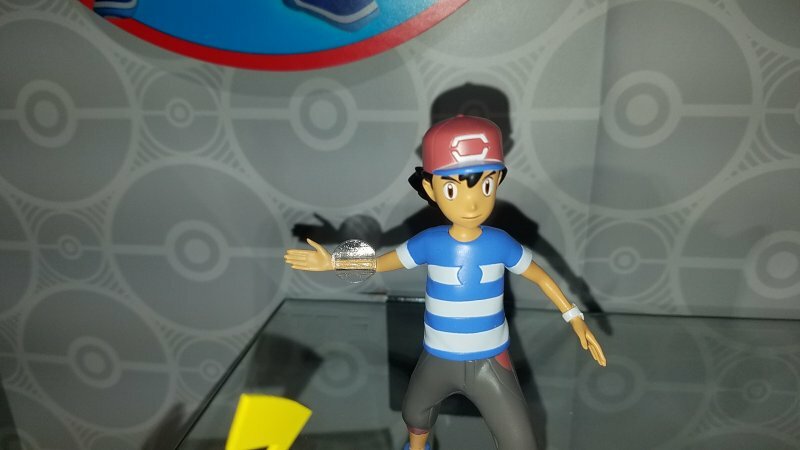 You can activate his features by pressing his hand, but he will also be motion activated. 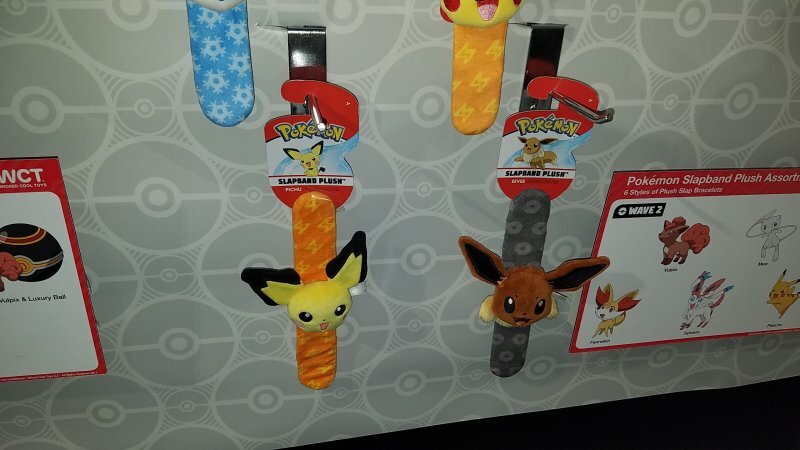 A few final notes about Pokémon: There will be staggered timed exclusives in the “select” line, and Jeremy has said they are looking into a way to possibly partner with Pokémon Go! 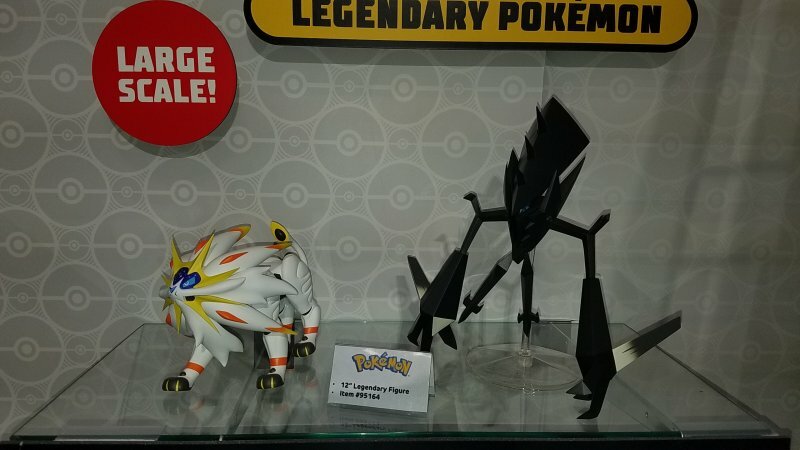 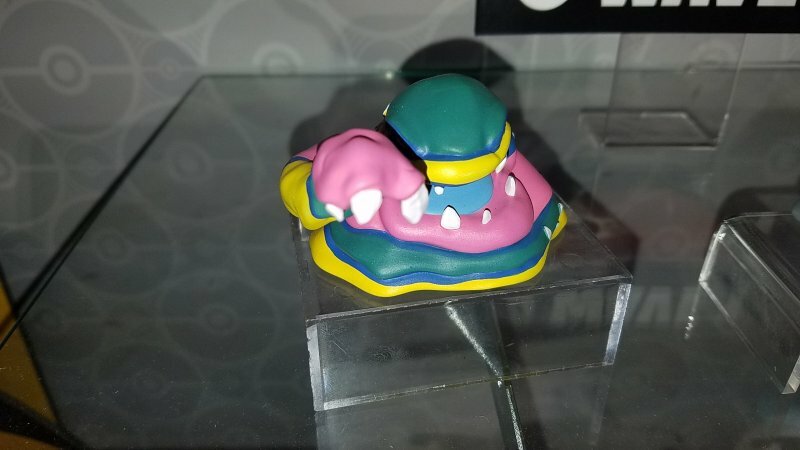 Outside of Pokémon, Wicked Cool had a few other surprises for us. 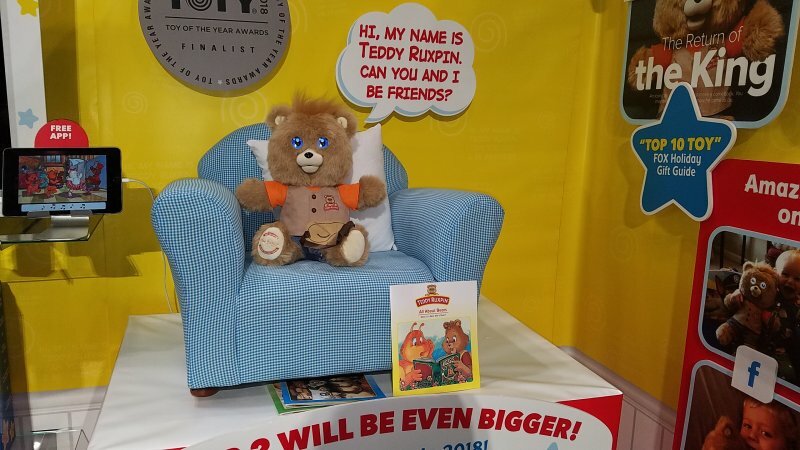 Teddy Ruxpin will expand their story offerings in 2018, with 12 new stories. 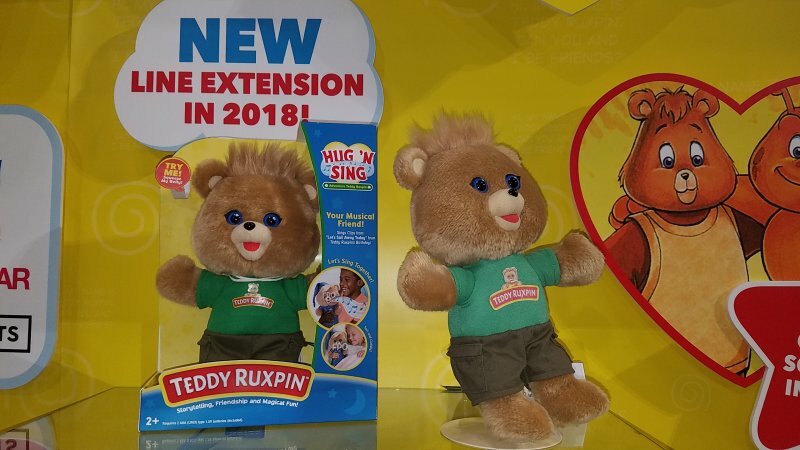 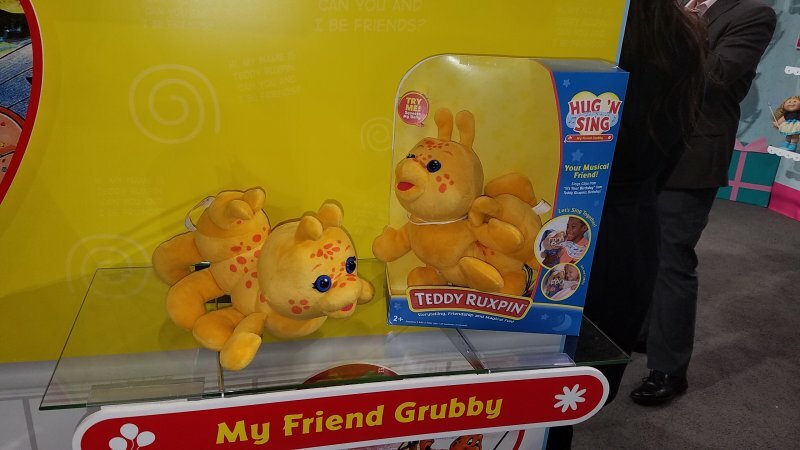 Also being introduced are the “Hug and Sing” plush items, which , in addition to 2 versions of Teddy, will reintroduce Teddy’s friend Grubby. 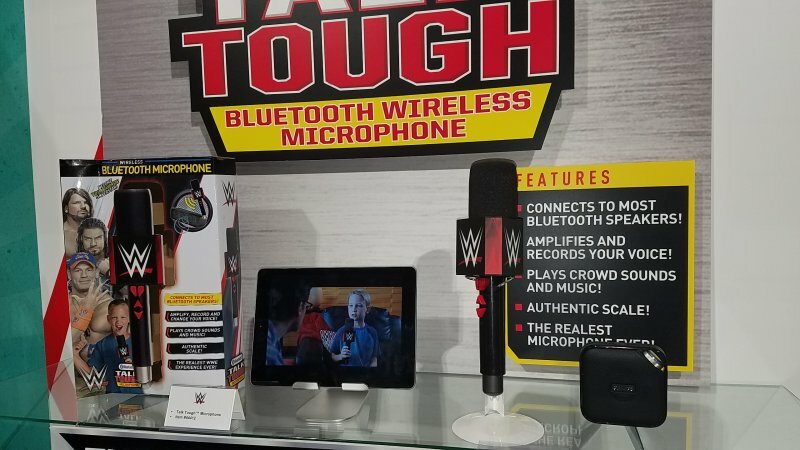 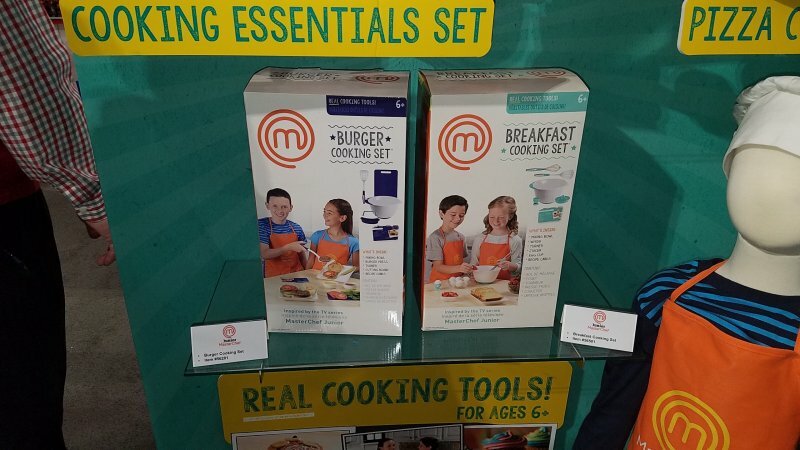 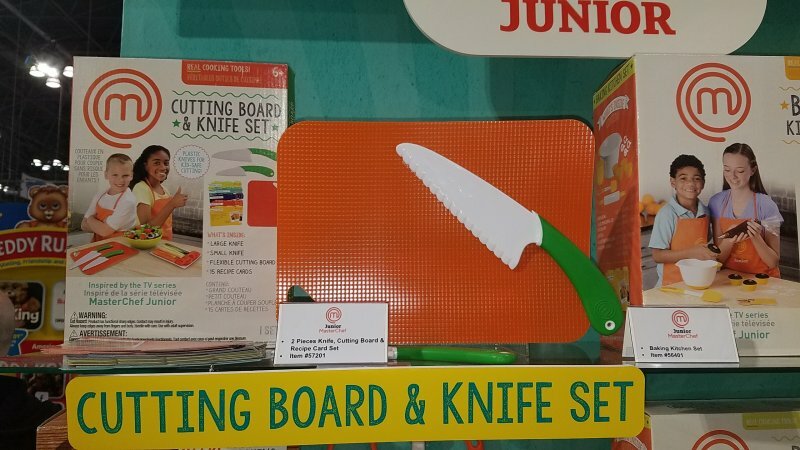 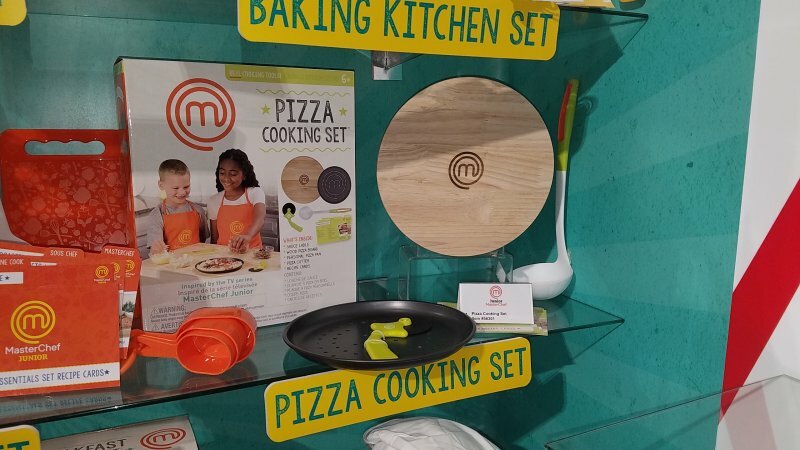 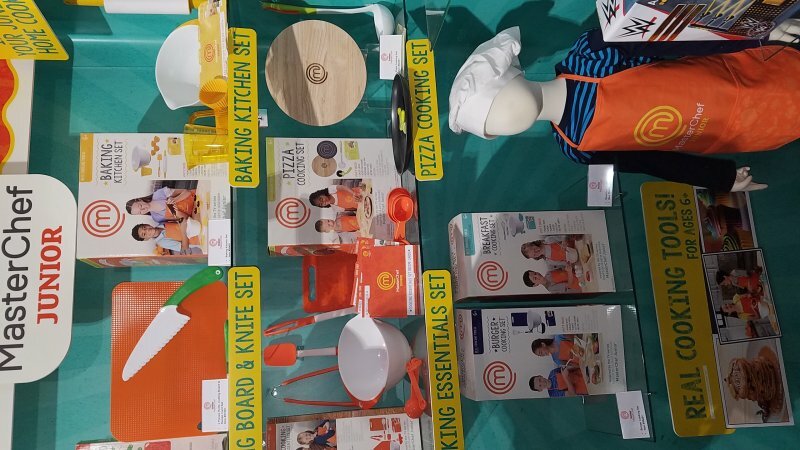 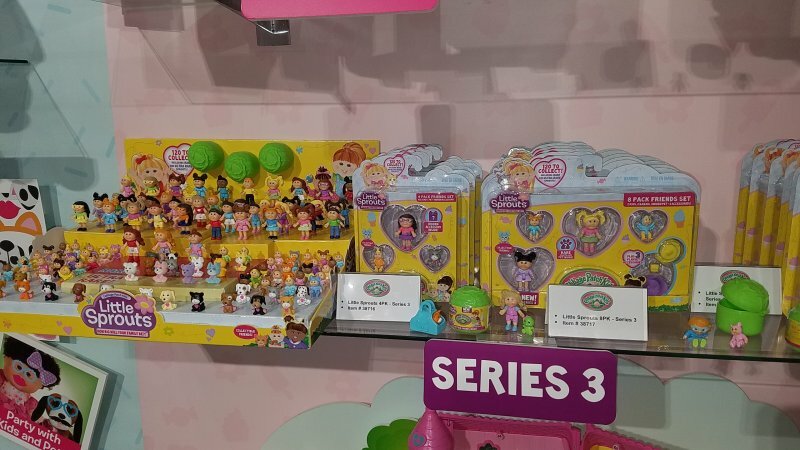 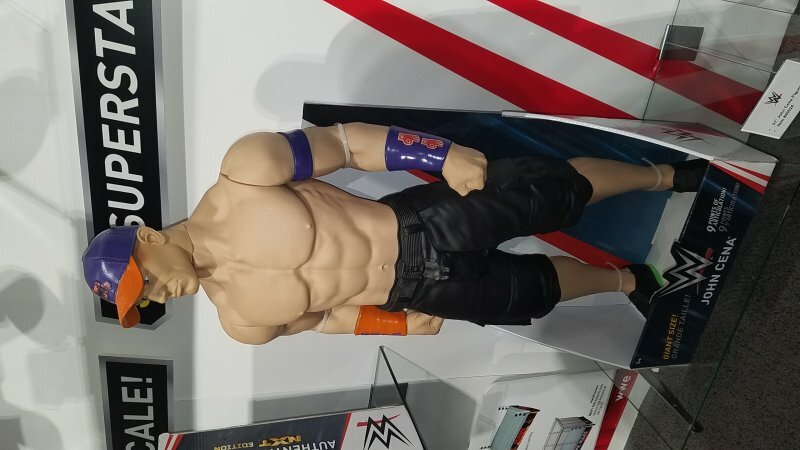 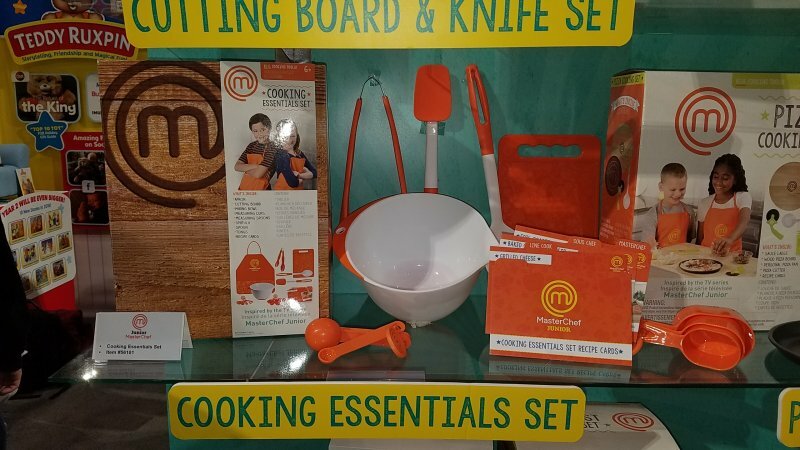 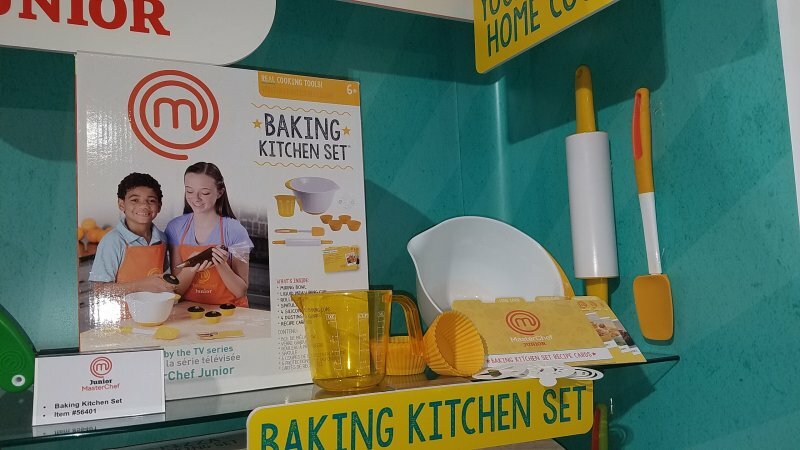 Wicked Cool also announced the continuation of their Wild Kratt’s, and MasterChef Jr. lines, and the continuation of their limited WWE offerings, including the introduction of a new Bluetooth-enabled microphone. 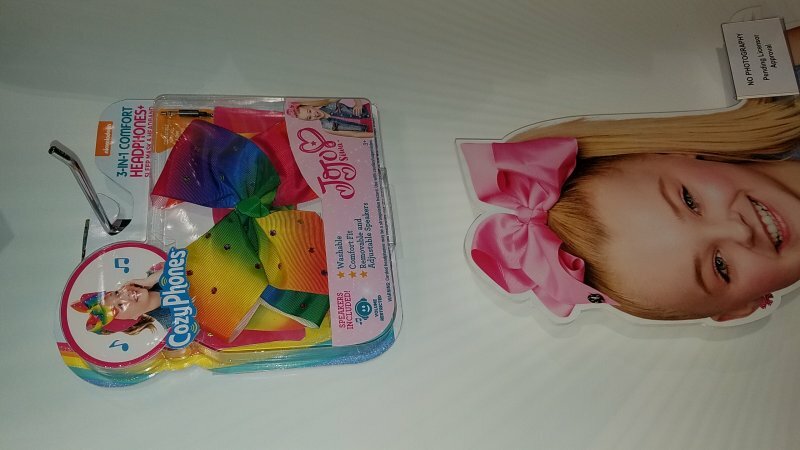 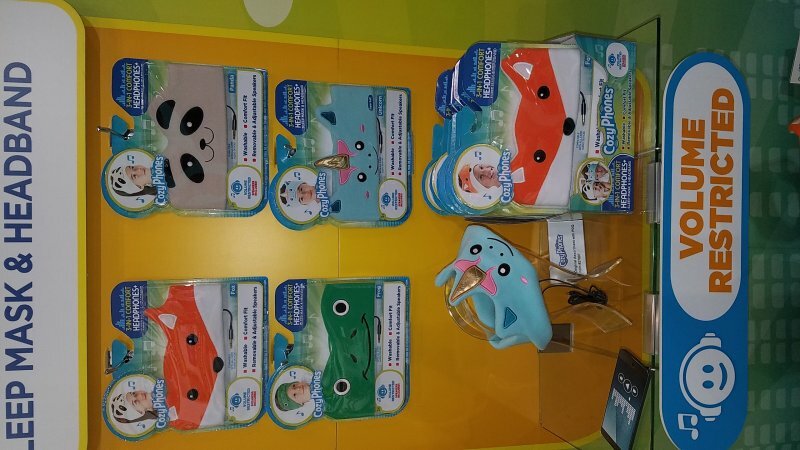 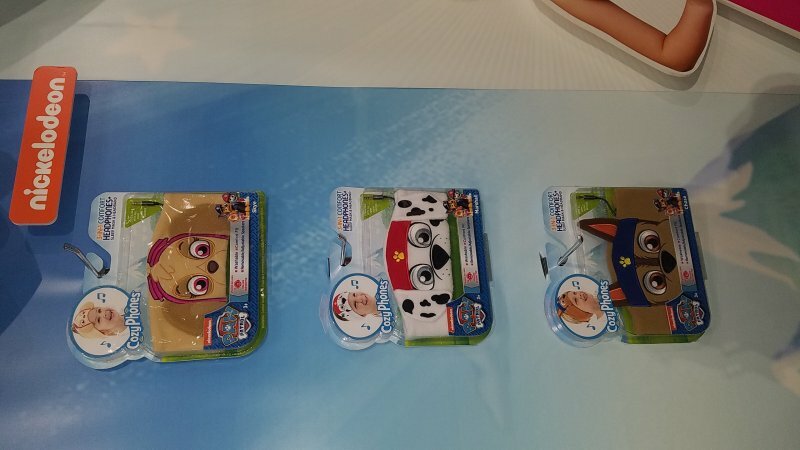 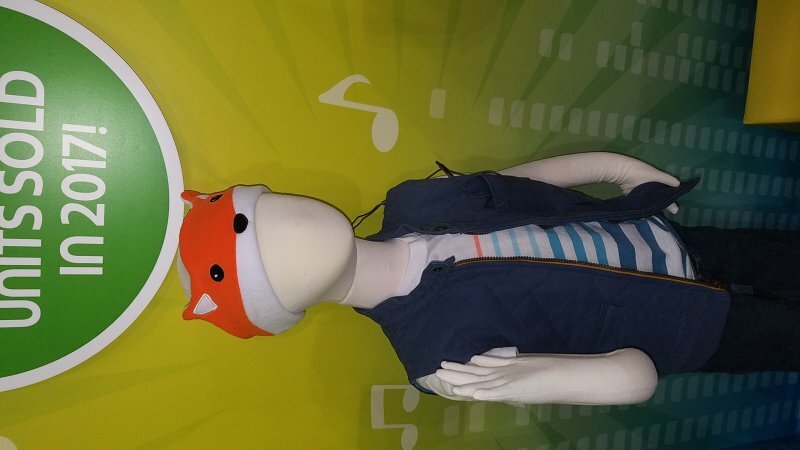 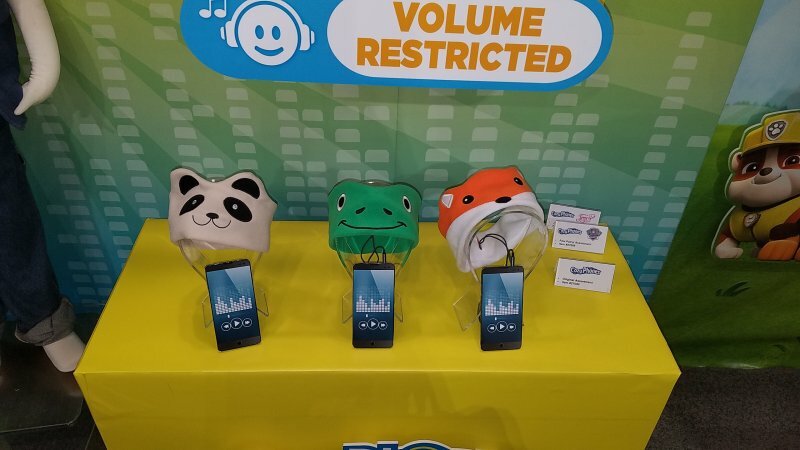 They also introduced a new line of plush-covered headphones called Cozy Phones, which are designed for kids and volume controlled. 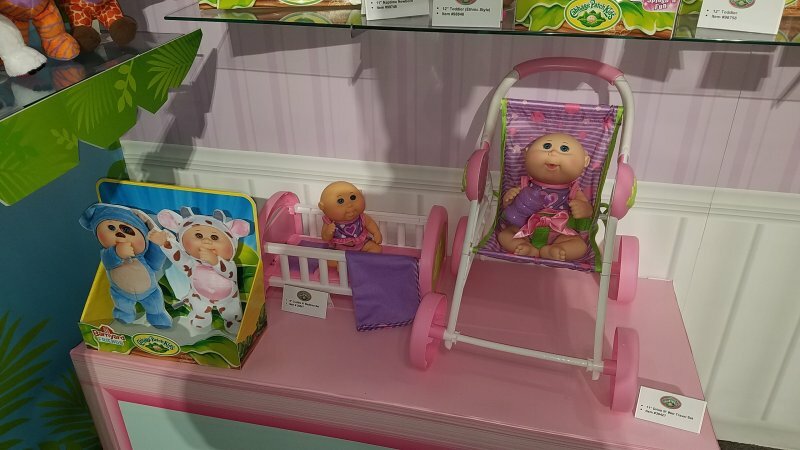 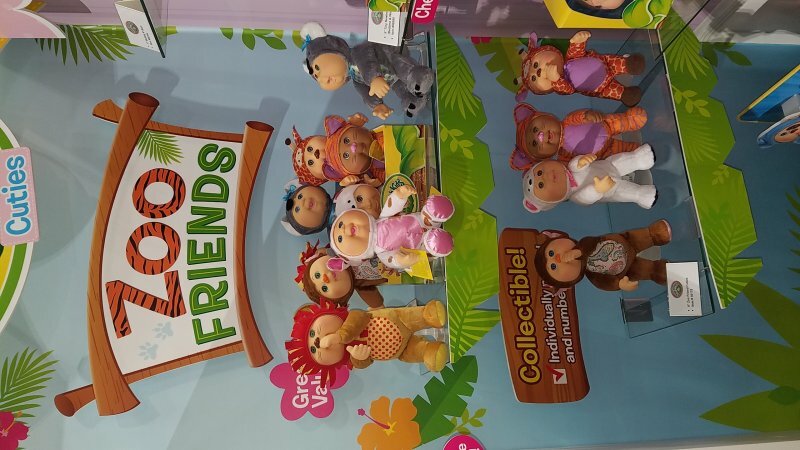 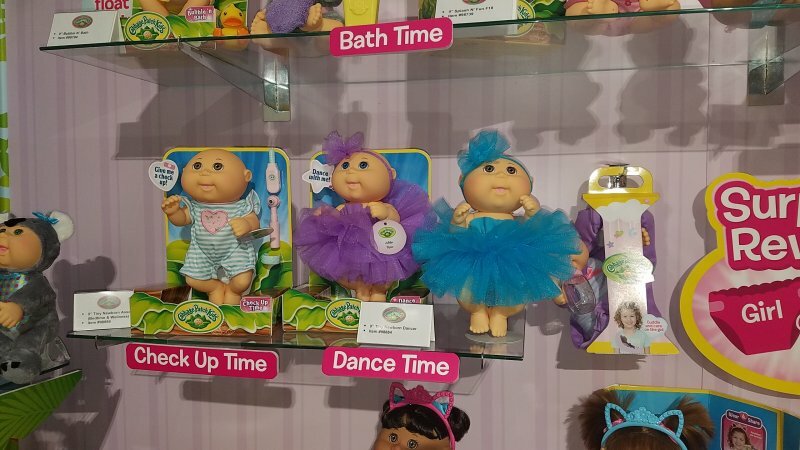 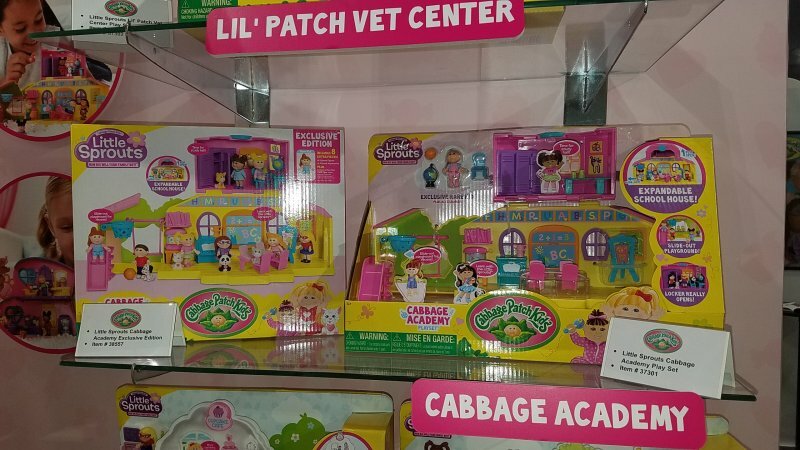 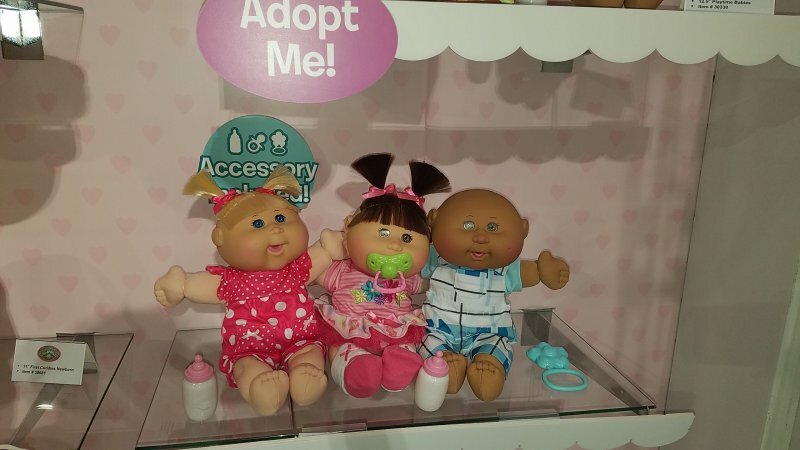 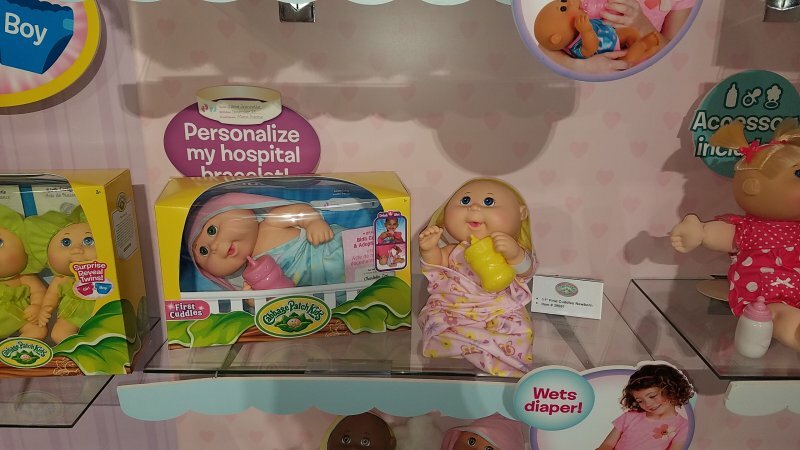 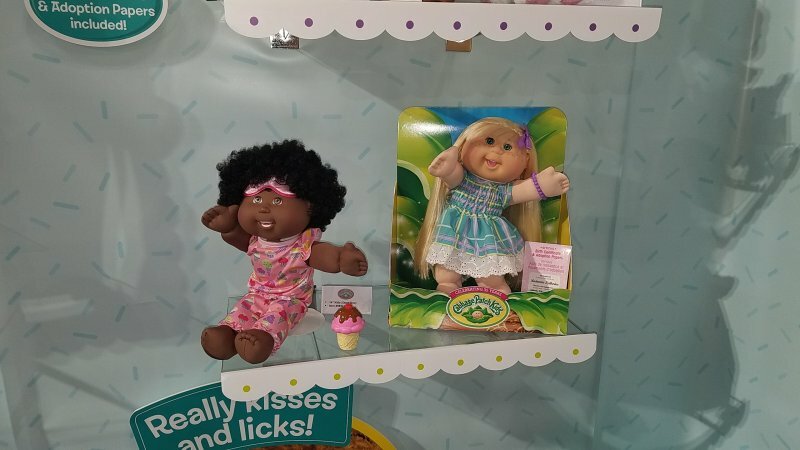 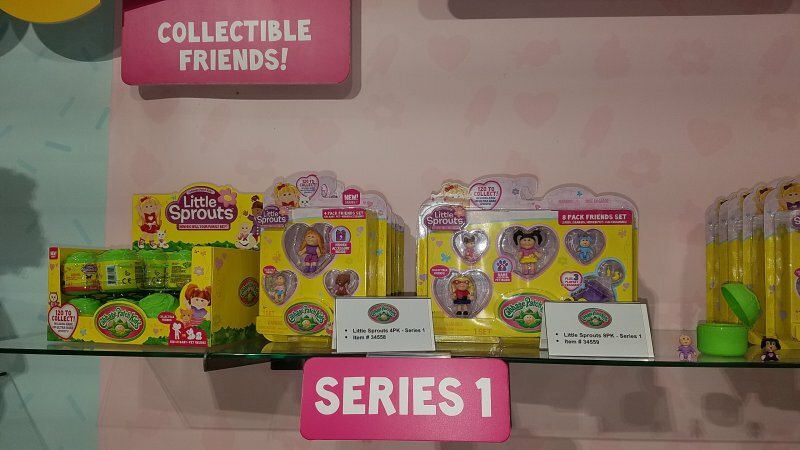 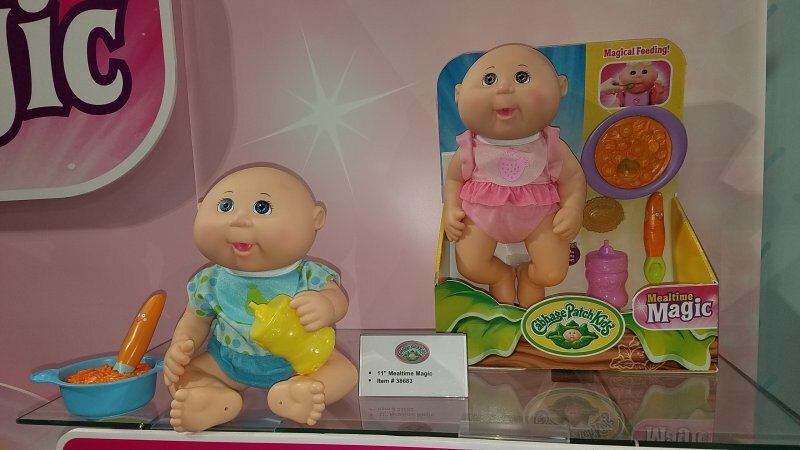 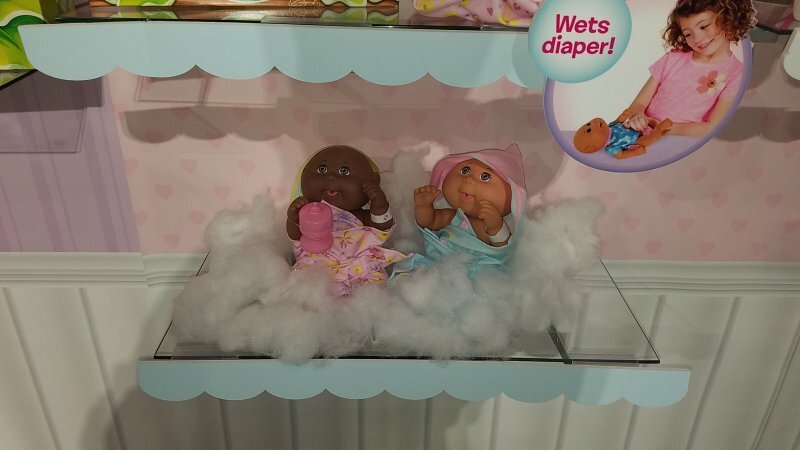 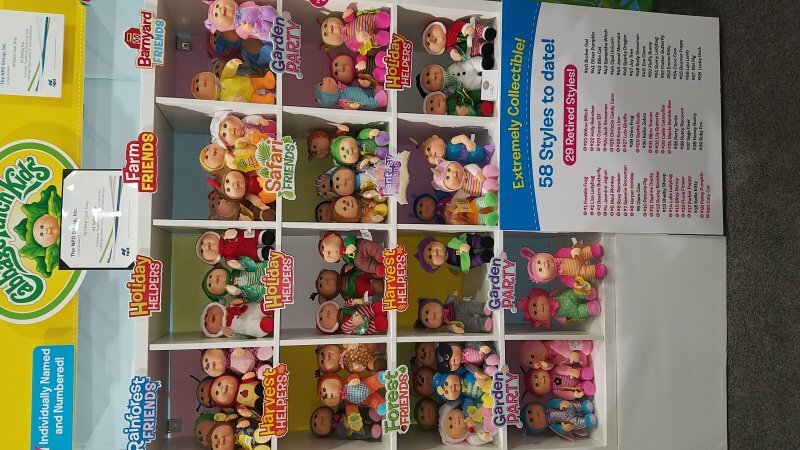 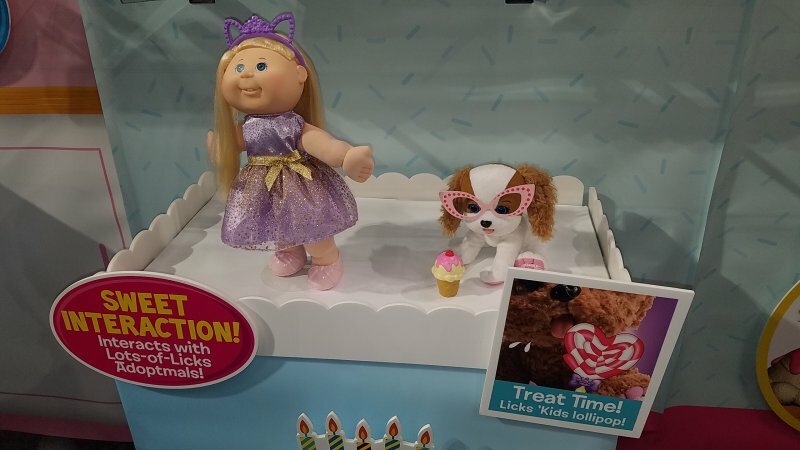 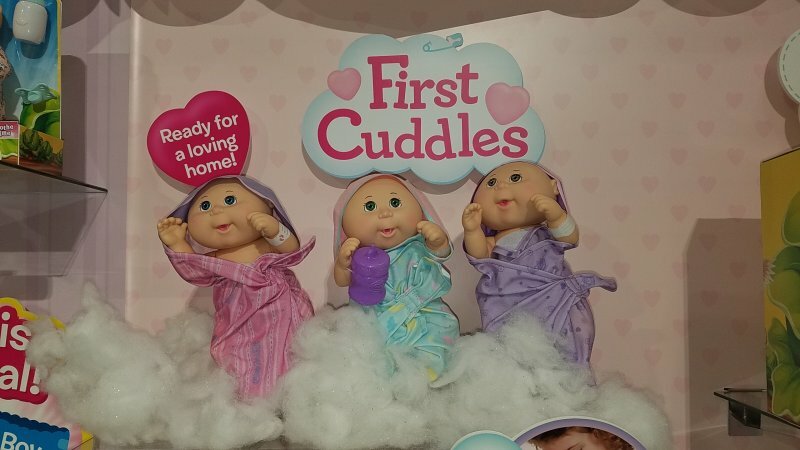 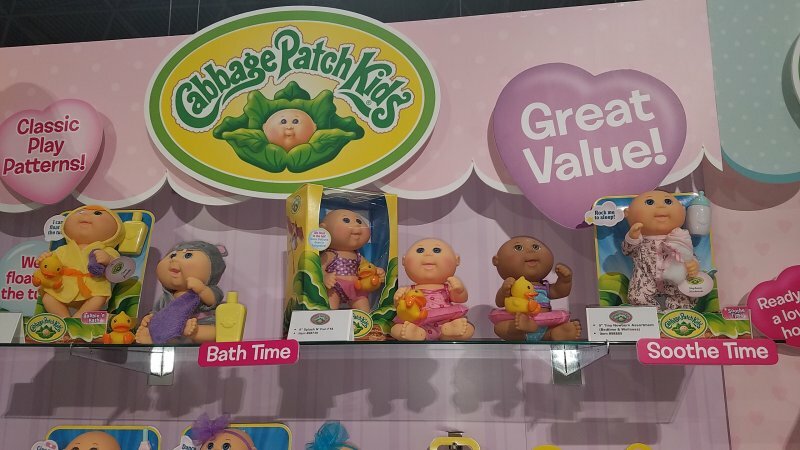 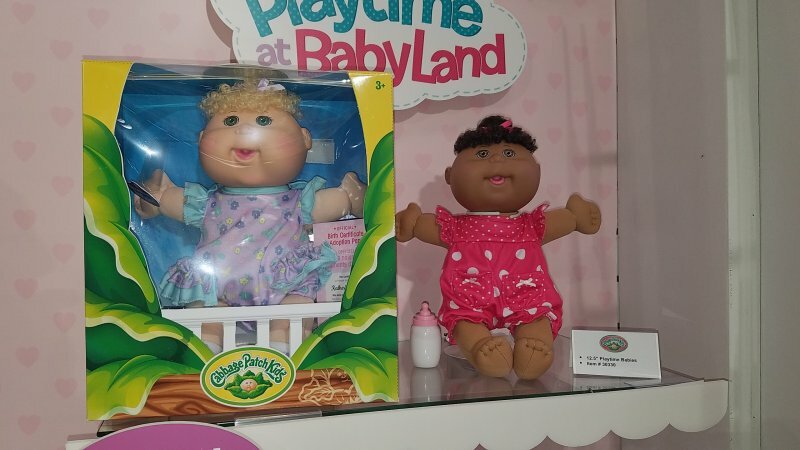 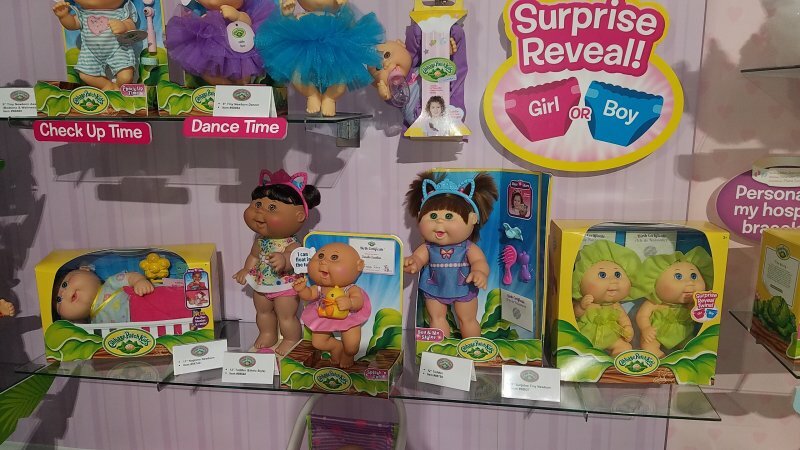 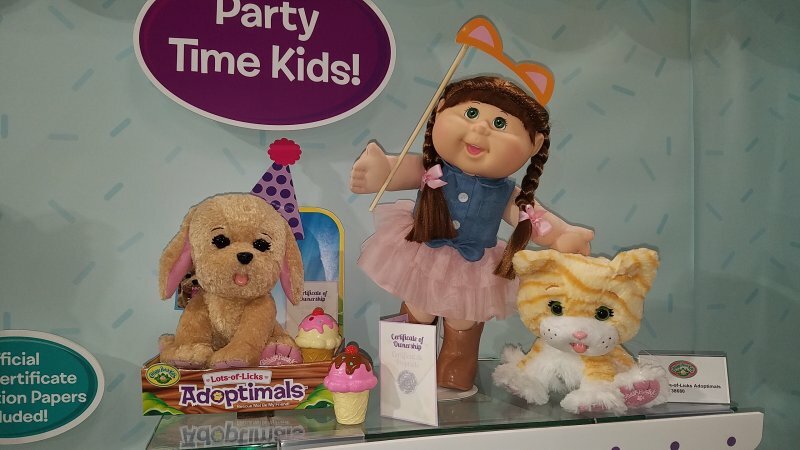 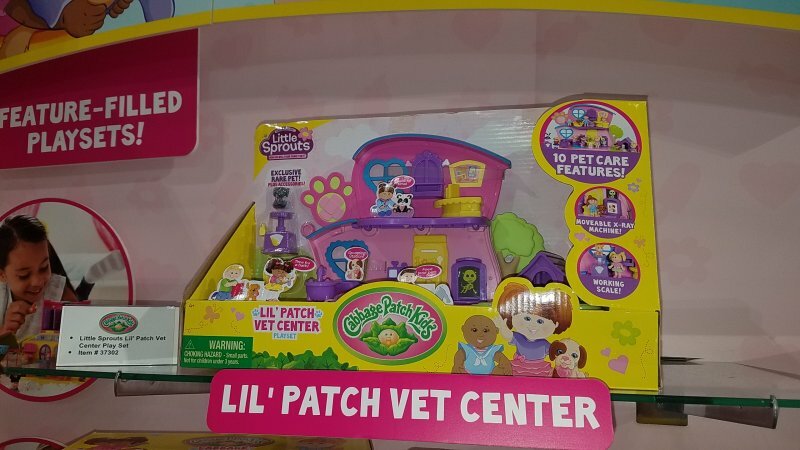 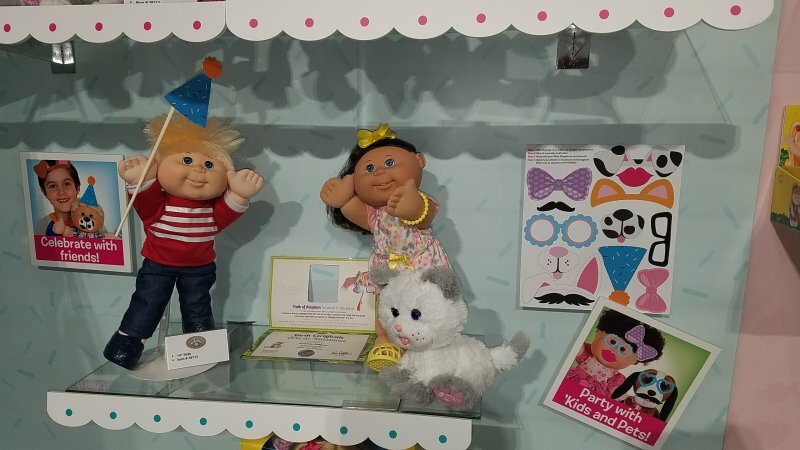 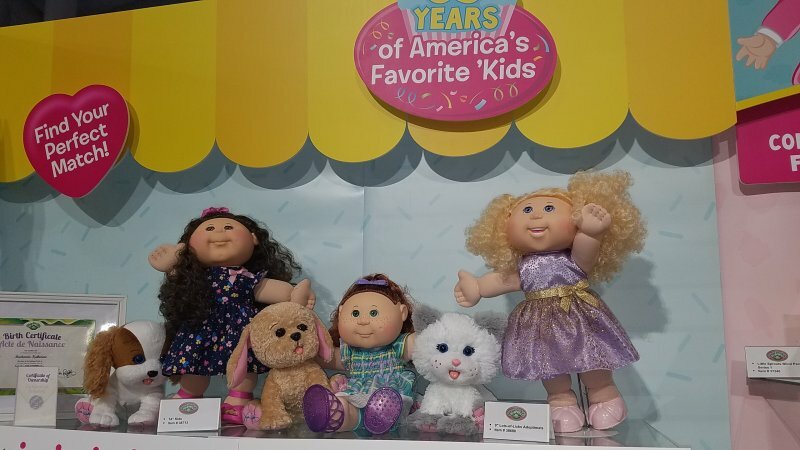 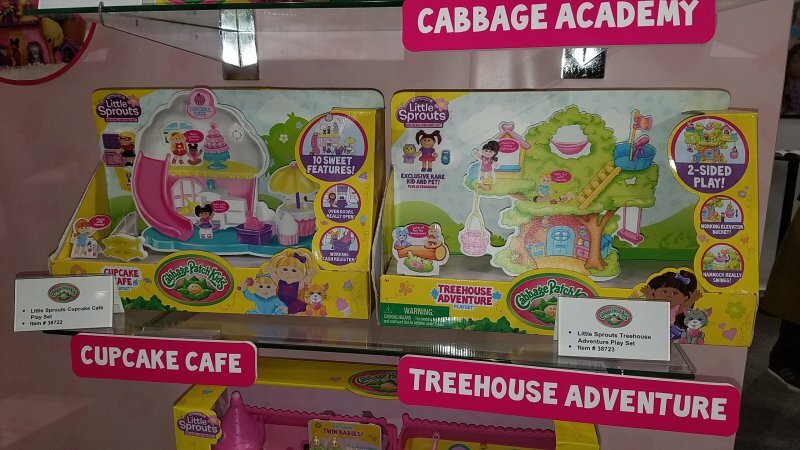 Finally, there are a ton of new entries in the Cabbage Patch Kids line, with several new assortments, in various sizes. 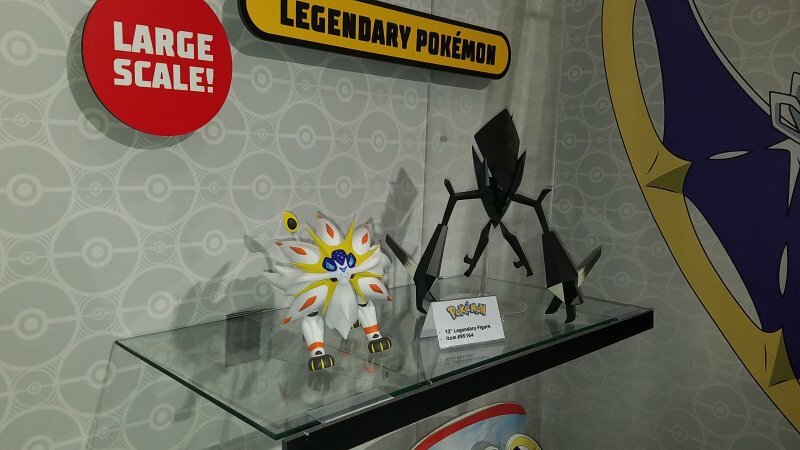 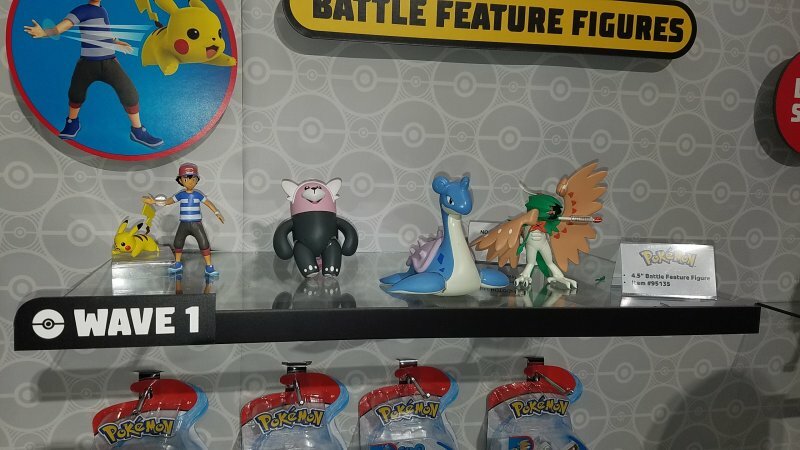 Once again, Wicked Cool came out swinging with an impressive slate of product, led by the initial Pokémon offerings. 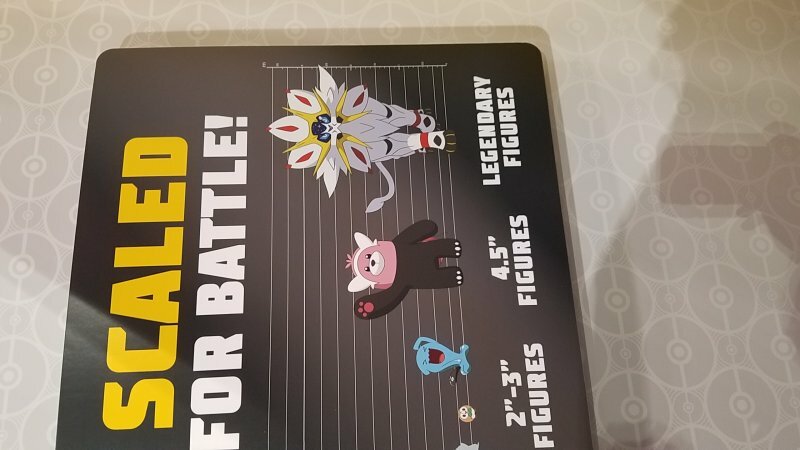 It looks like the sky is the limit for Jeremy and his crew. 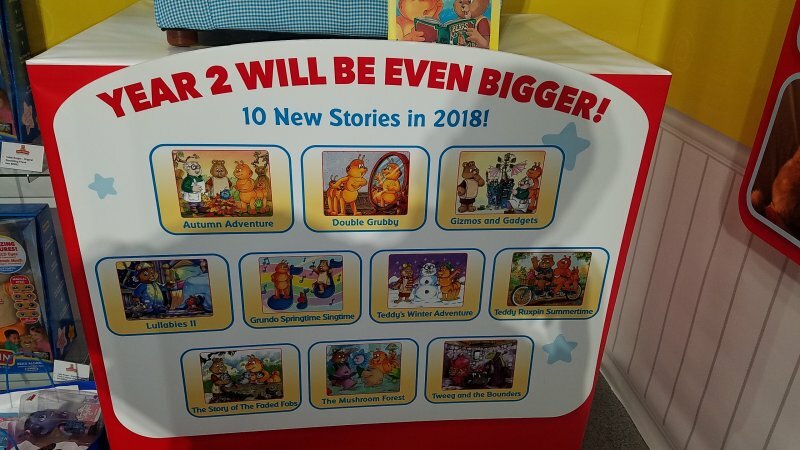 I can’t wait to see what they come up with next. 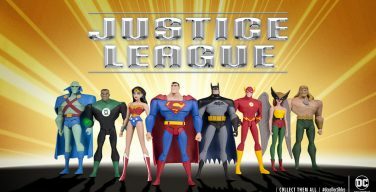 My thanks to Jeremy Padawer and Janis VanTine for their assistance.